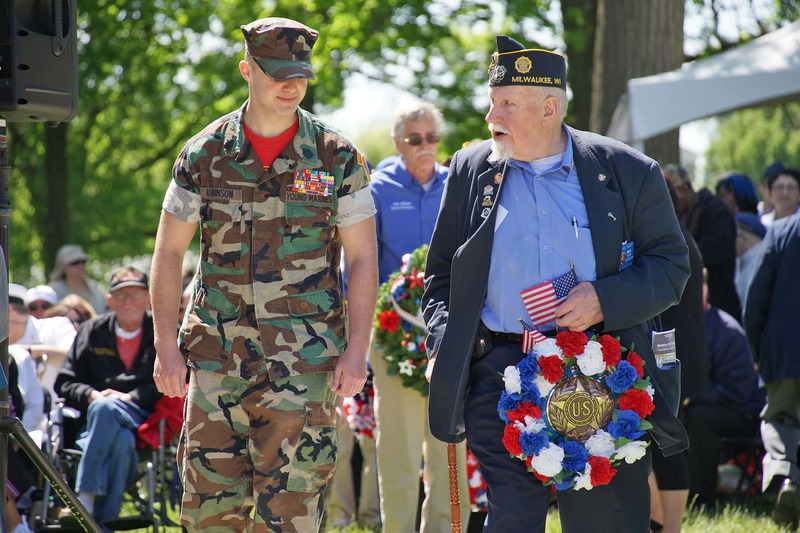 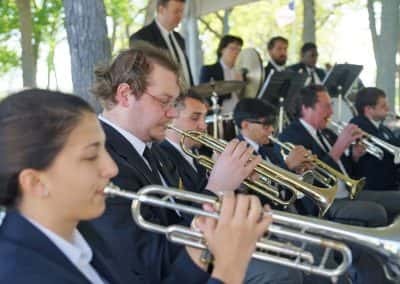 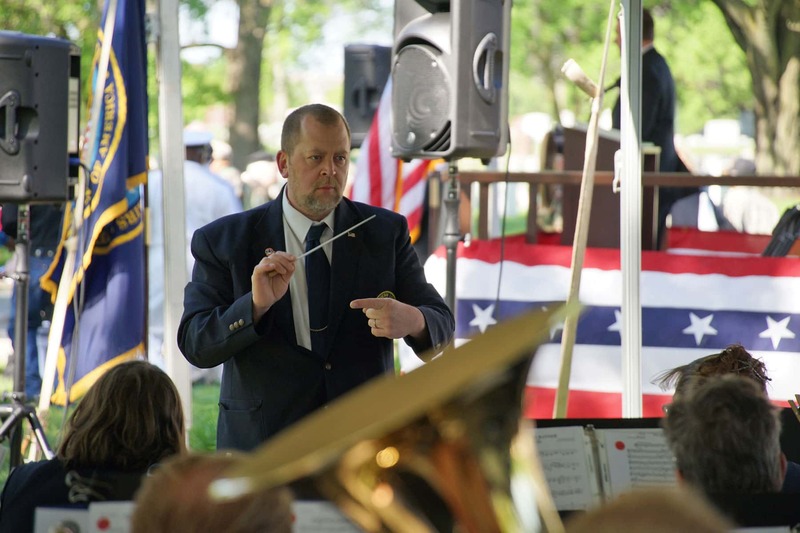 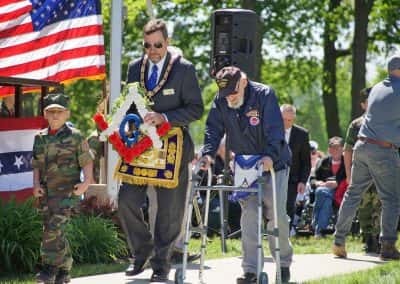 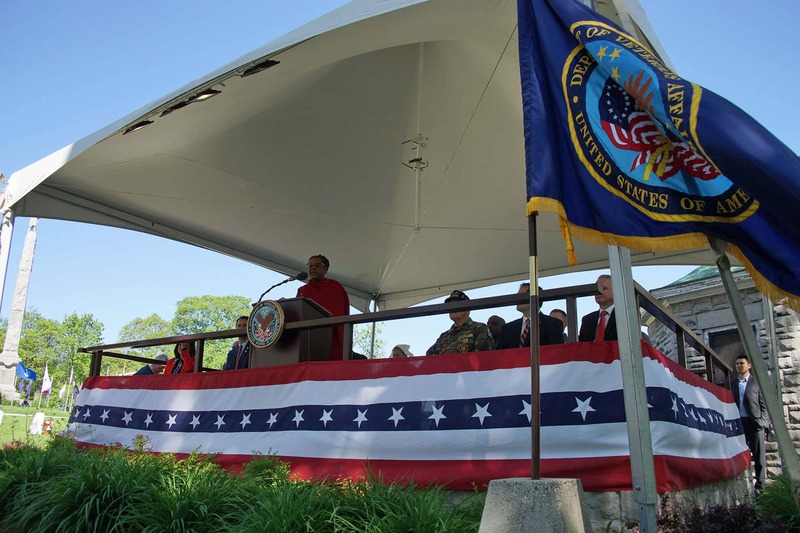 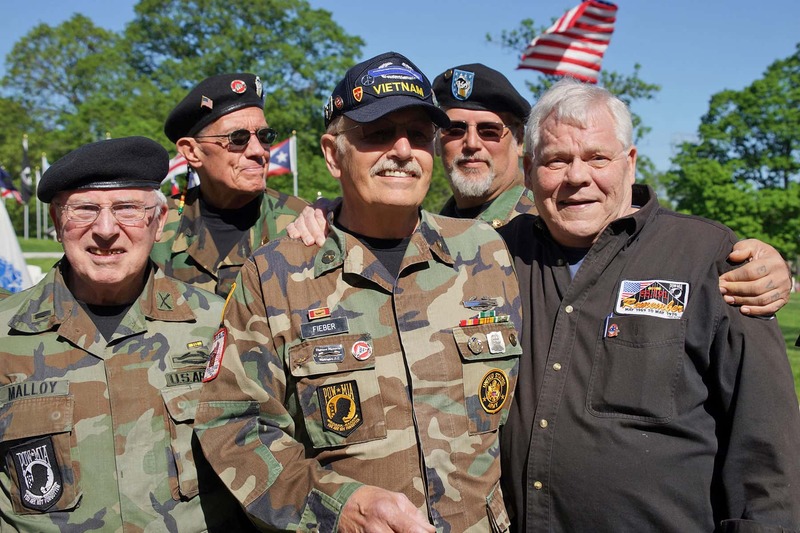 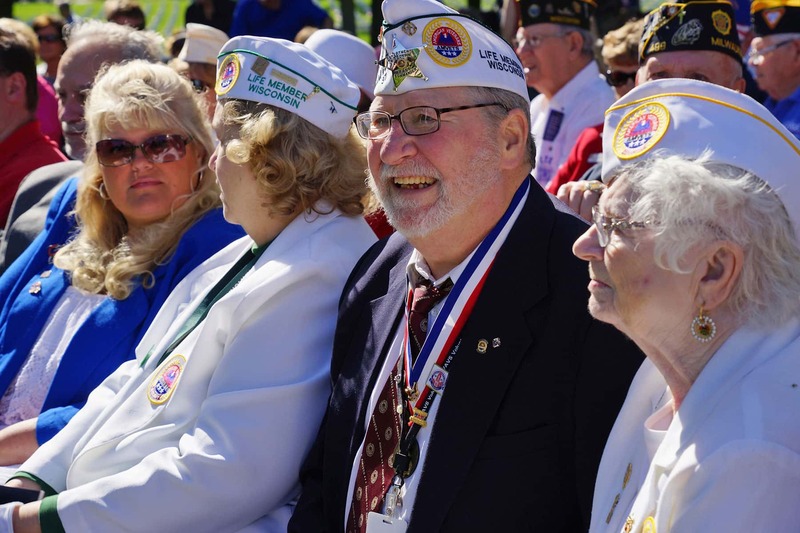 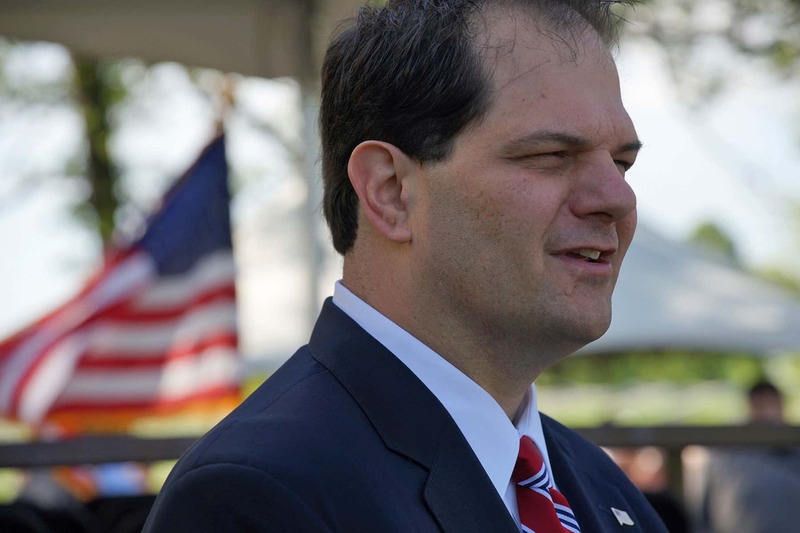 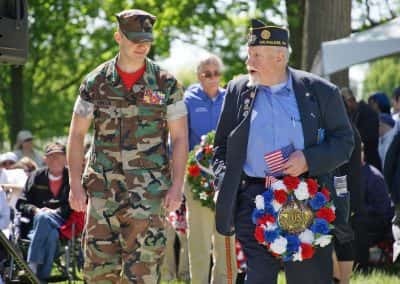 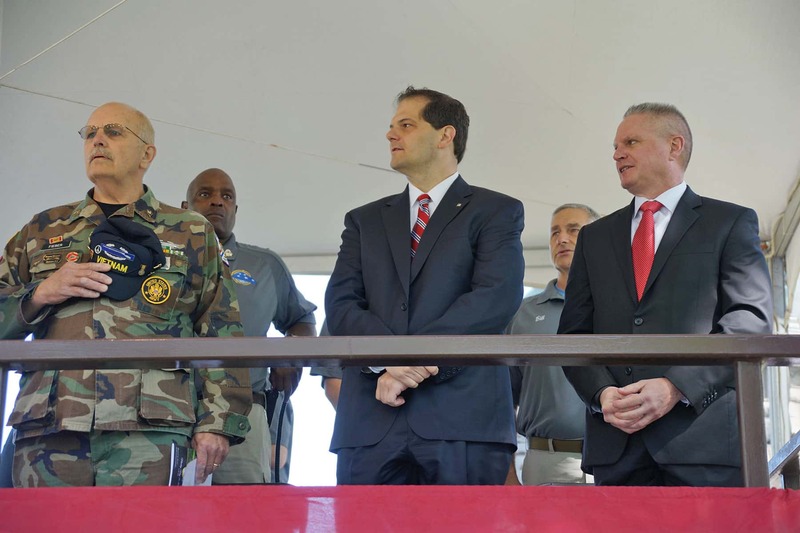 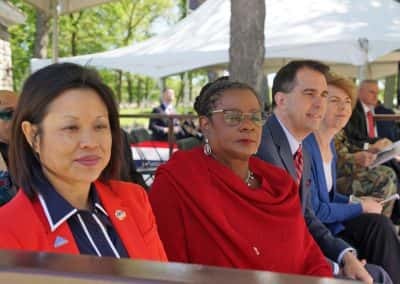 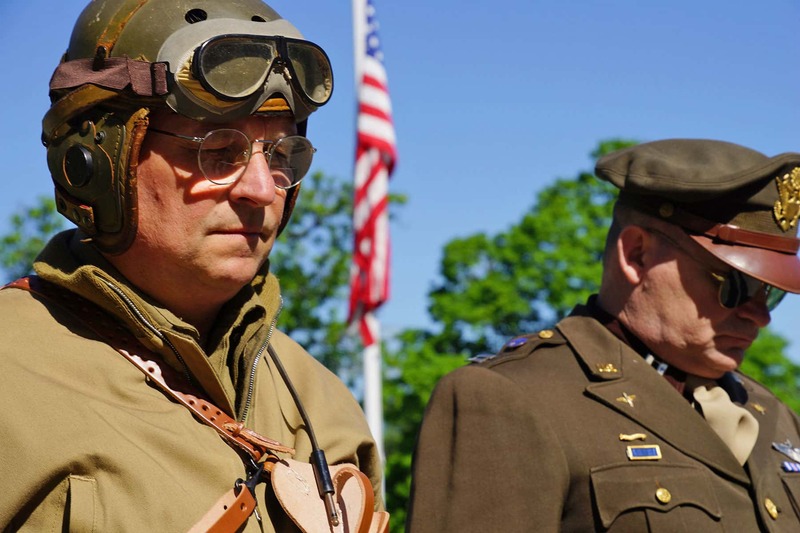 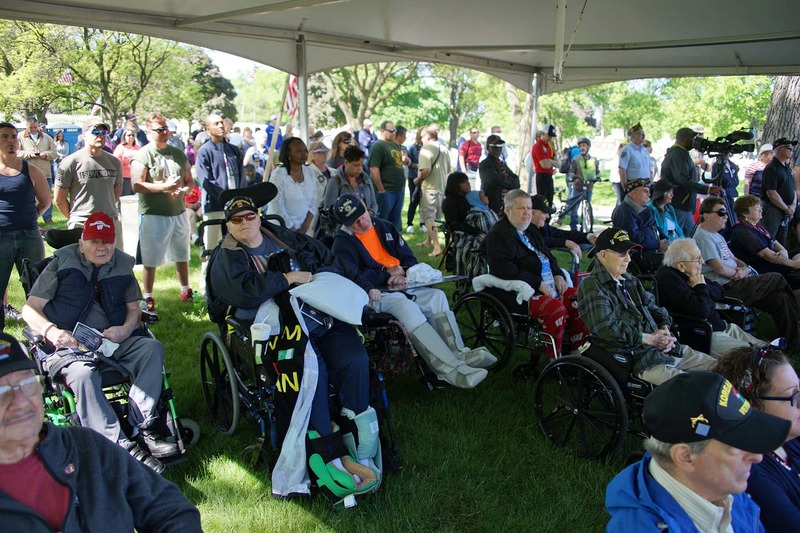 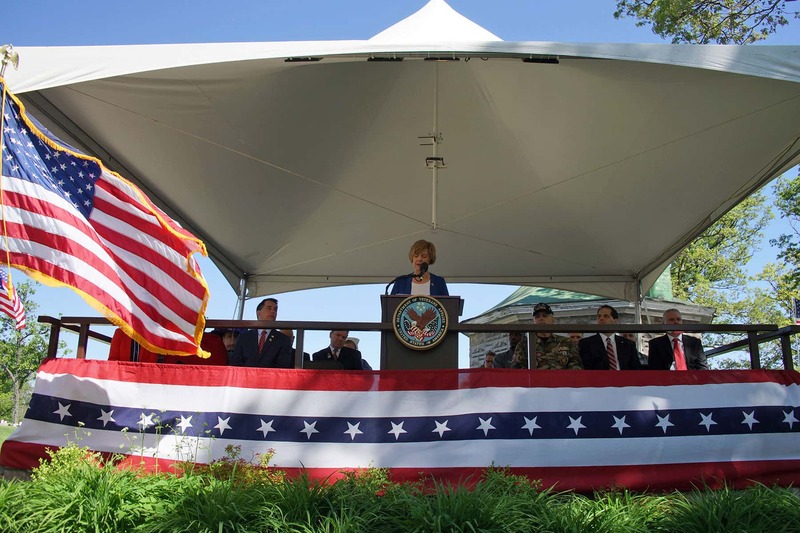 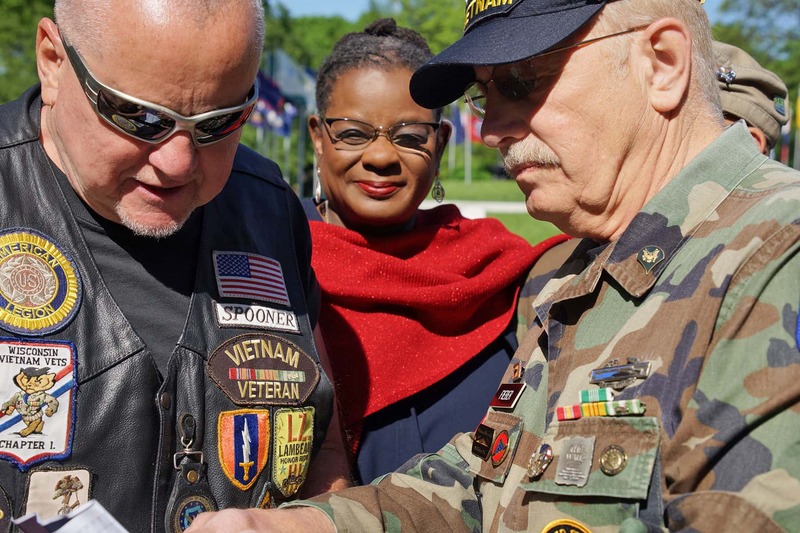 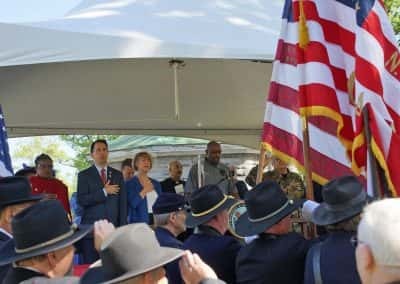 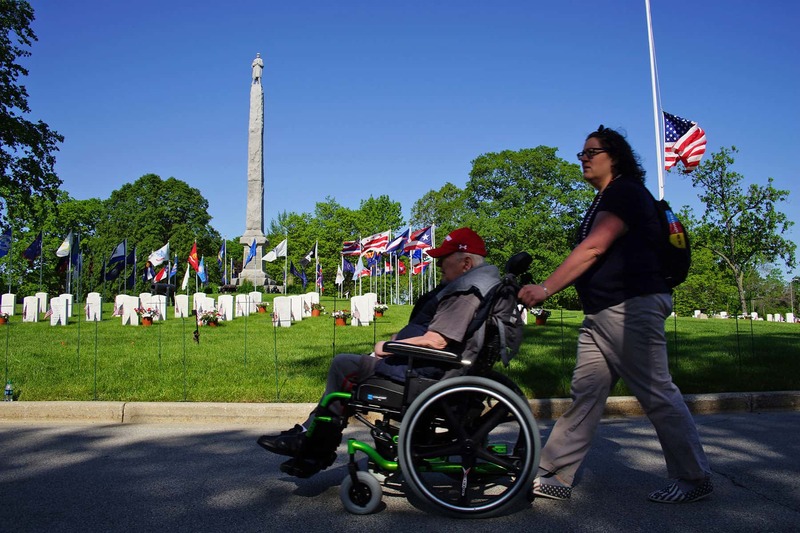 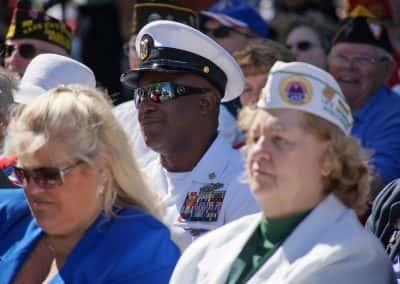 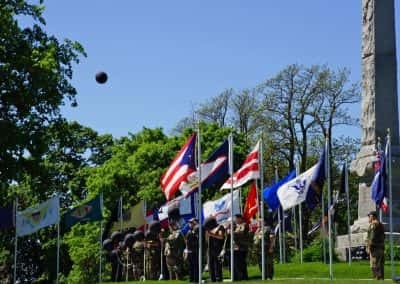 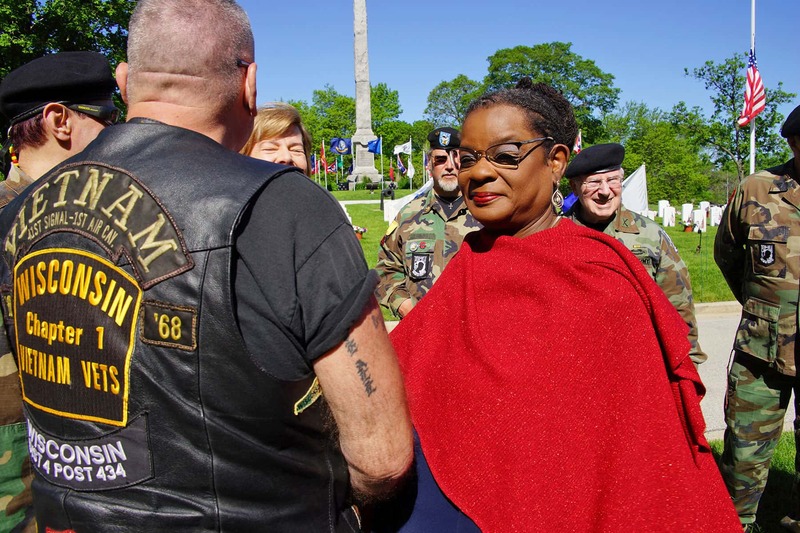 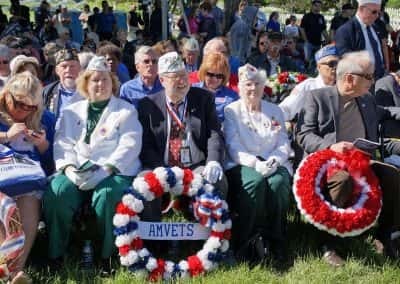 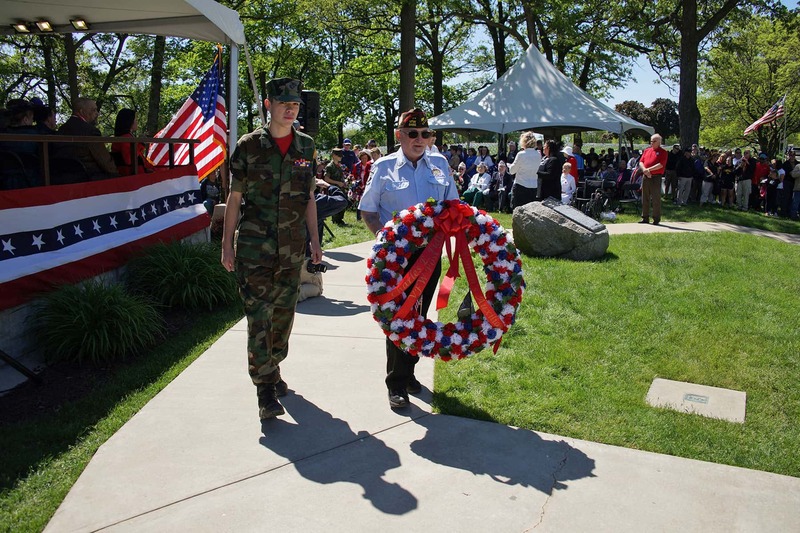 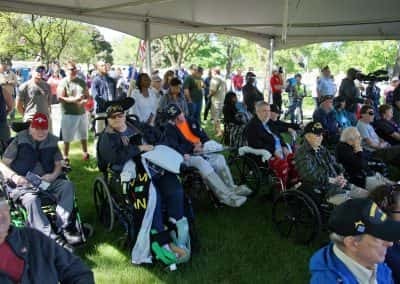 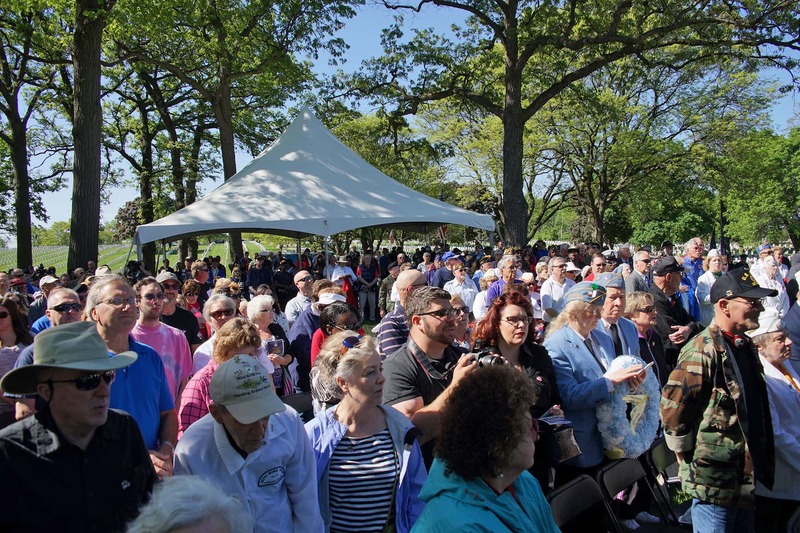 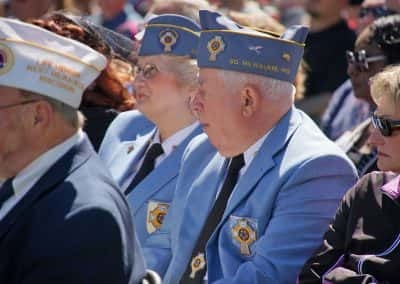 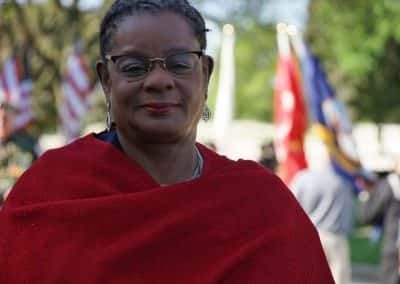 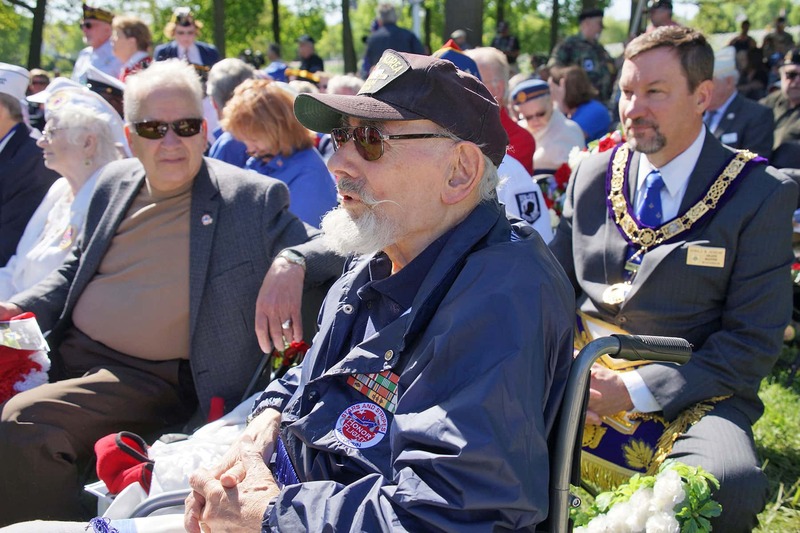 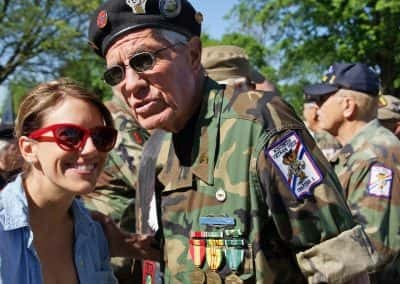 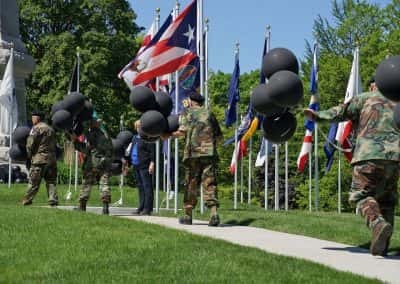 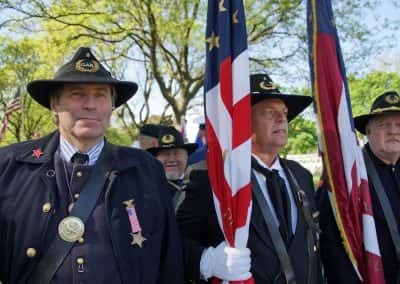 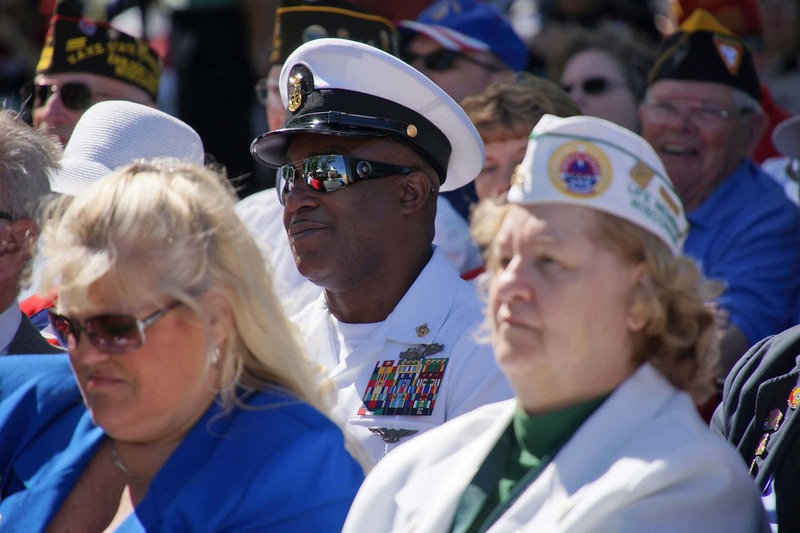 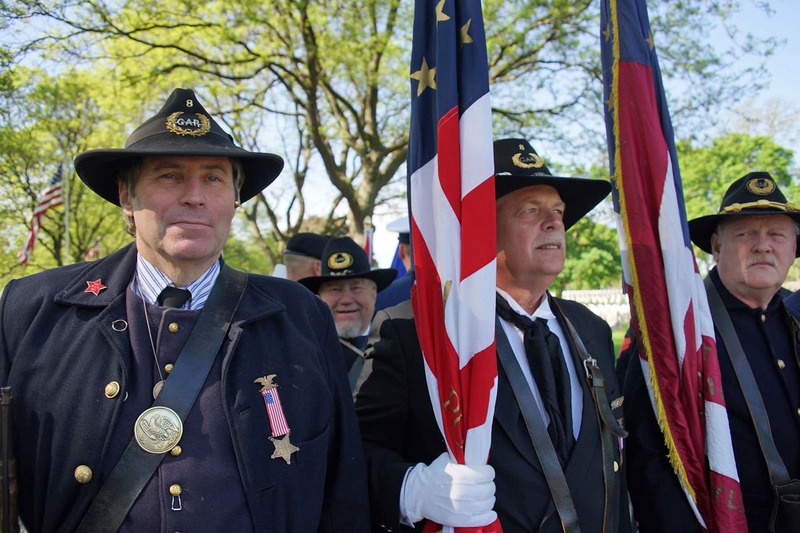 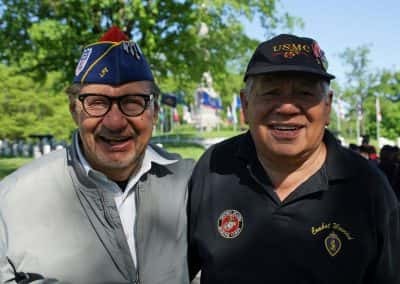 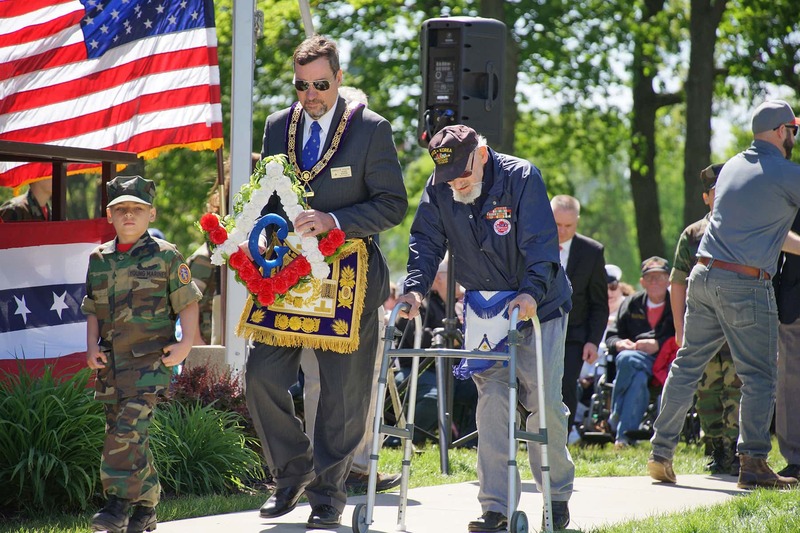 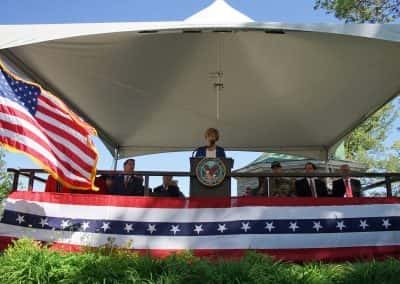 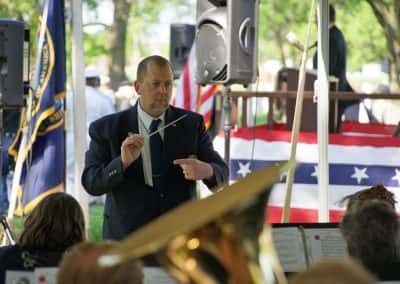 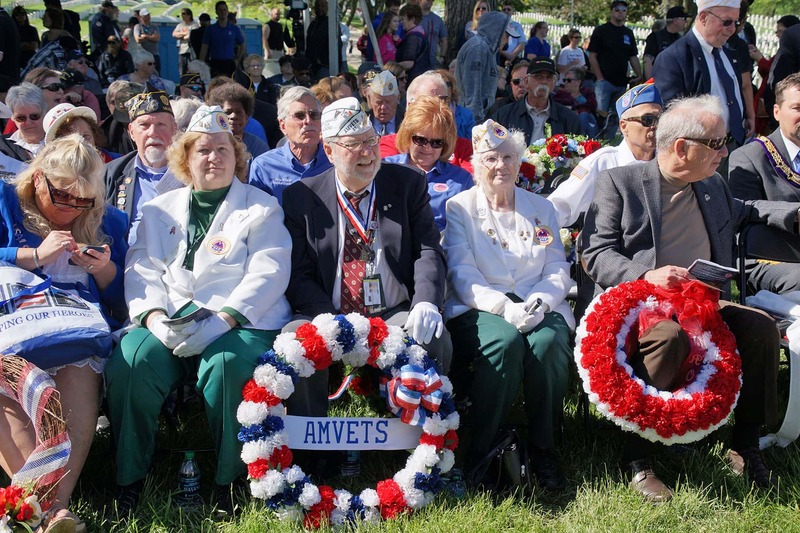 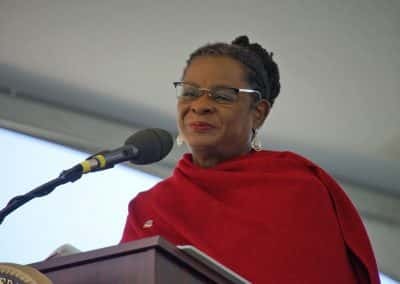 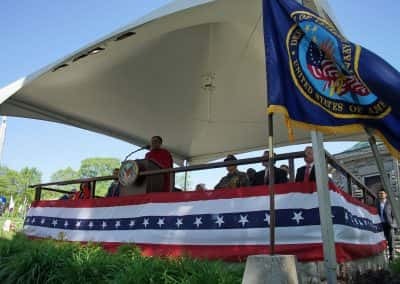 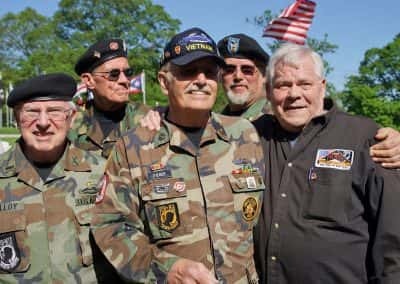 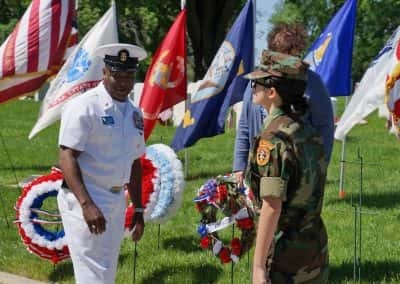 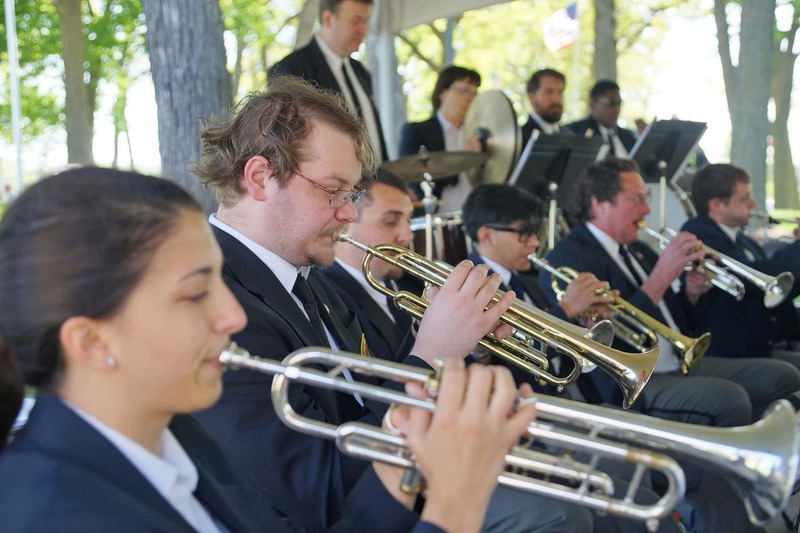 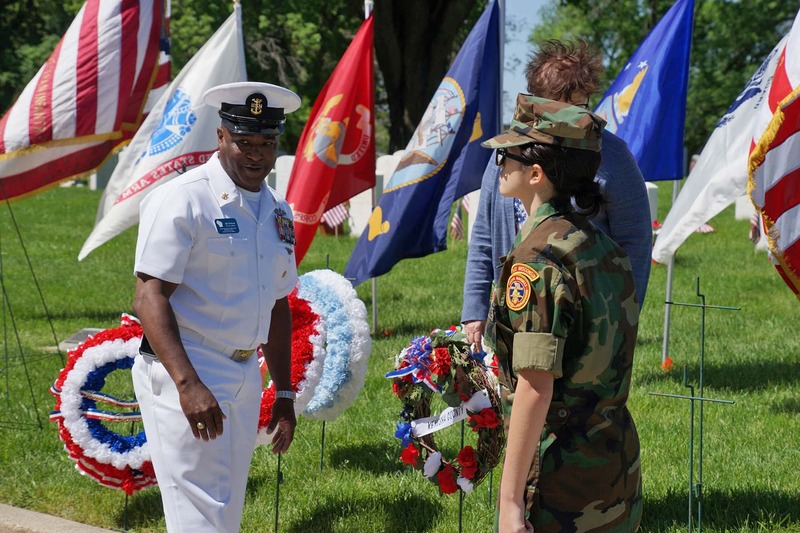 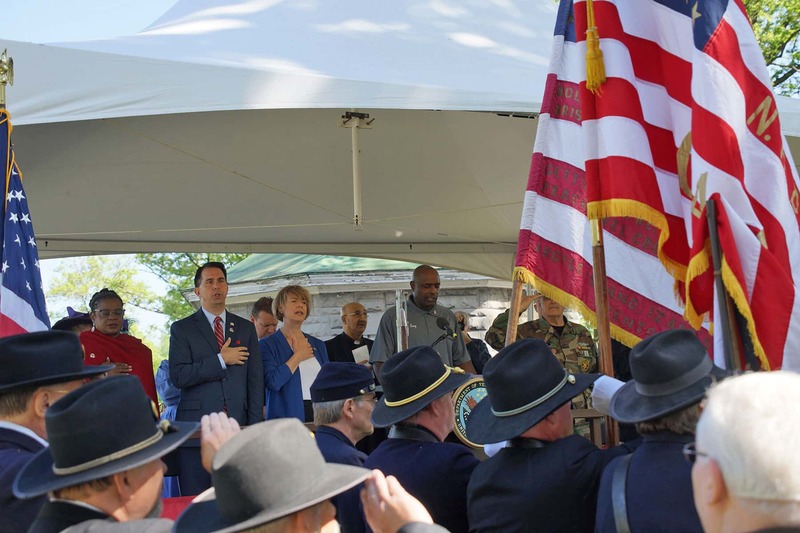 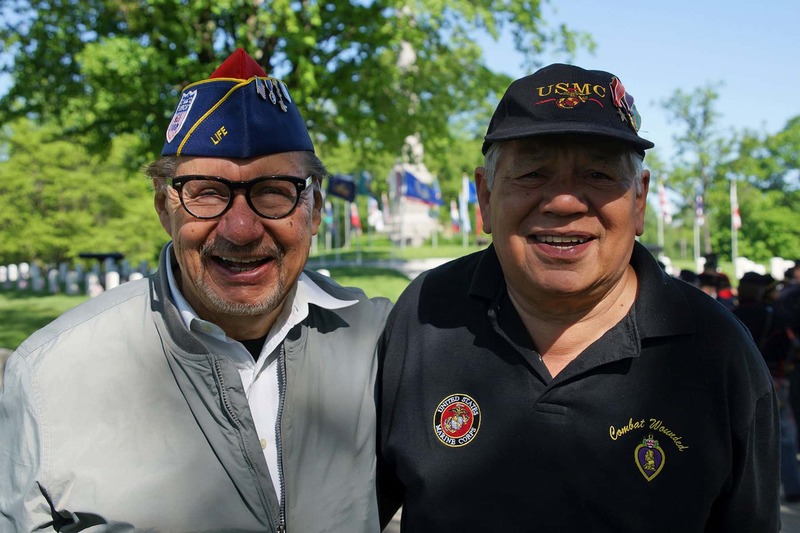 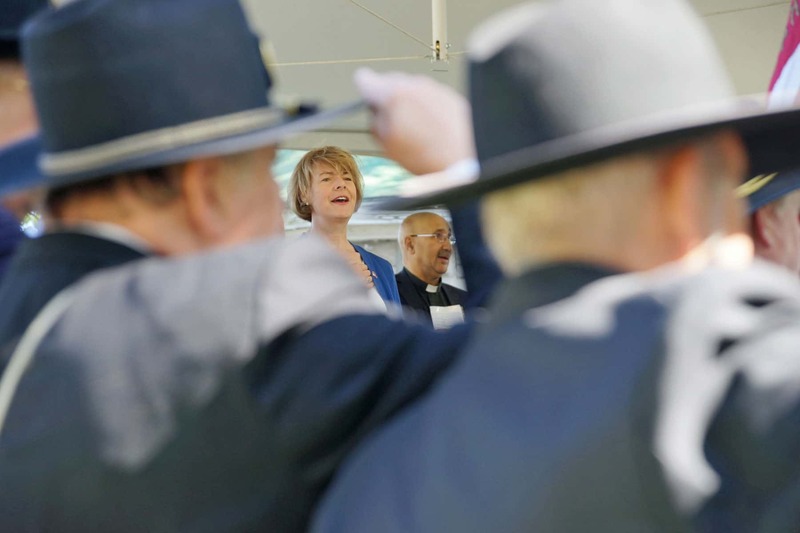 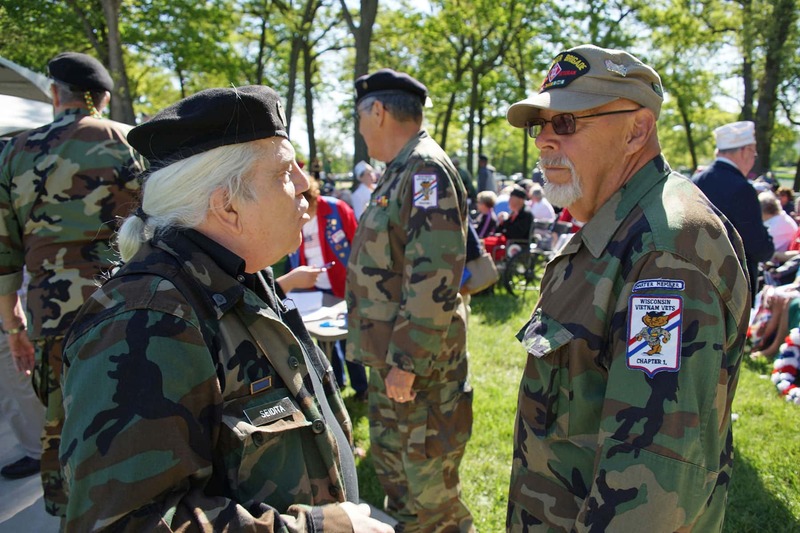 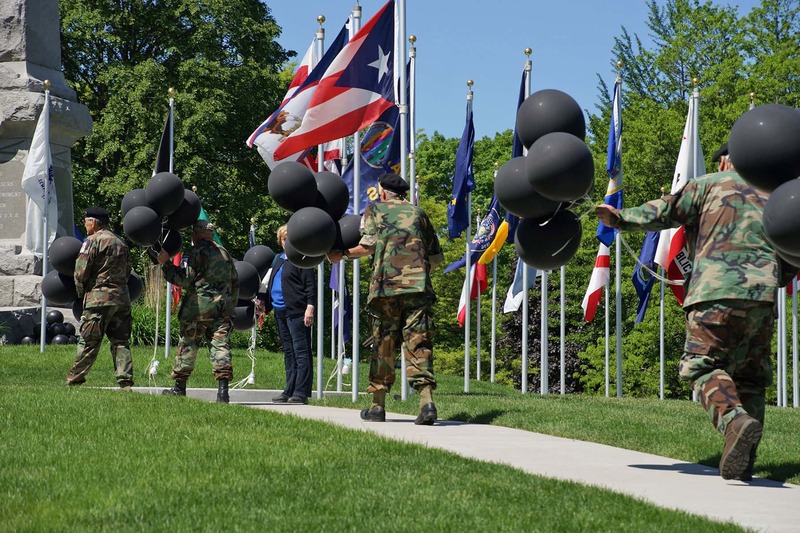 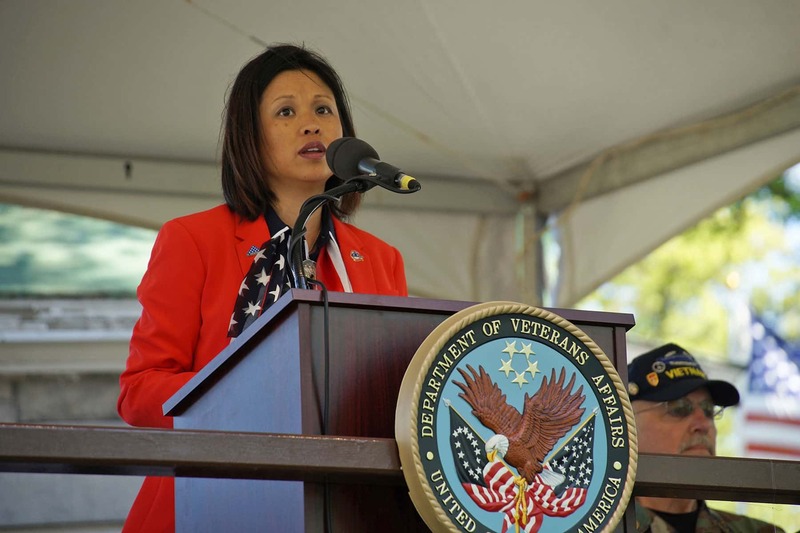 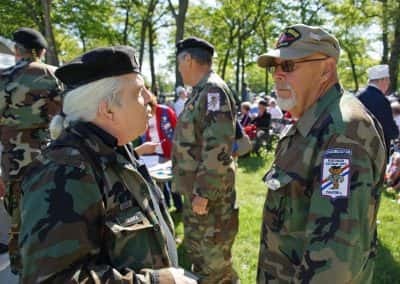 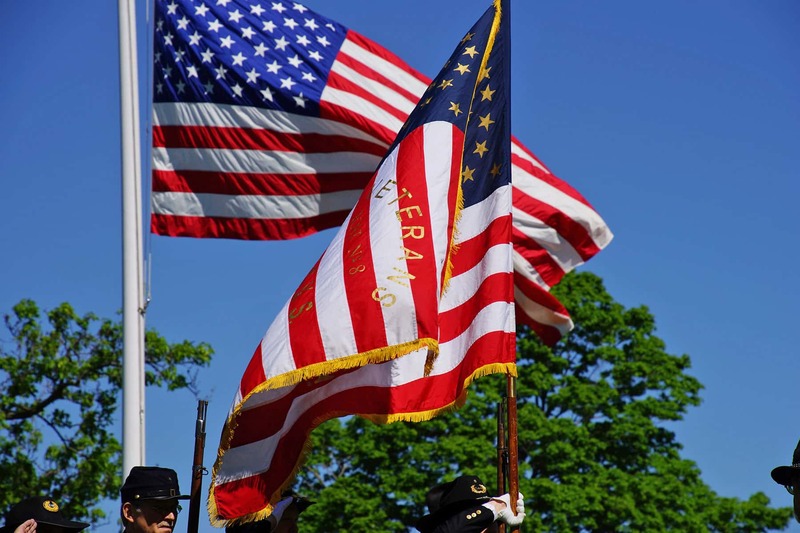 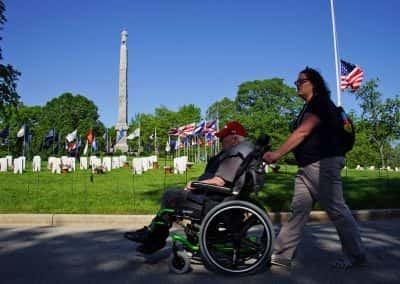 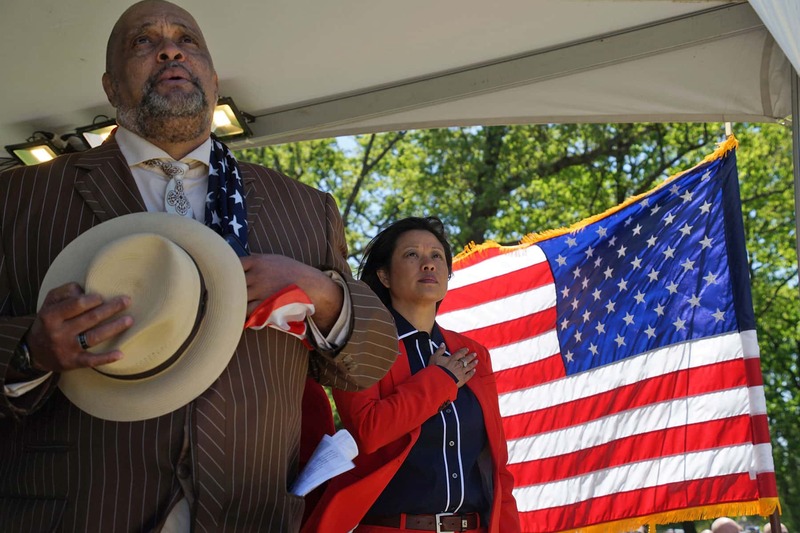 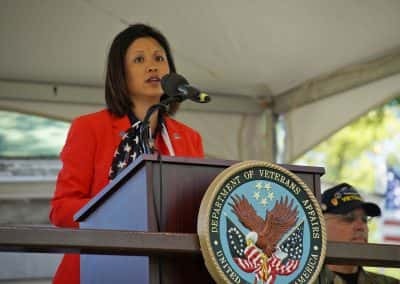 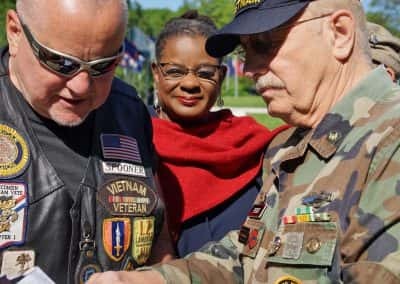 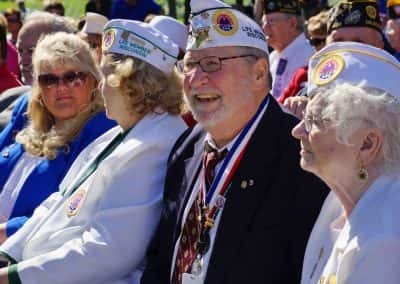 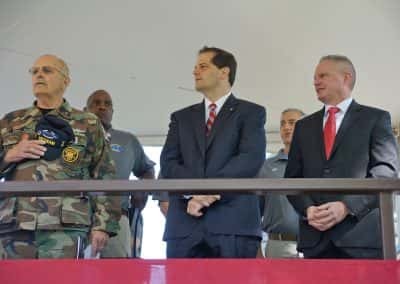 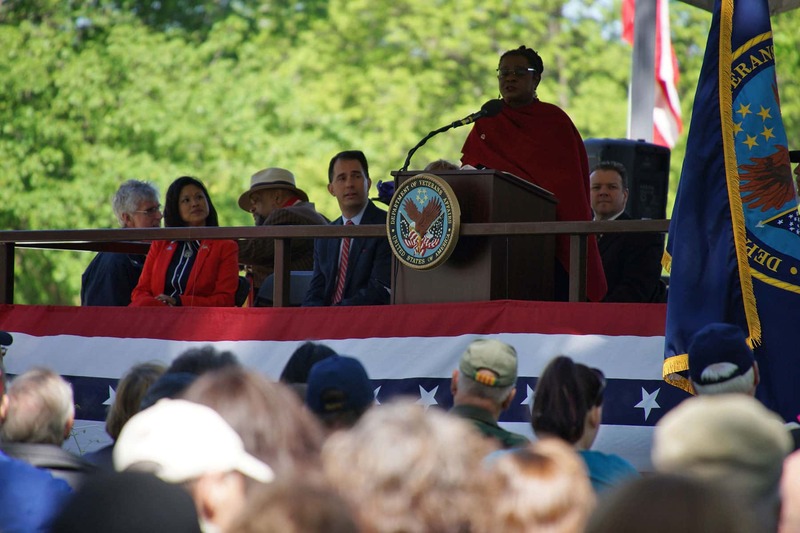 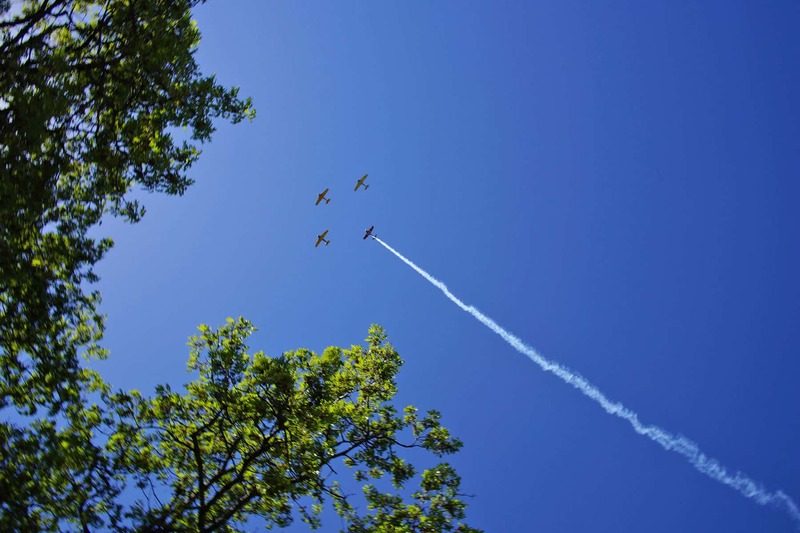 On May 29, the Clement J. Zablocki Veterans Association Medical Center continued its tradition of honoring veterans by remembering the lives and legacies of those lost in the service of our nation. 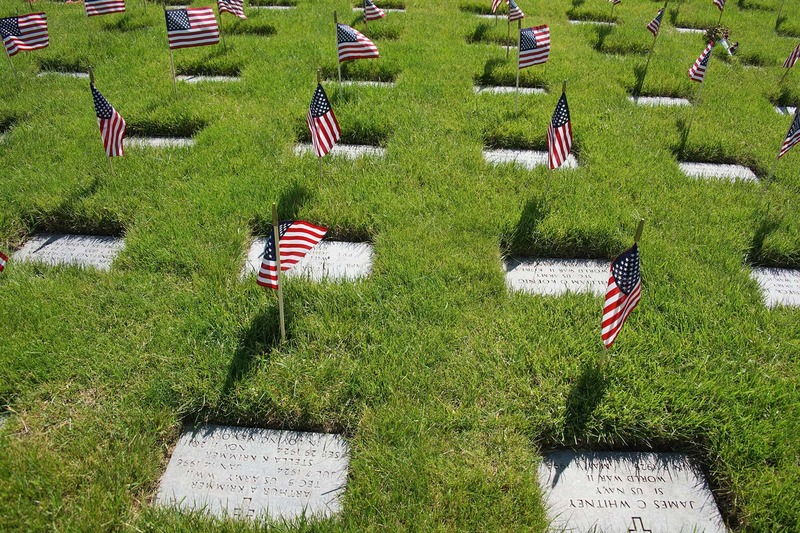 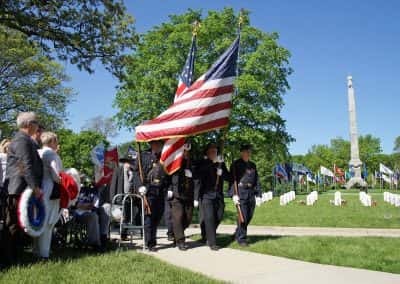 The headlines from conflicts in our Nation’s history were paid for by those honored on the lawn of Wood National Cemetery. 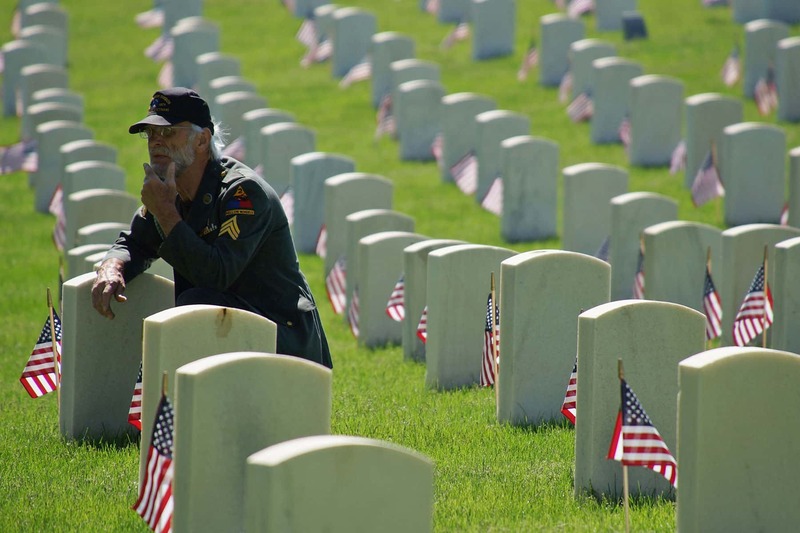 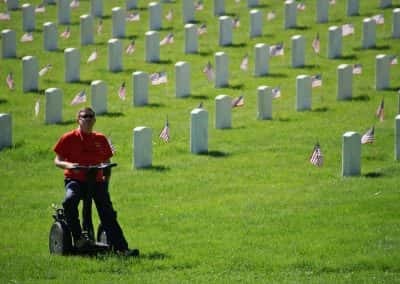 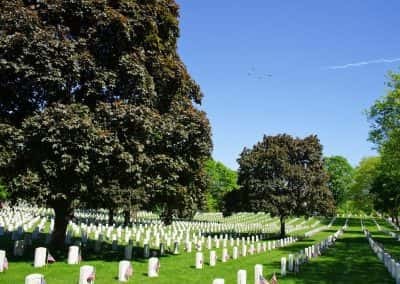 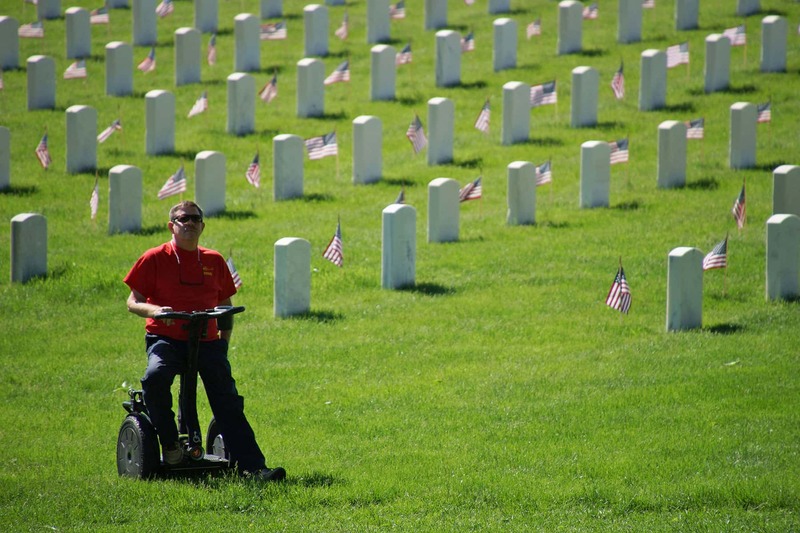 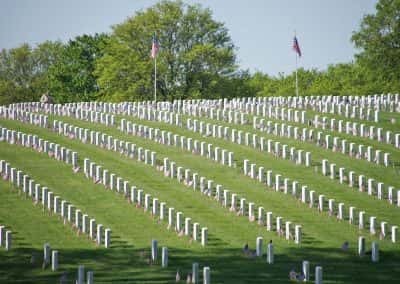 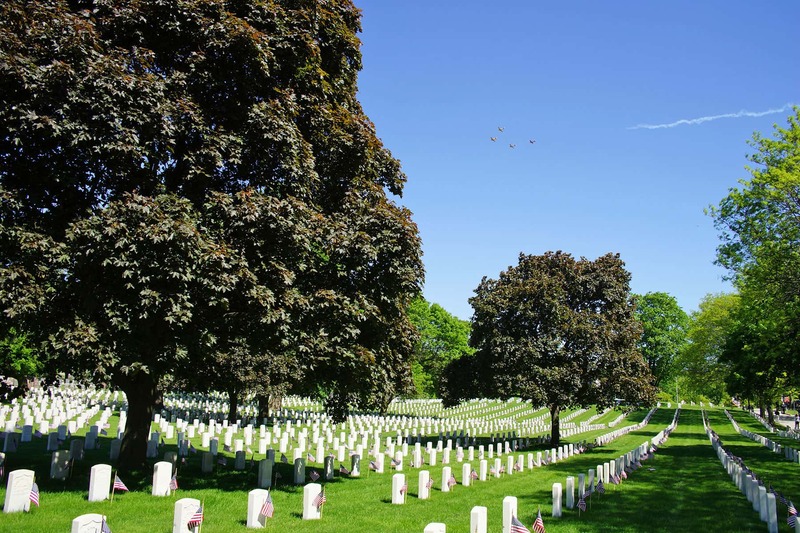 More than 3.8 million veterans from every American conflict are buried across VA National Cemeteries, on 20,000 acres of land. 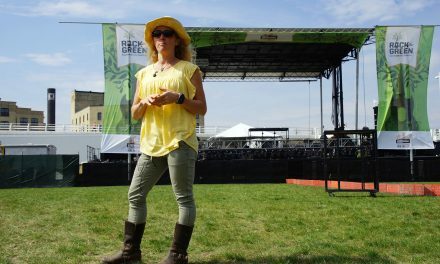 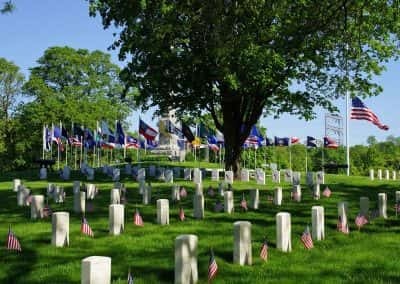 These hallowed grounds are visited by 7 million people each year, paying tribute to some of the nearly 900,000 Americans who dіеd in military service. 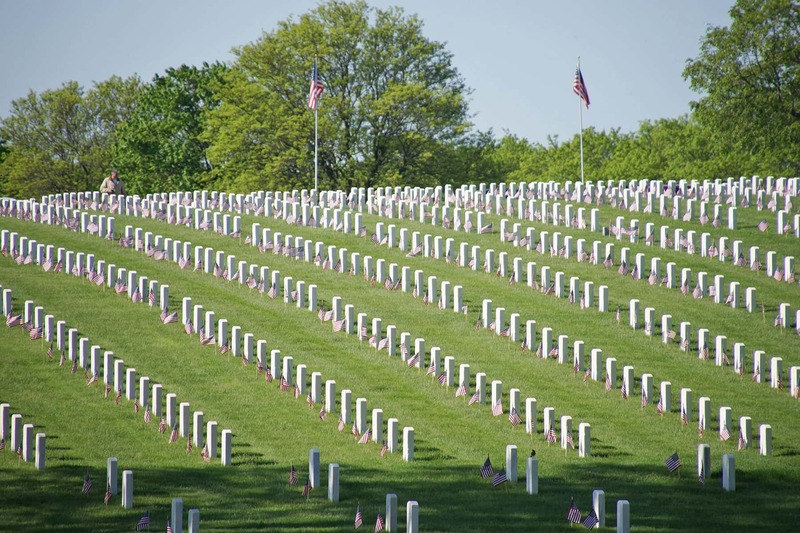 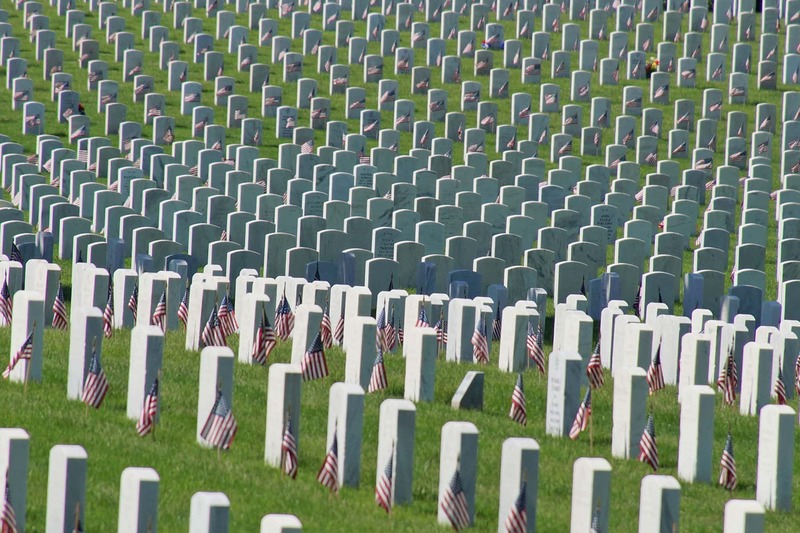 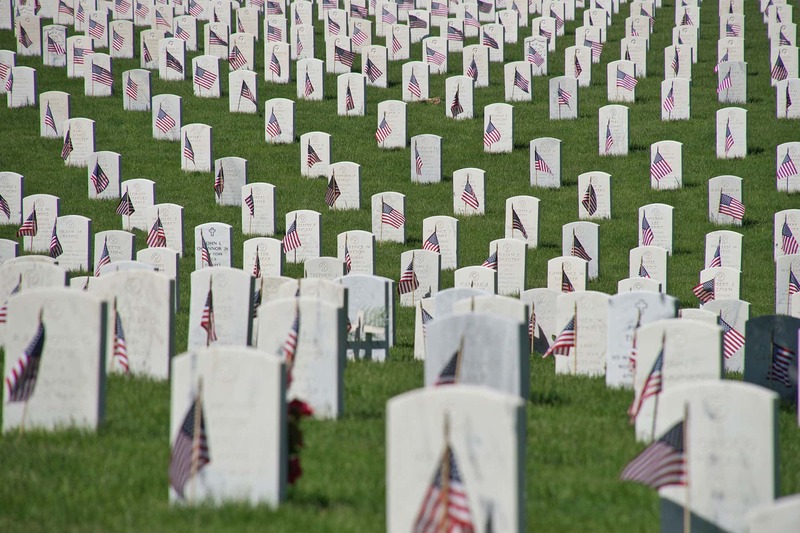 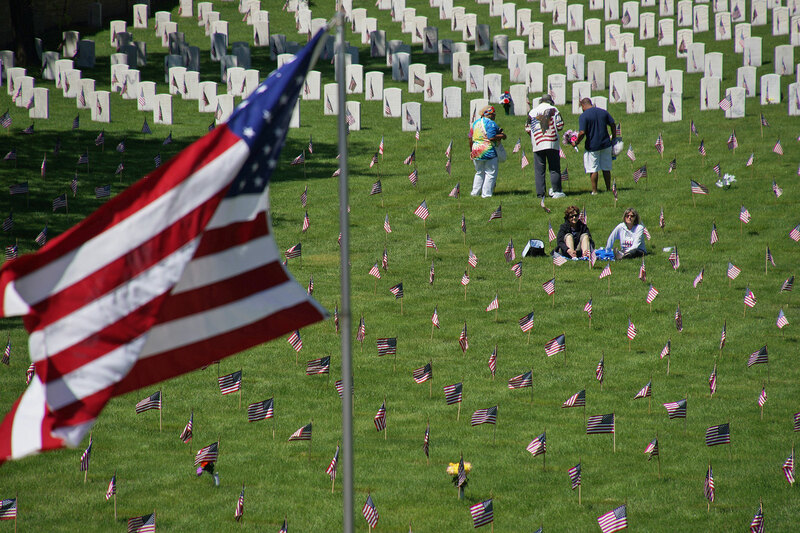 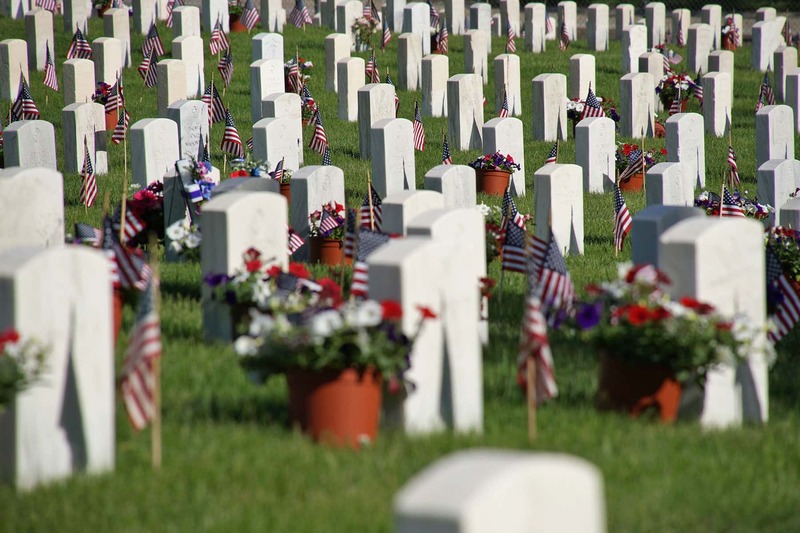 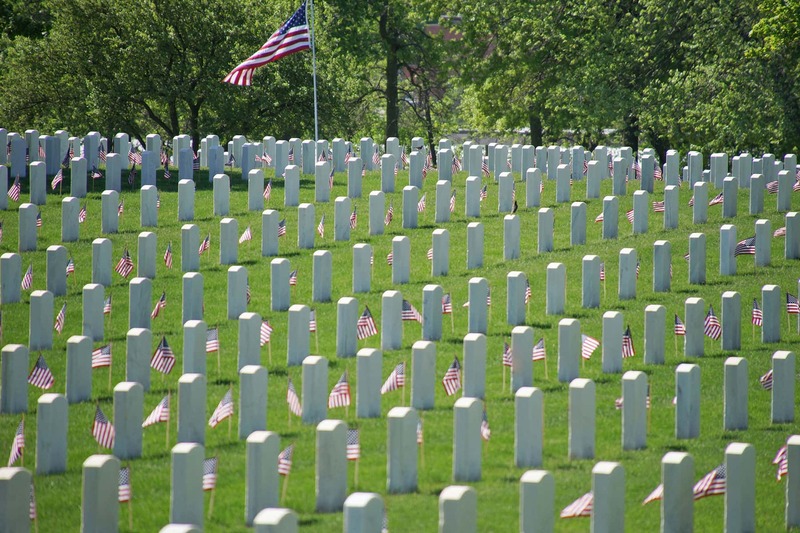 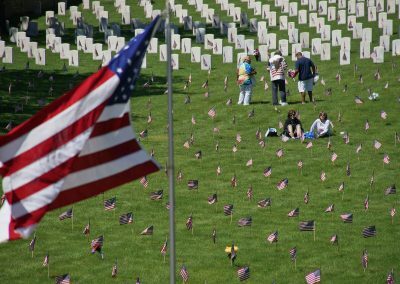 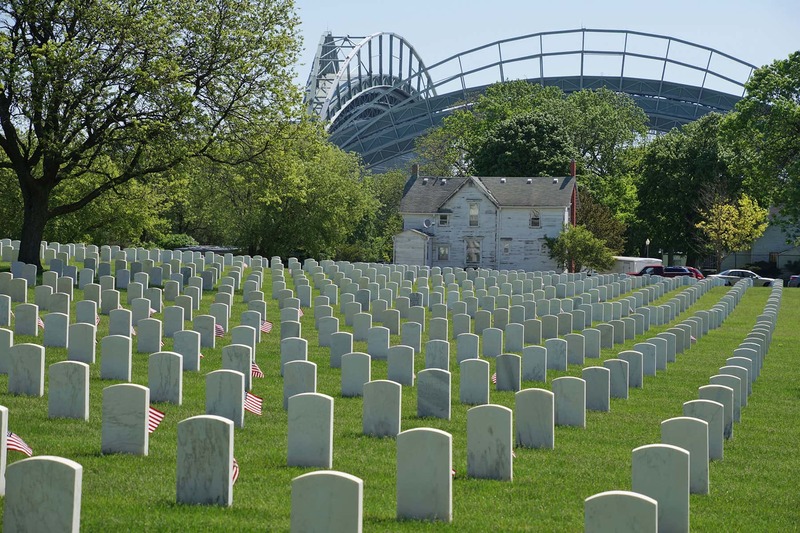 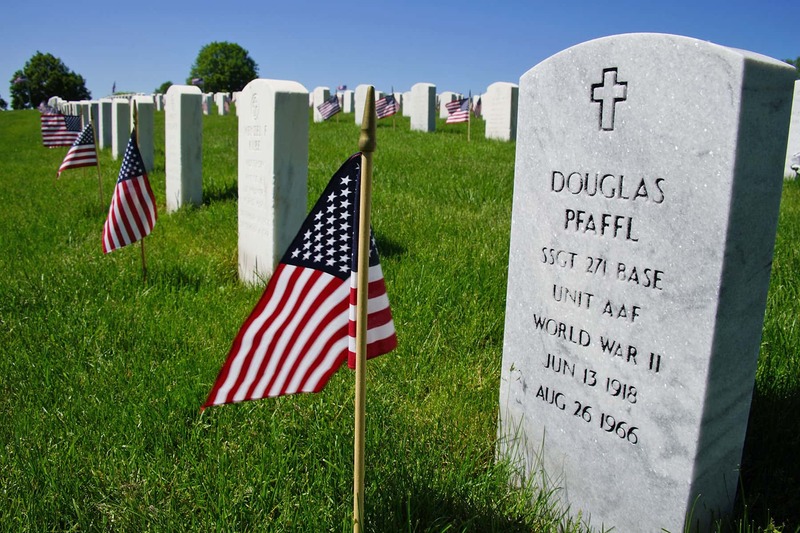 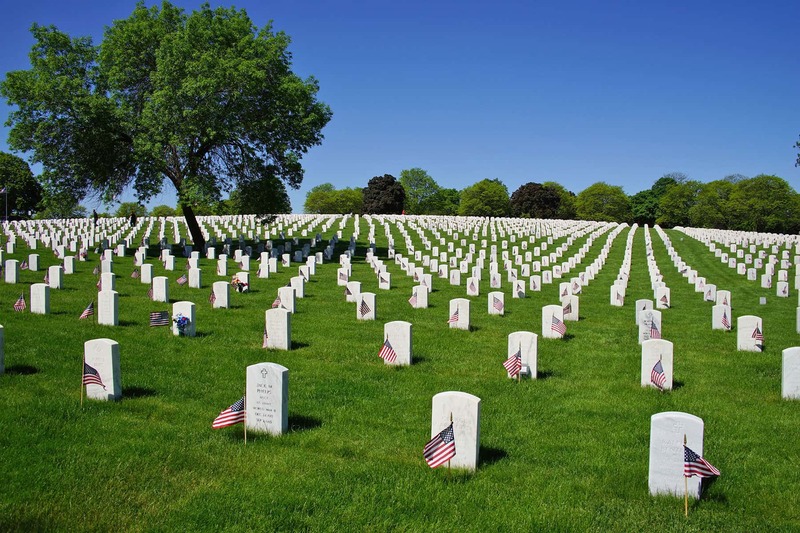 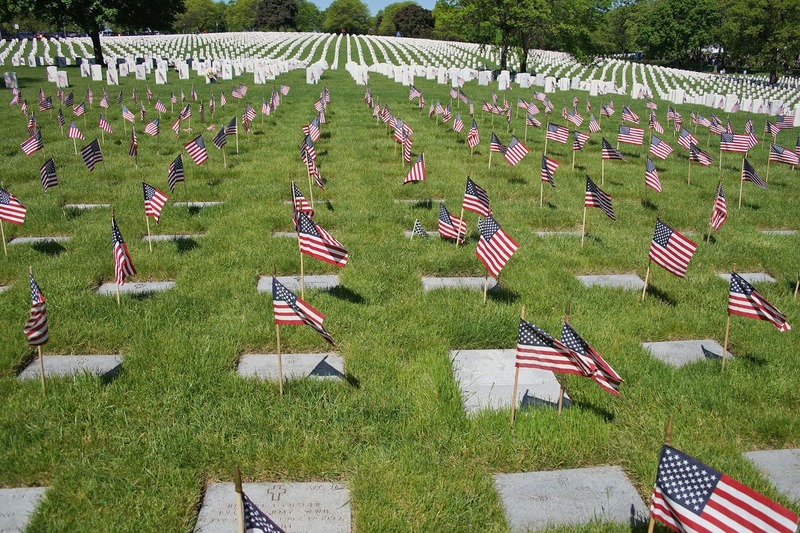 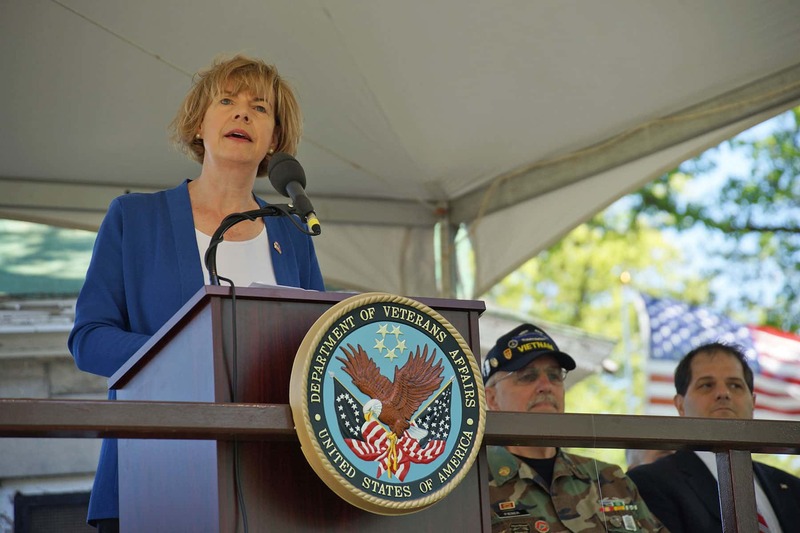 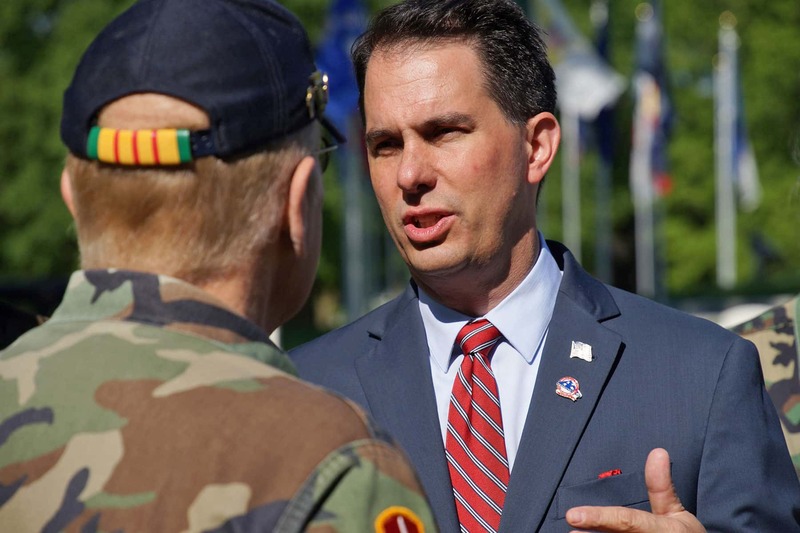 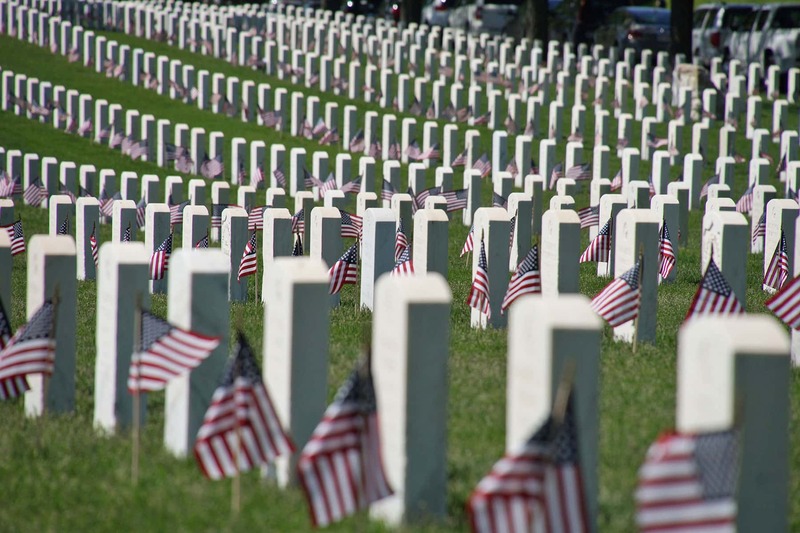 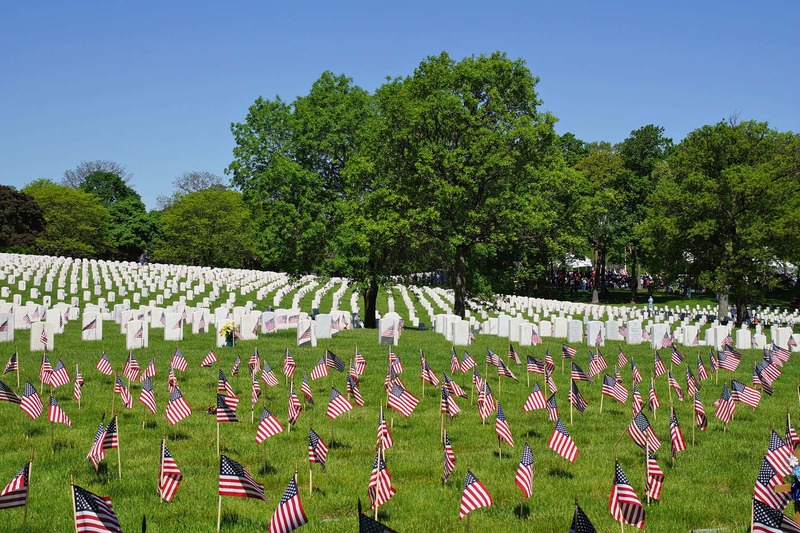 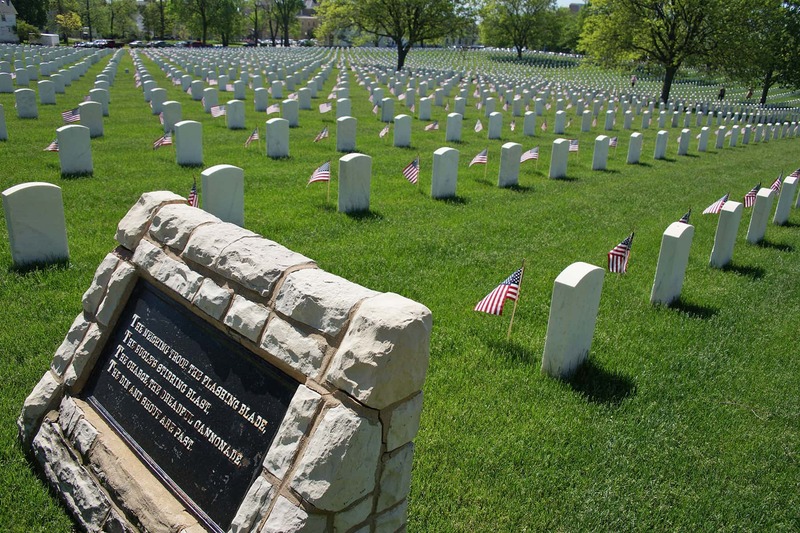 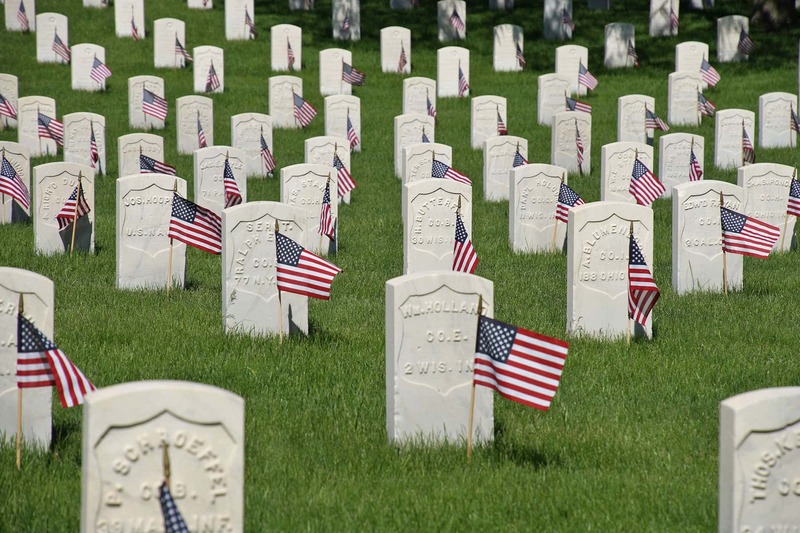 That total includes the 33,000 souls buried at the VA’s Wood National Cemetery in Milwaukee. 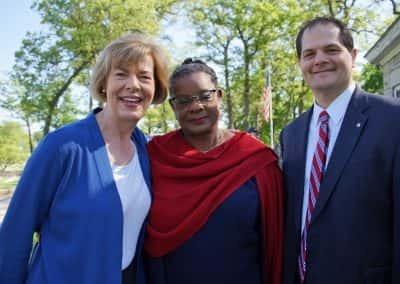 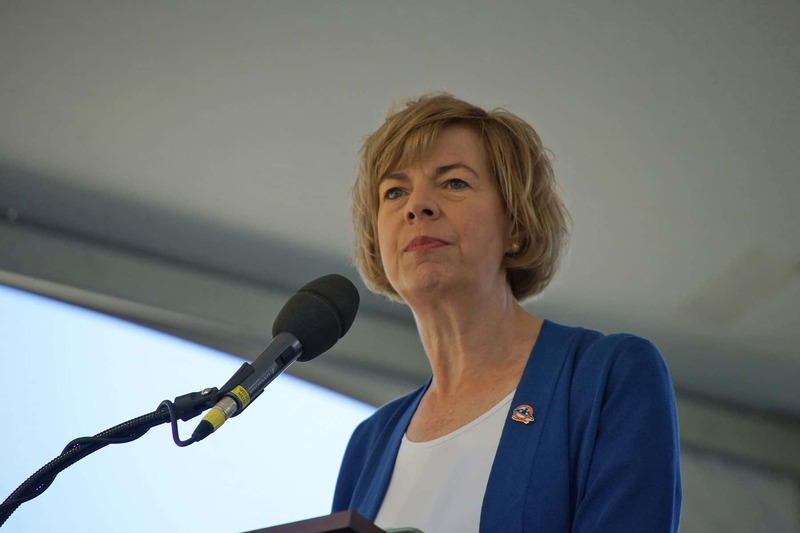 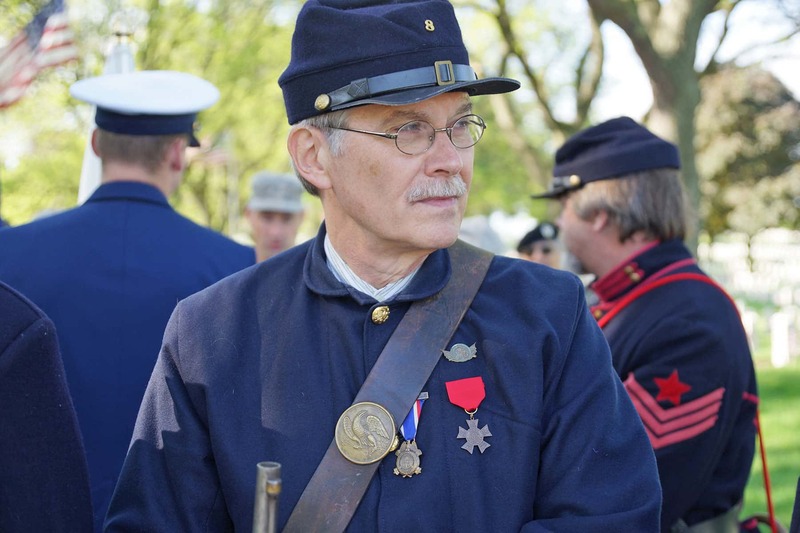 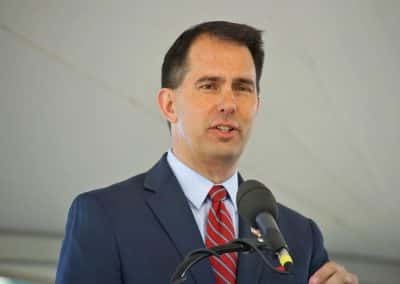 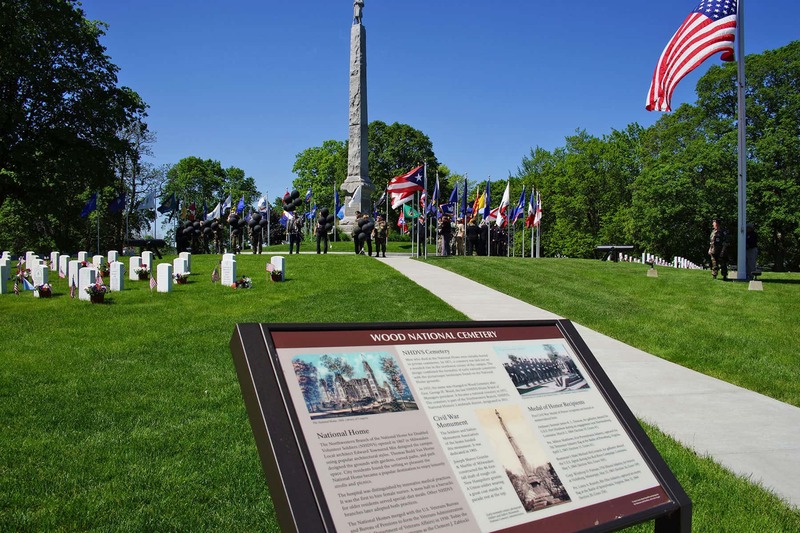 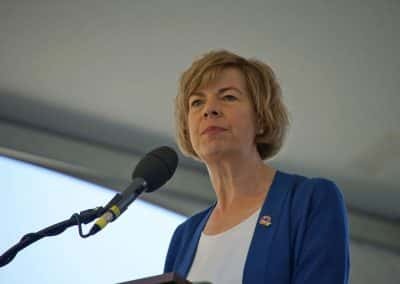 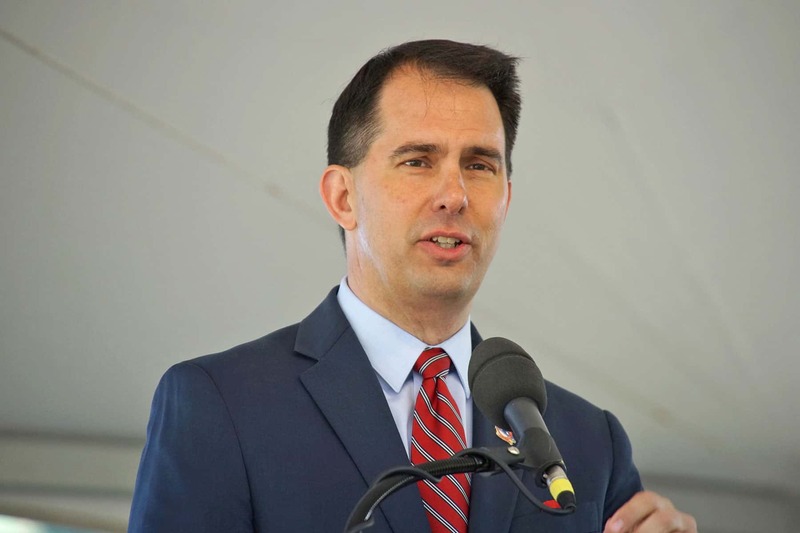 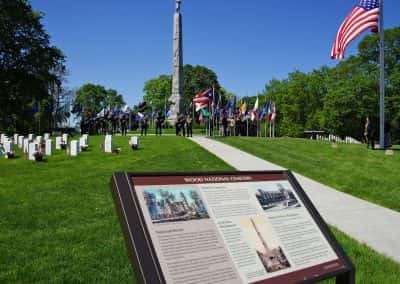 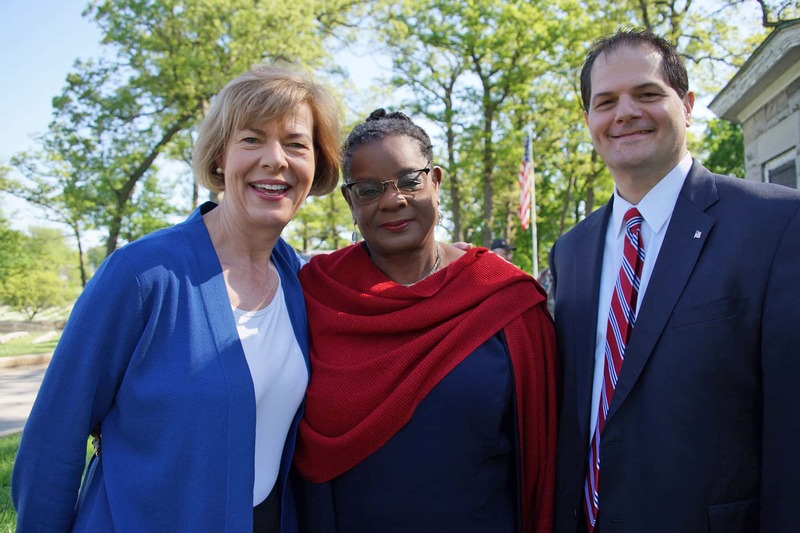 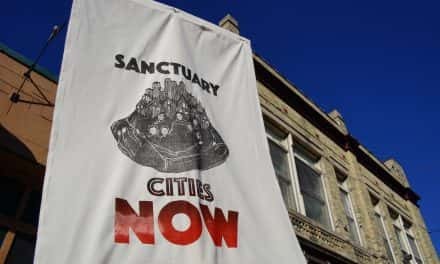 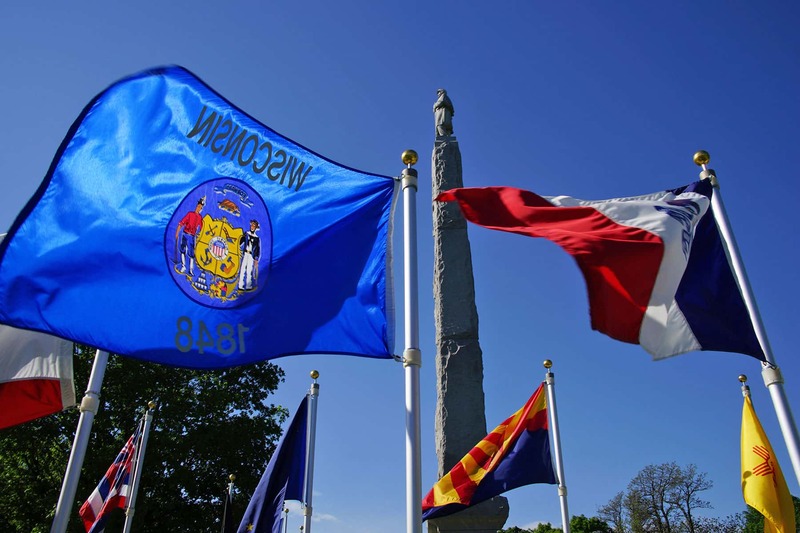 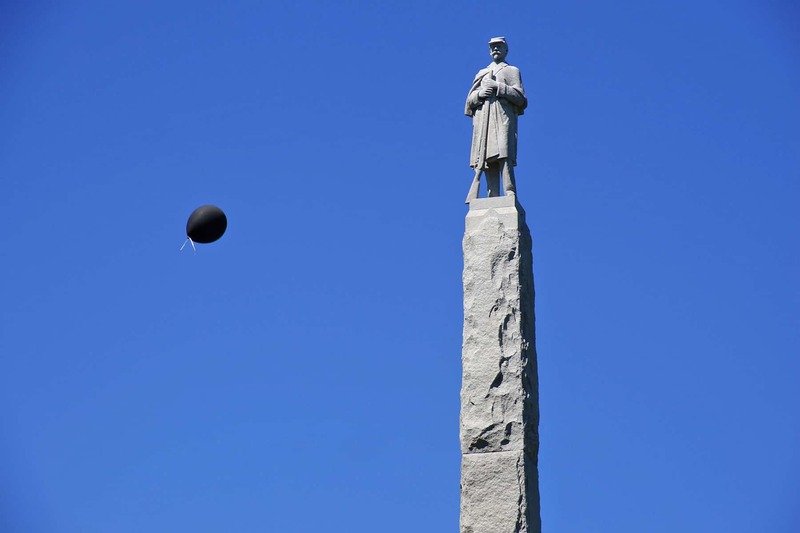 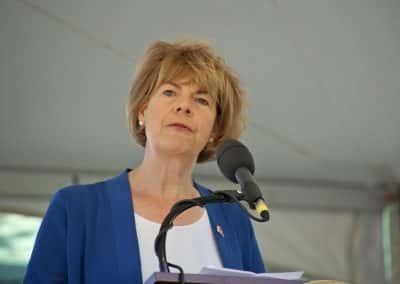 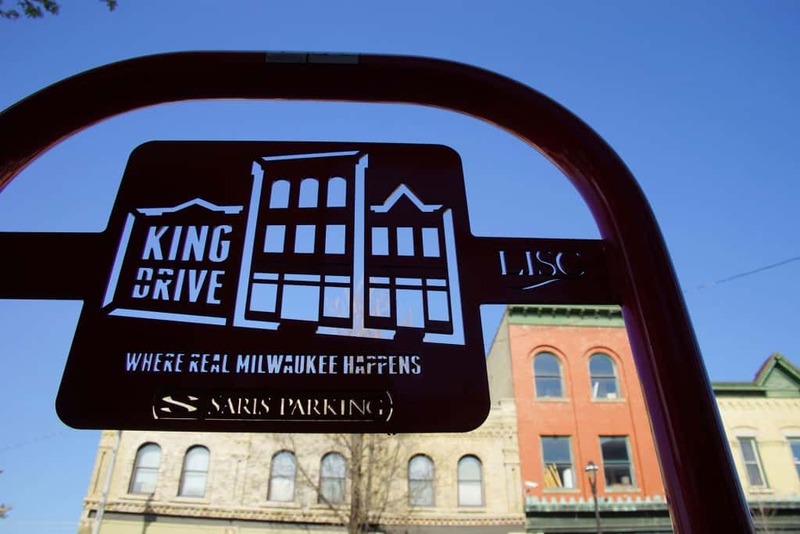 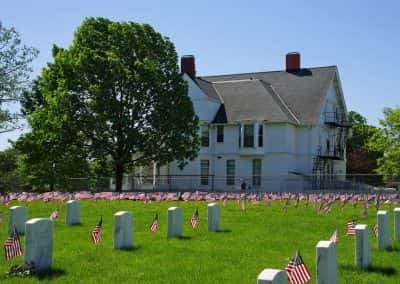 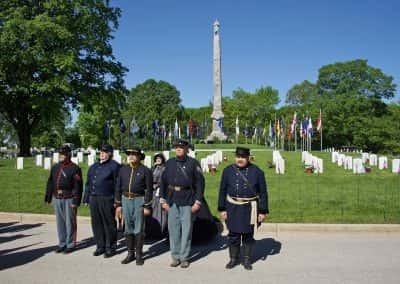 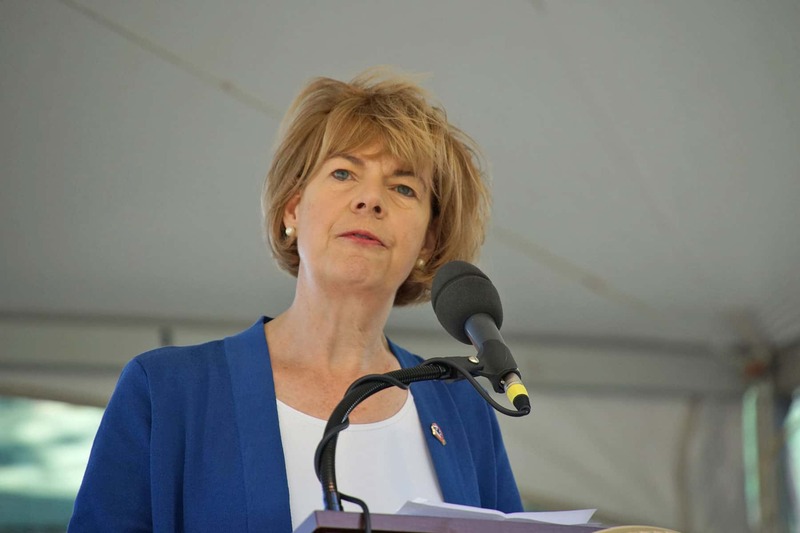 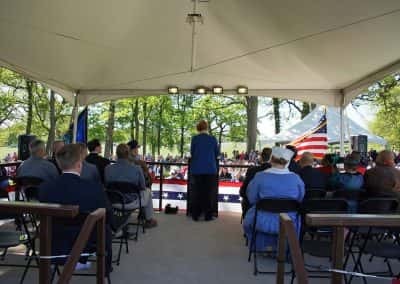 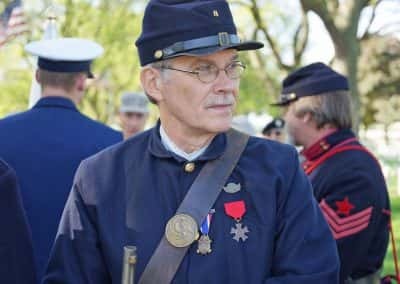 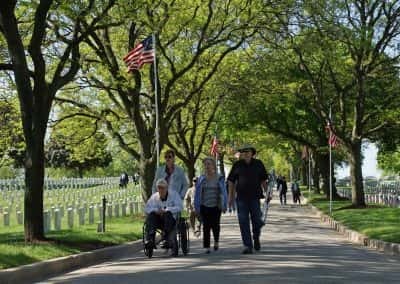 The first grounds of the cemetery opened in 1871, a decade after the start of the Civil War which began barely a dozen years after Wisconsin became a state in 1848. 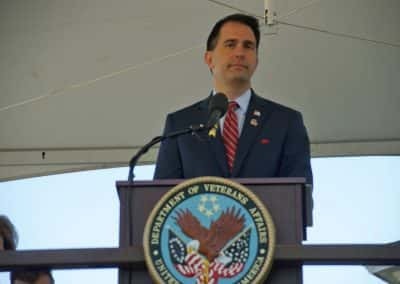 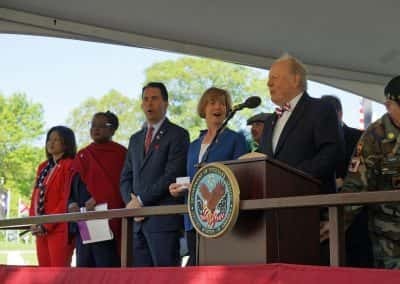 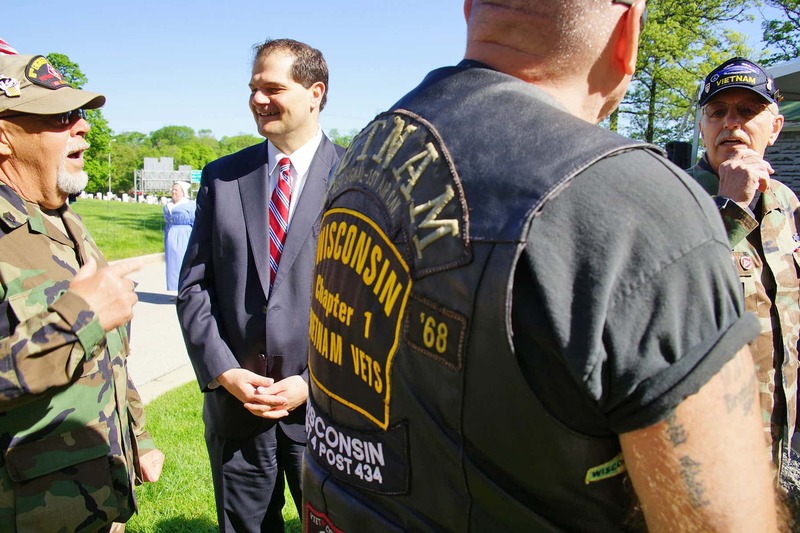 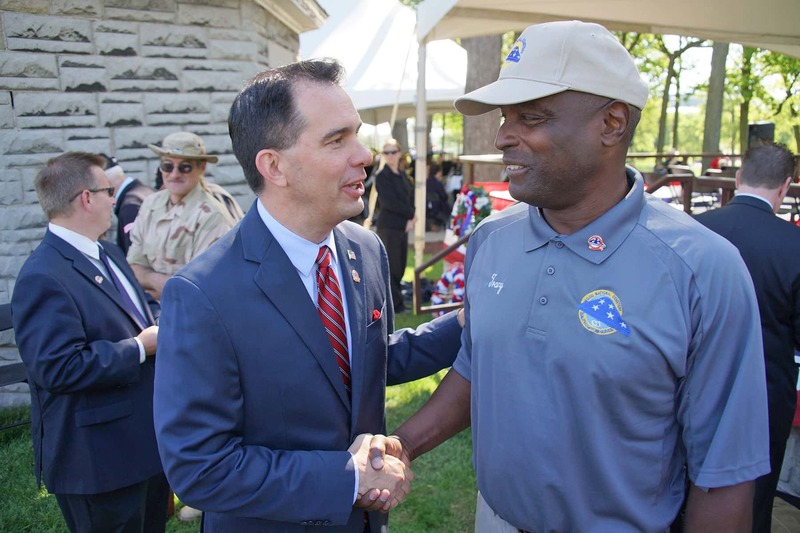 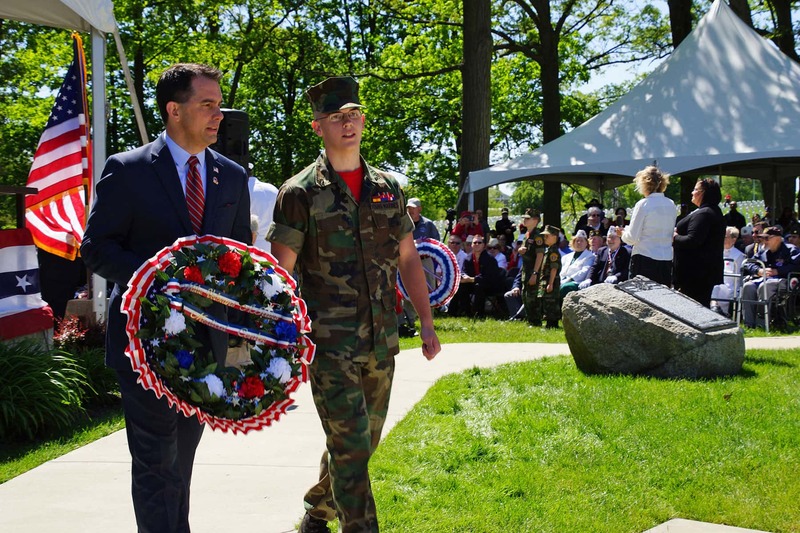 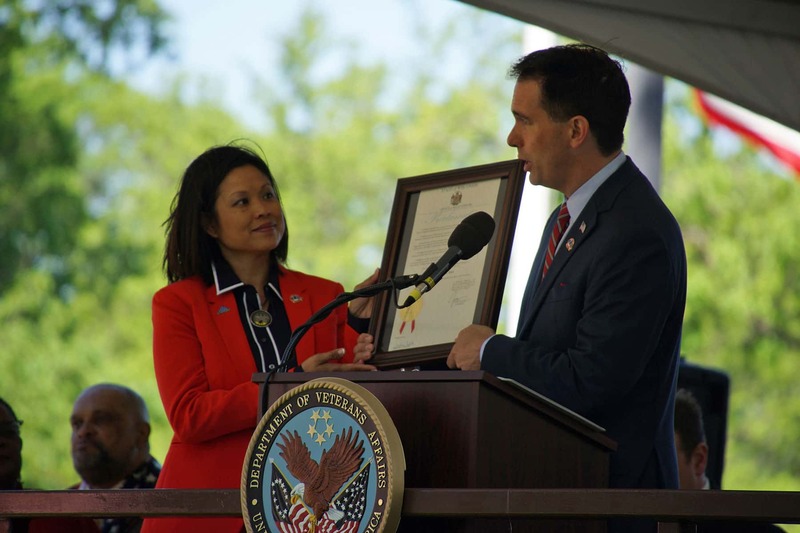 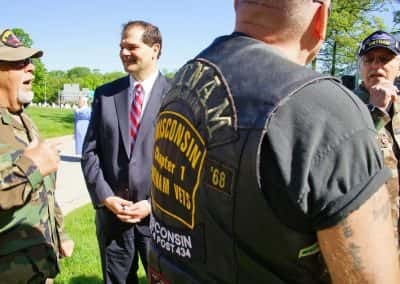 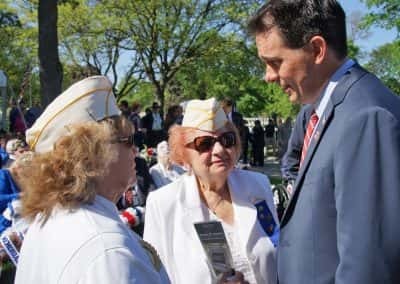 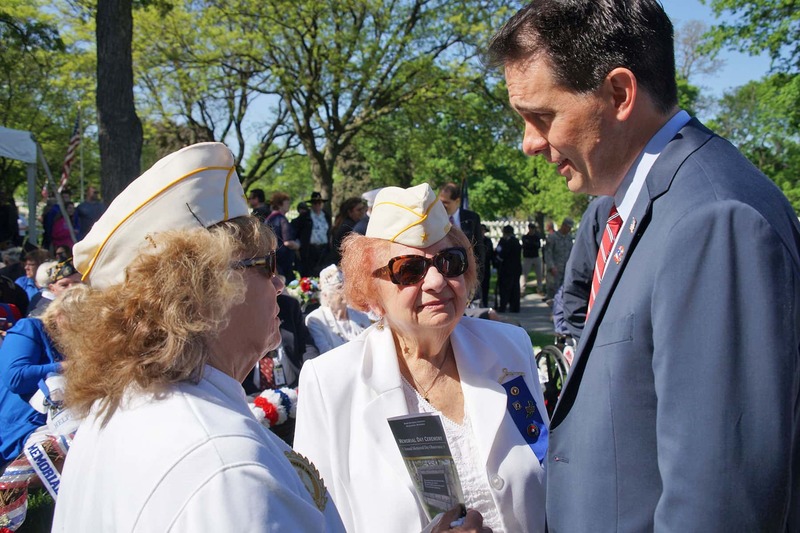 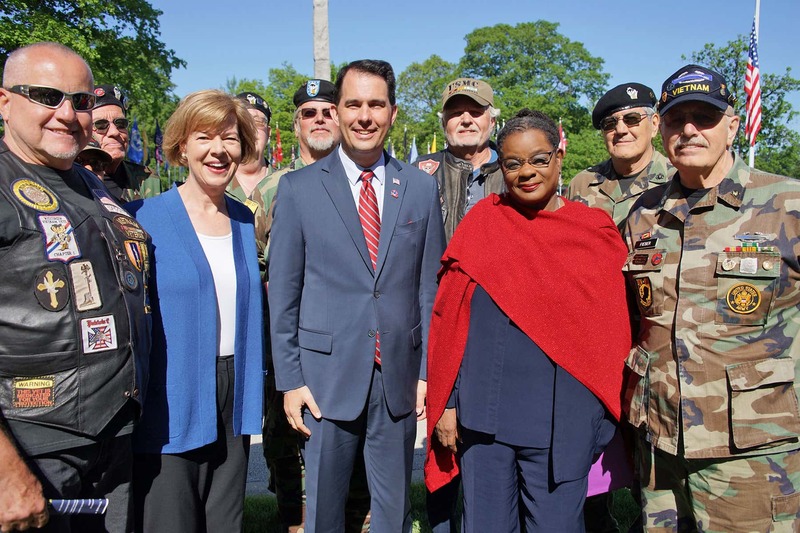 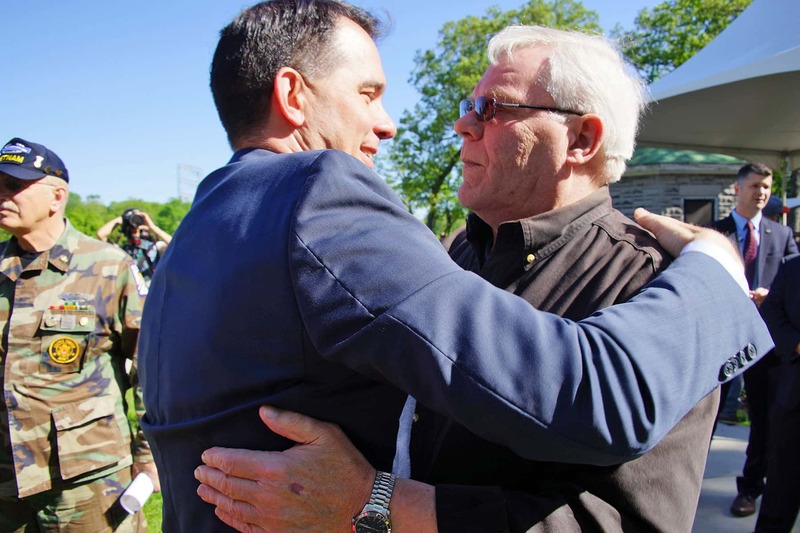 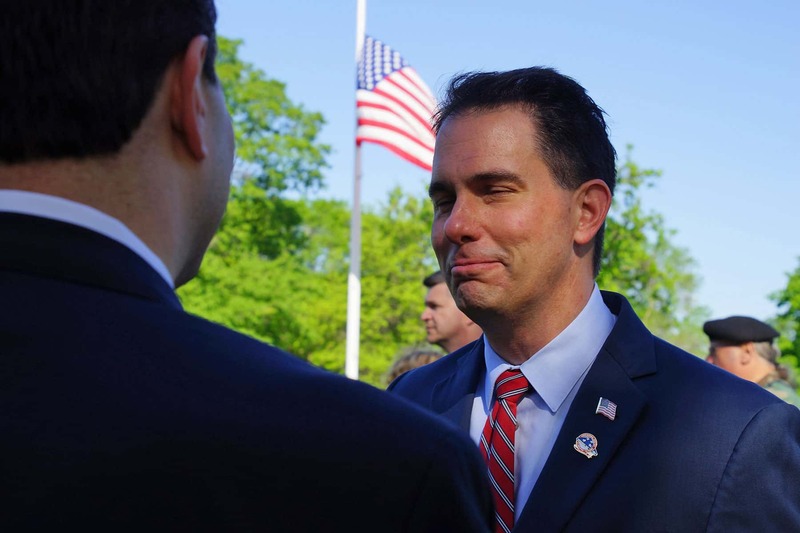 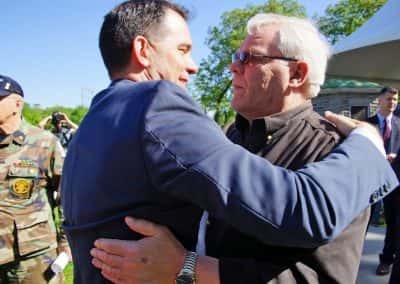 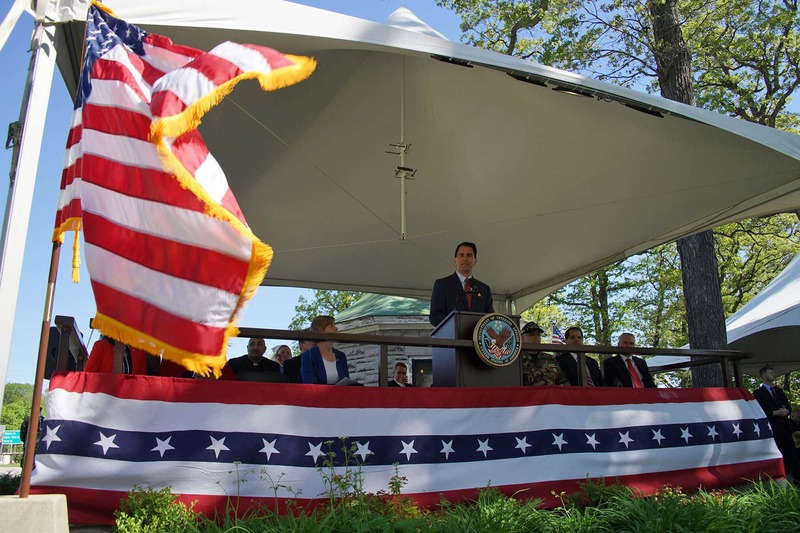 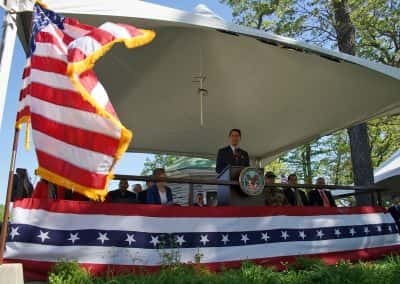 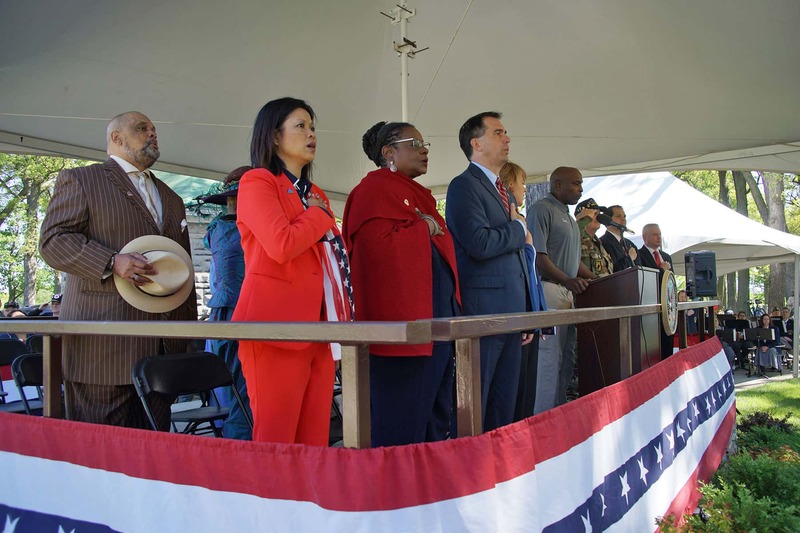 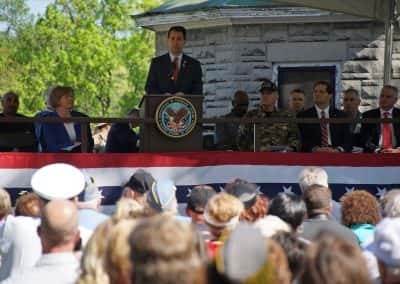 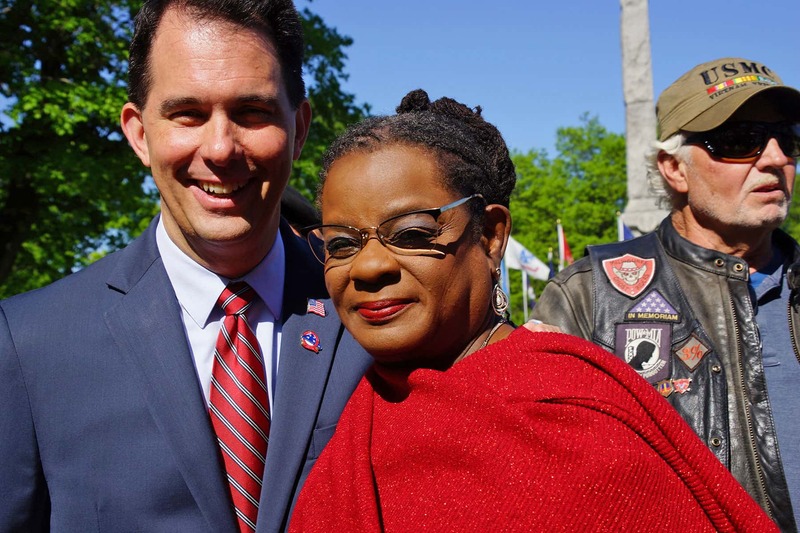 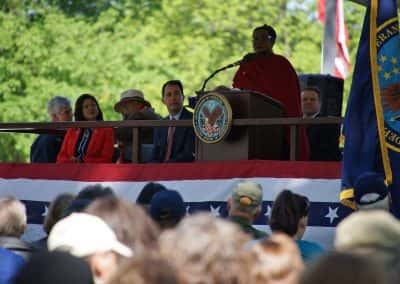 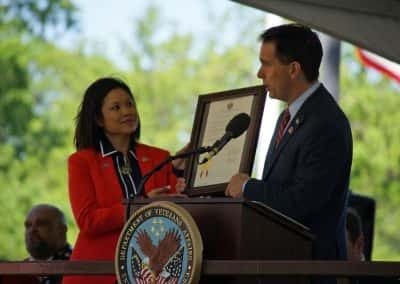 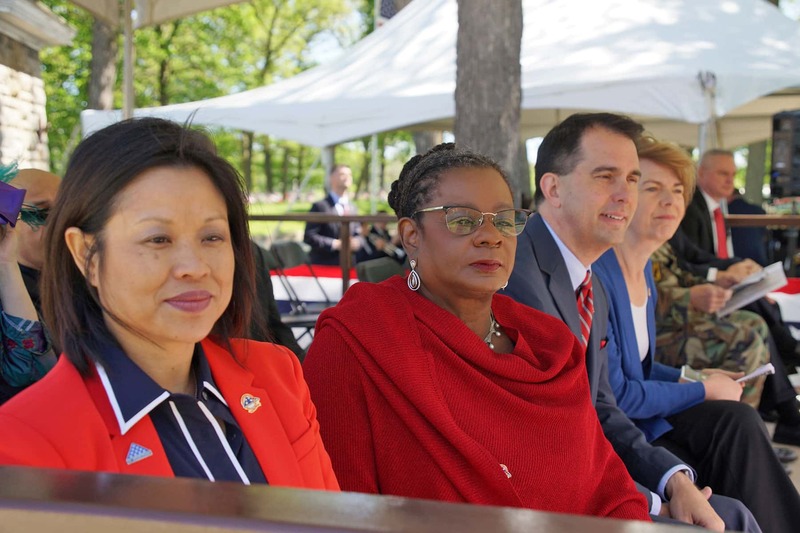 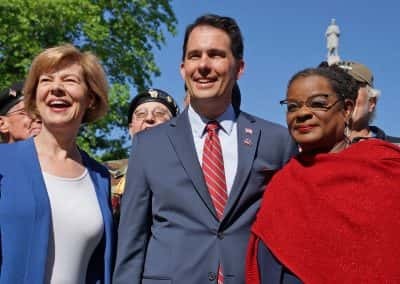 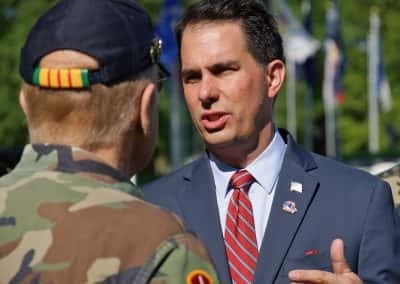 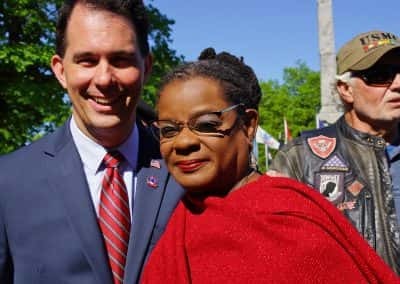 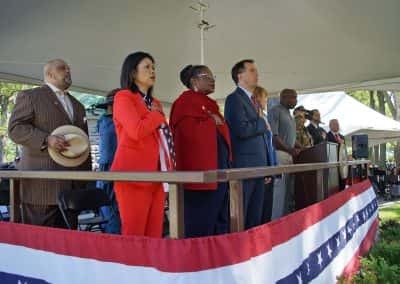 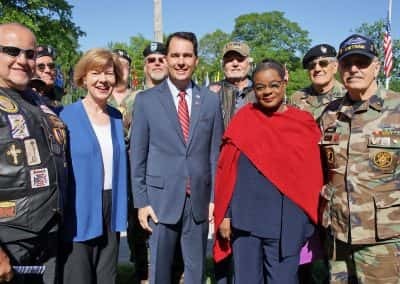 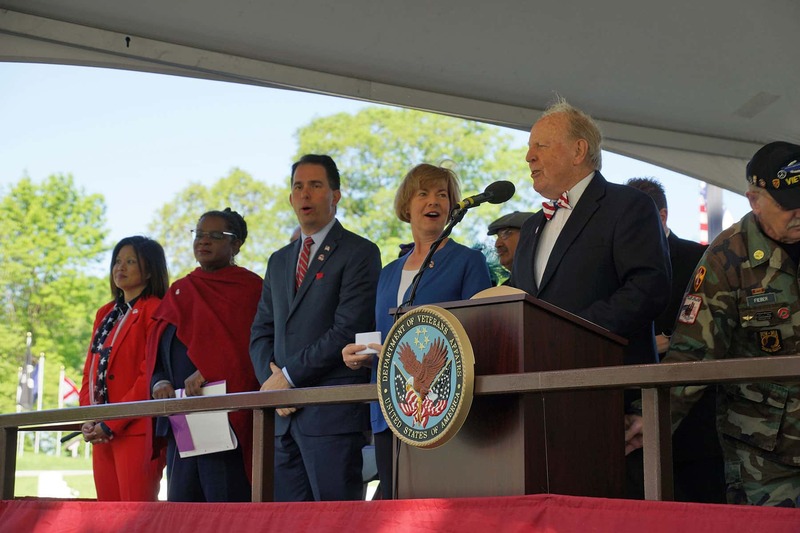 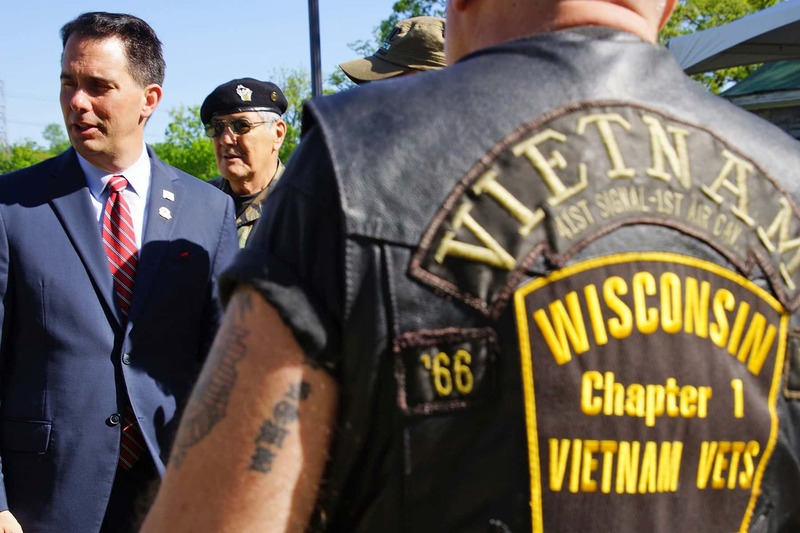 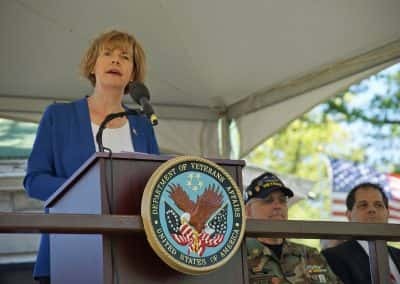 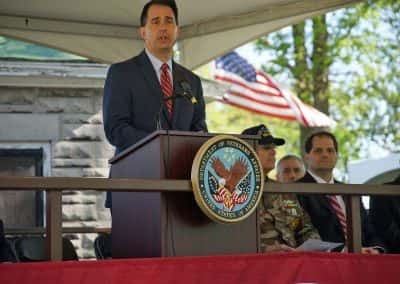 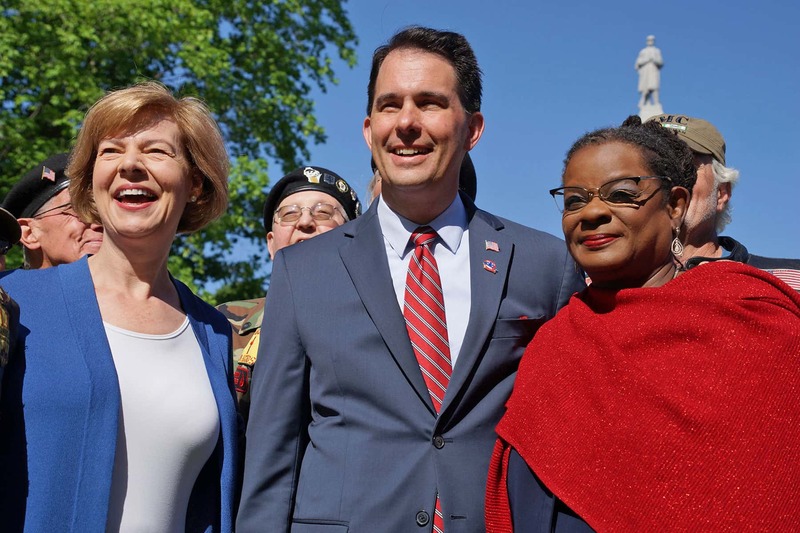 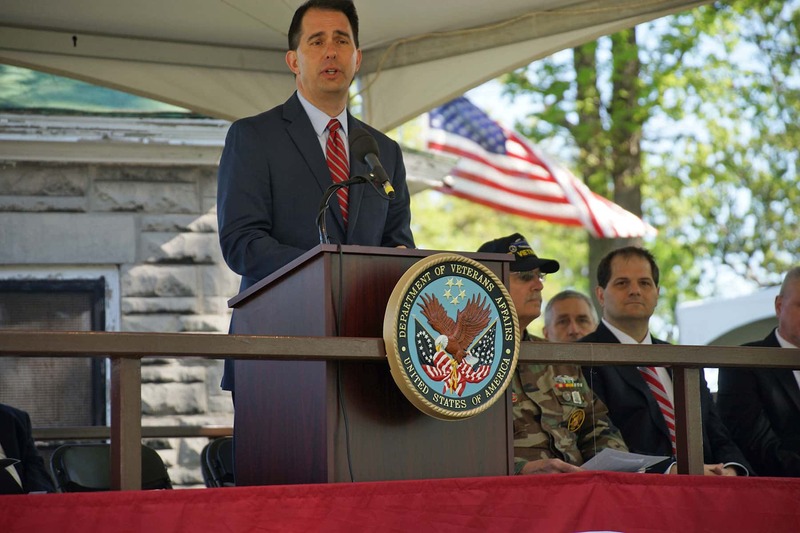 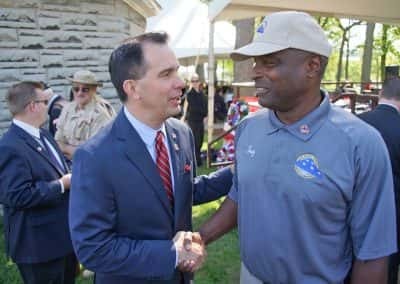 During the ceremony Governor Scott Walker presented a proclamation honoring the National Cemetery as a declaration of thanks on Memorial Day. 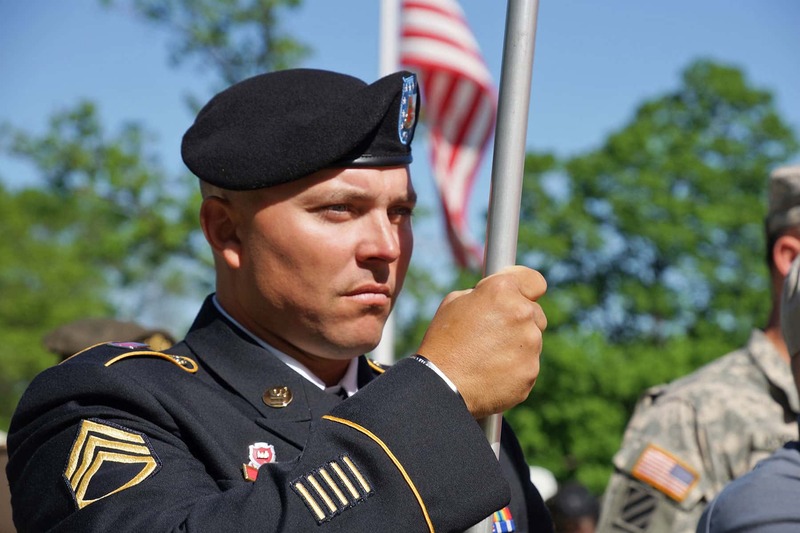 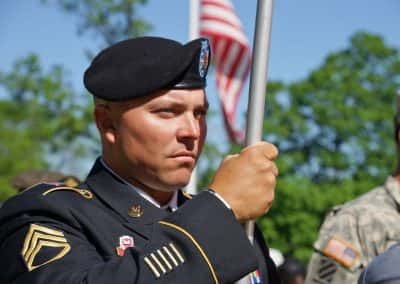 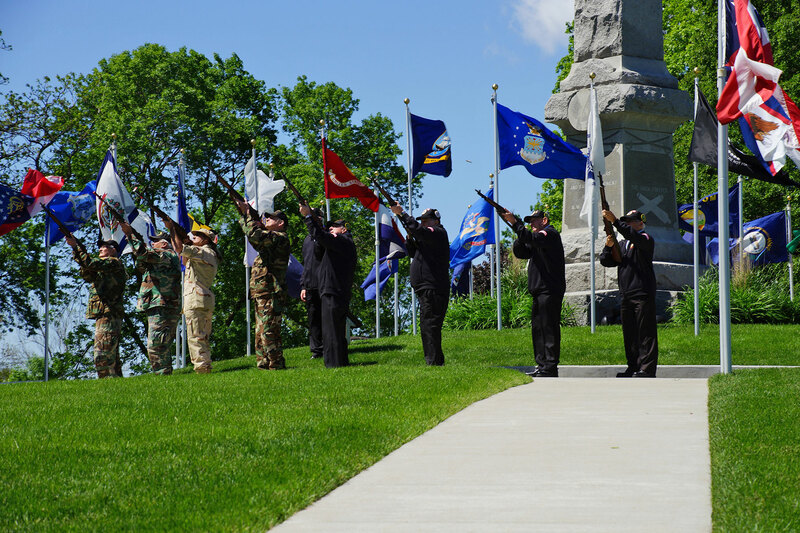 The 2017 service was a time of reflection on the military heroes who answered the call of duty and served in harm’s way for the sake of the country. 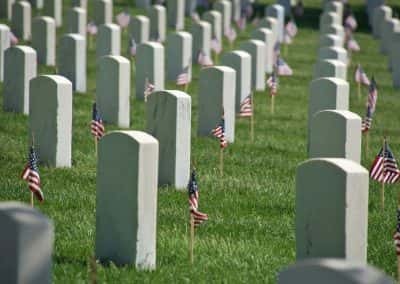 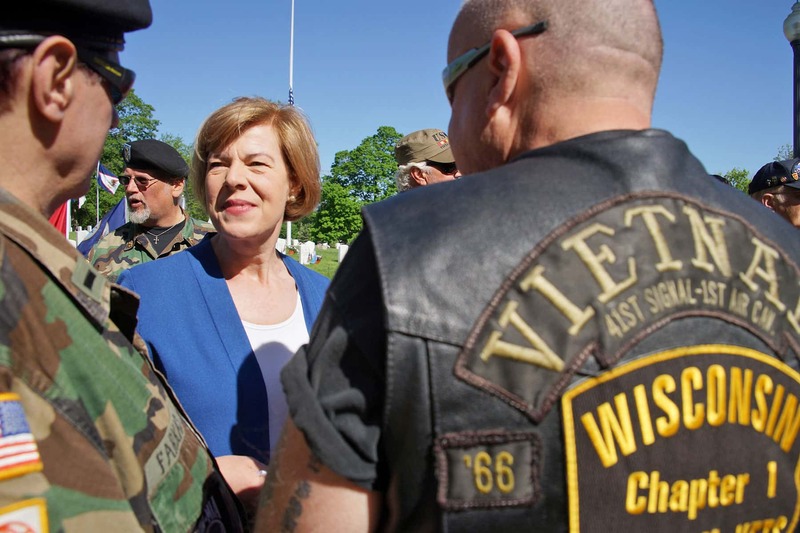 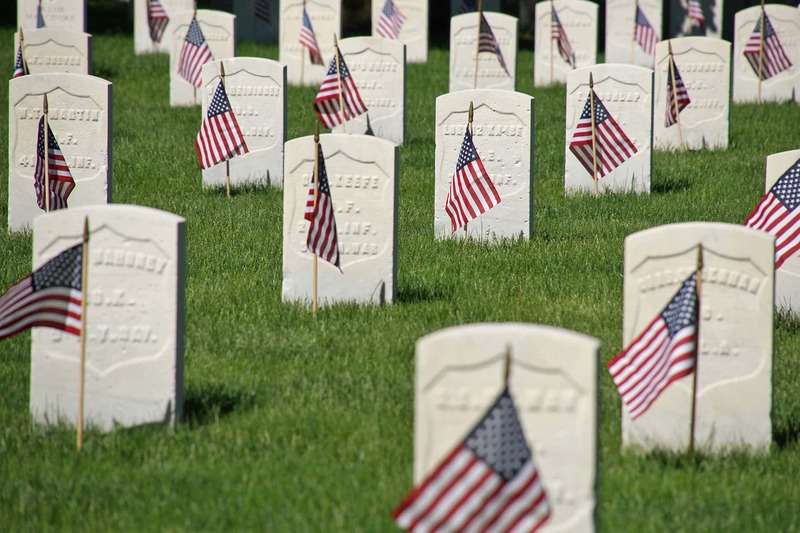 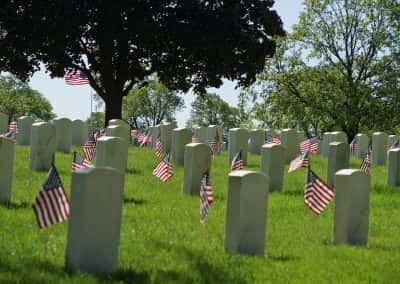 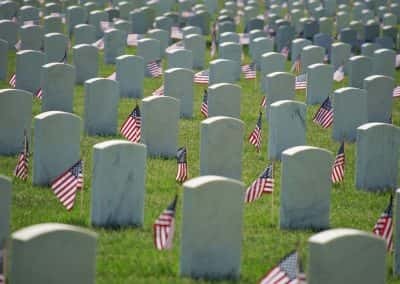 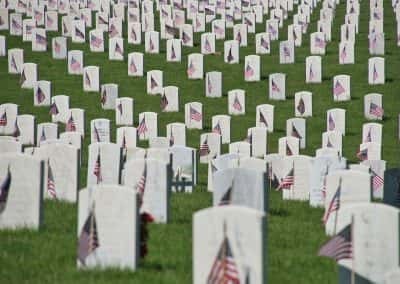 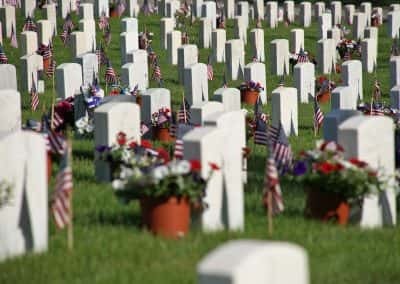 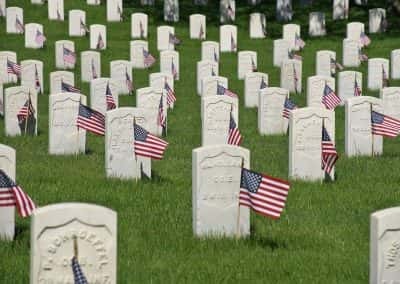 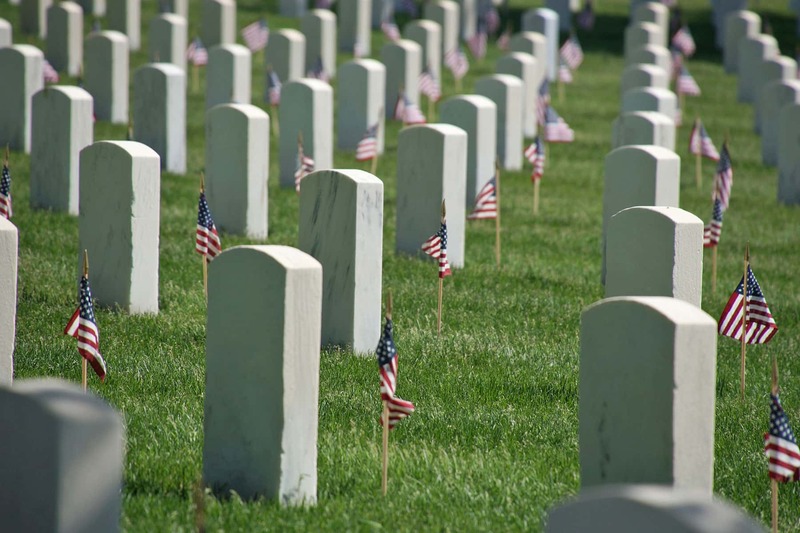 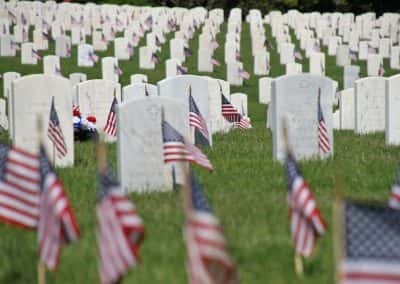 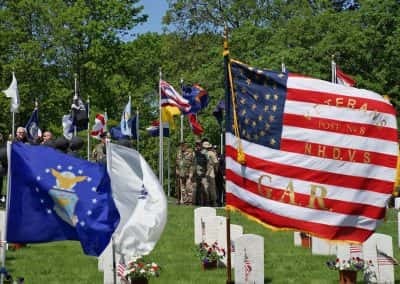 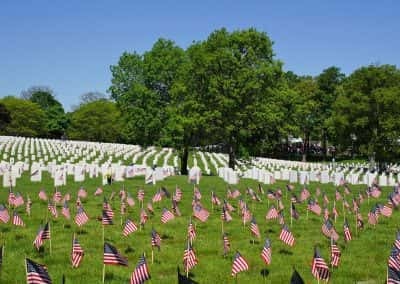 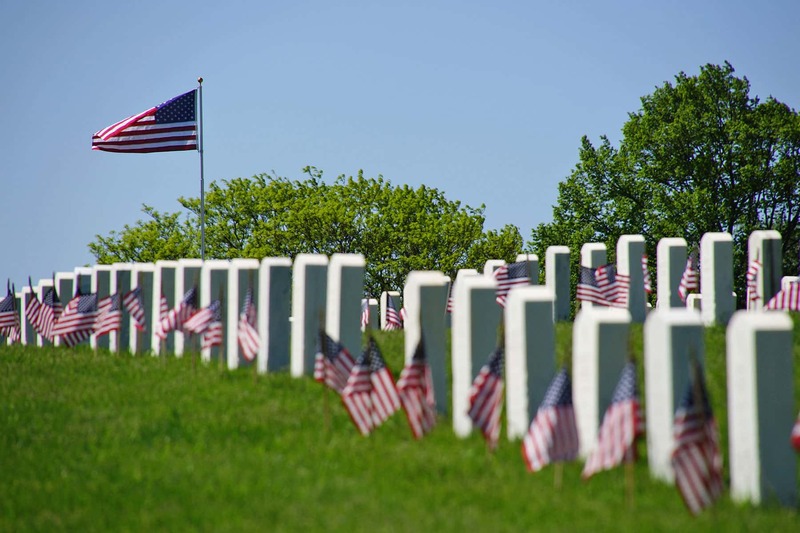 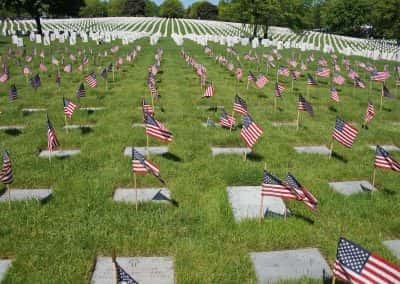 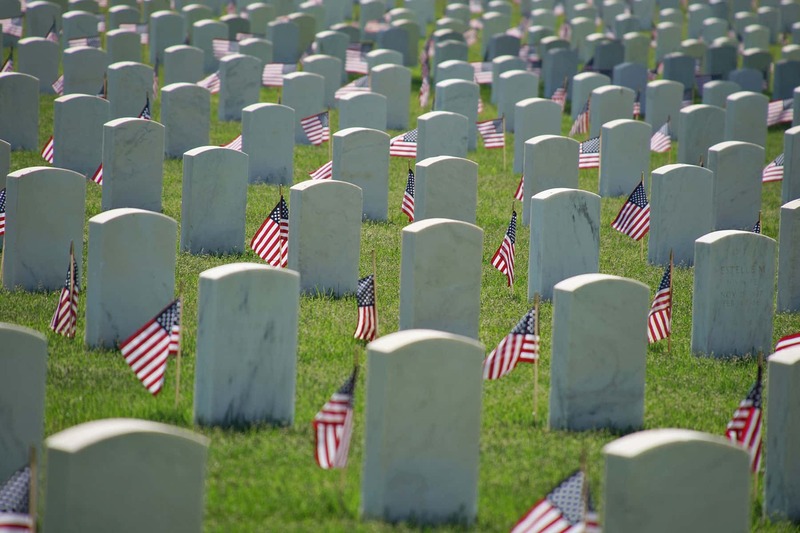 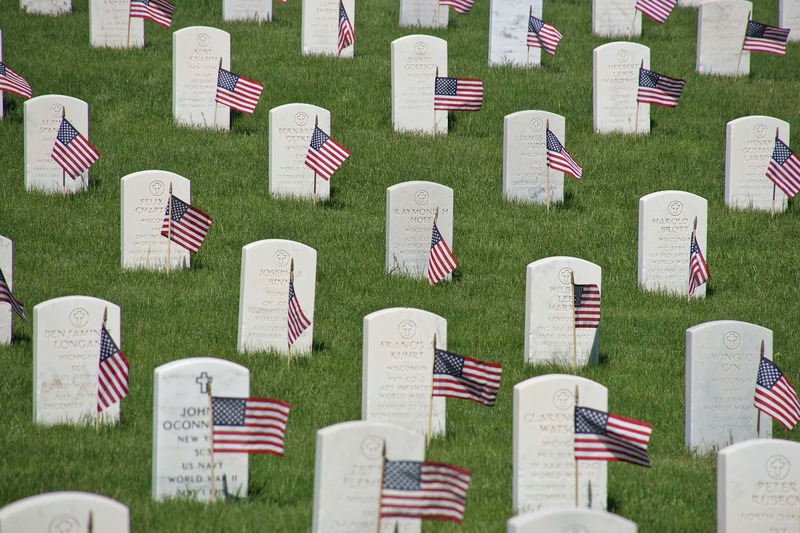 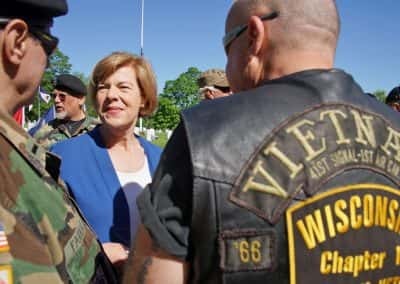 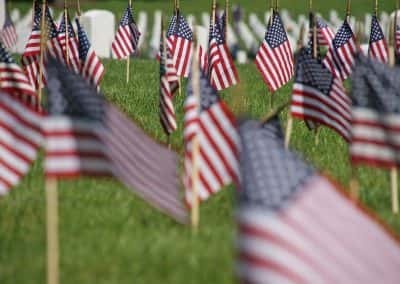 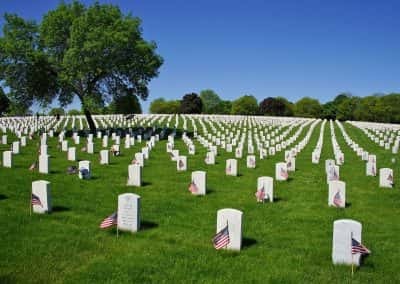 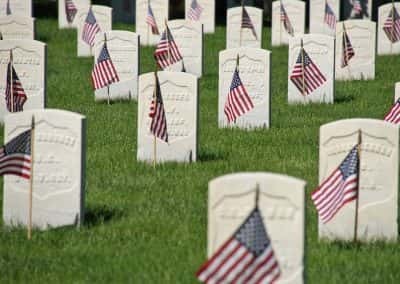 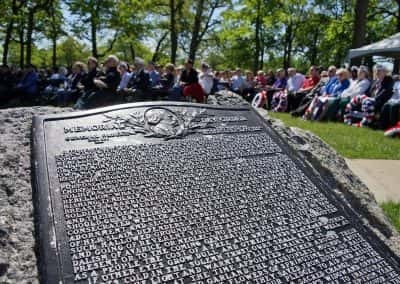 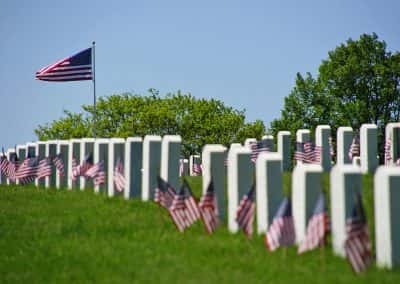 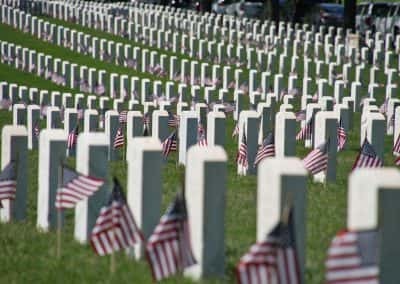 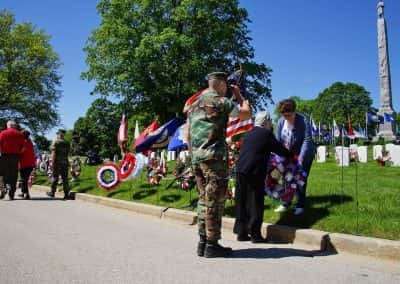 Those remembered were grandparents, children, husbands, wives, and loved ones in uniforms who fought on the battlefields of Europe, the Pacific, the Korean Peninsula, Vietnam, Kuwait, Afghanistan, and Iraq. 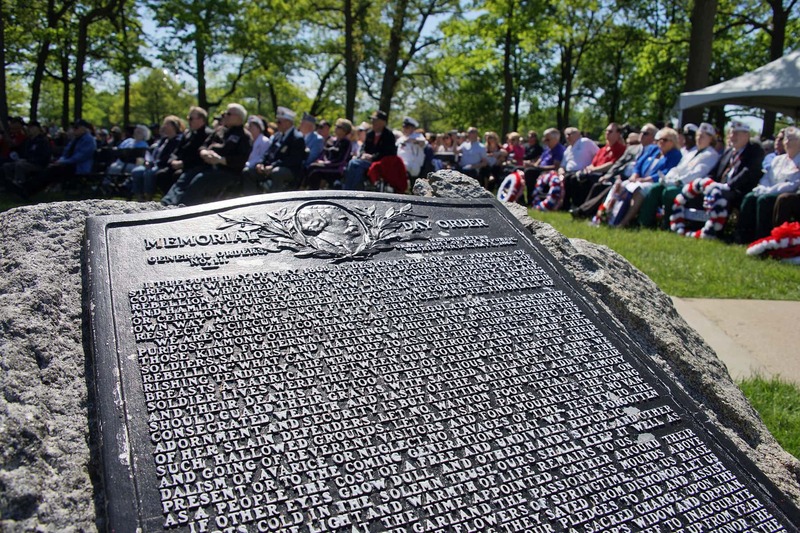 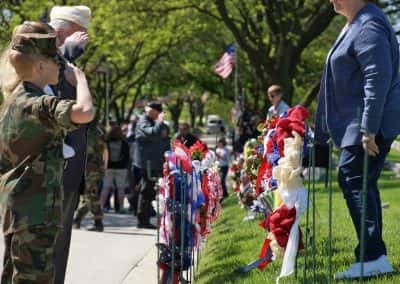 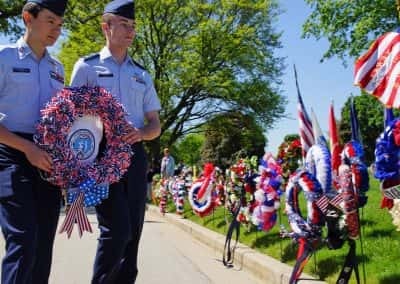 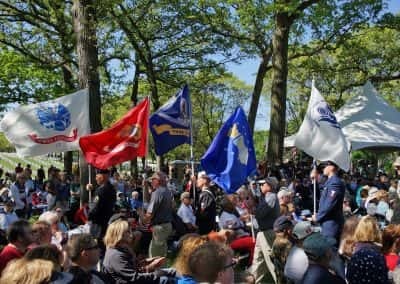 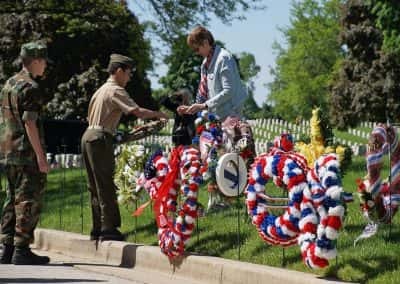 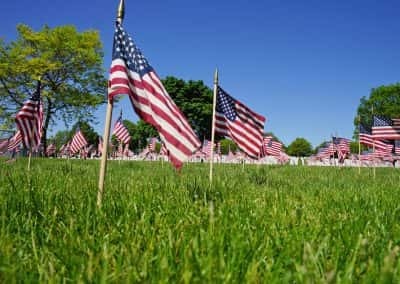 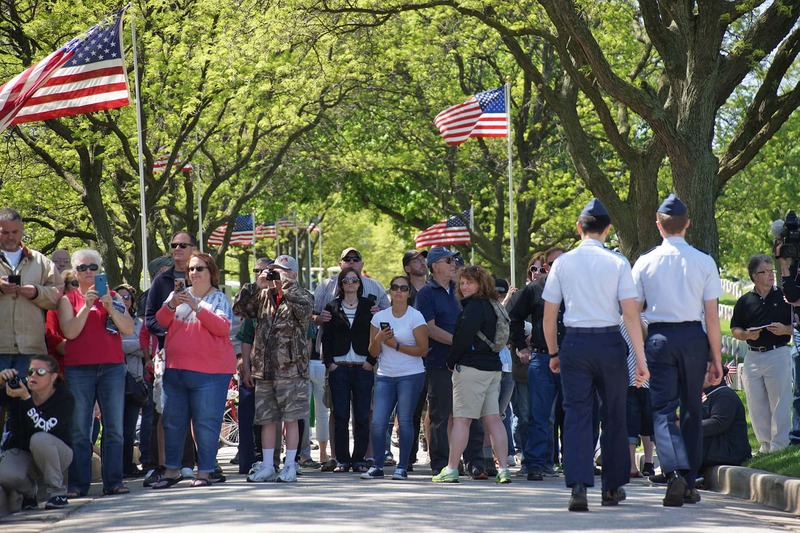 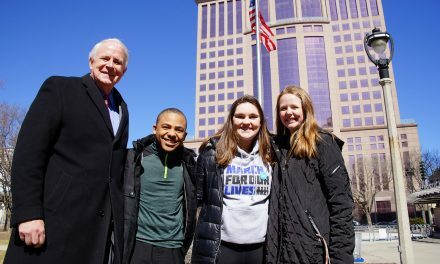 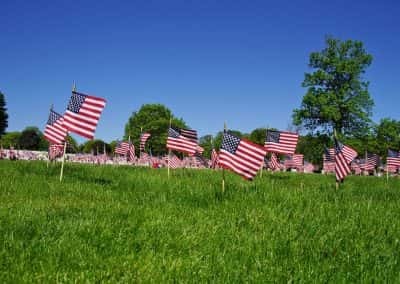 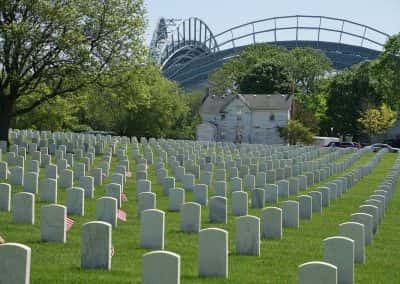 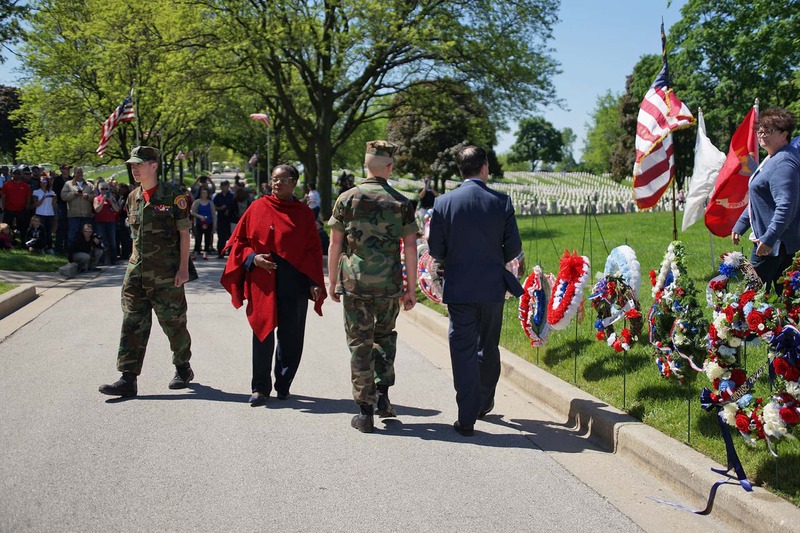 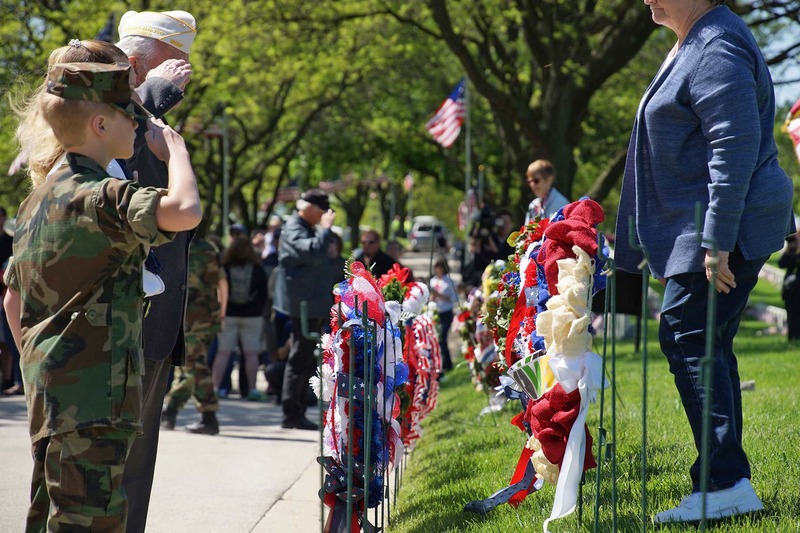 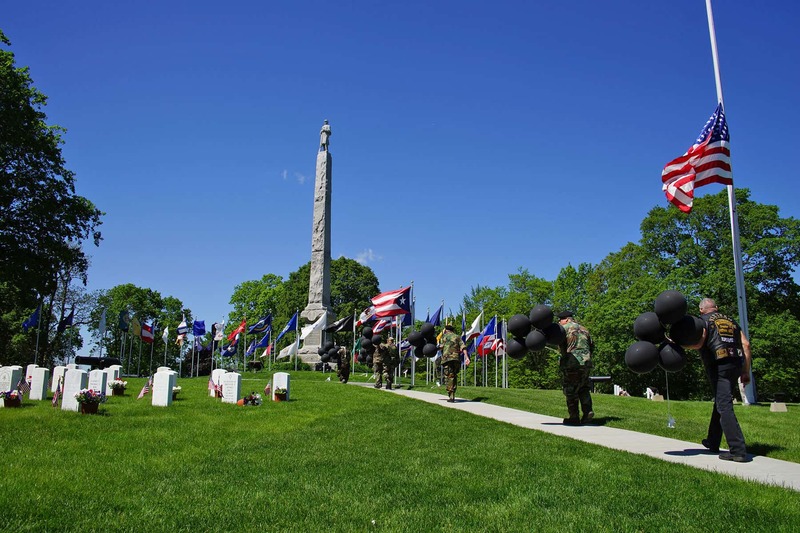 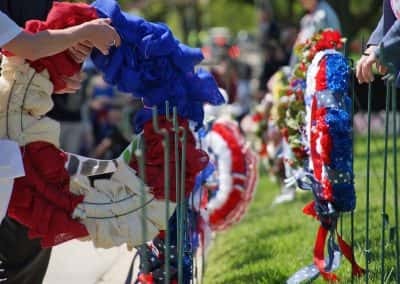 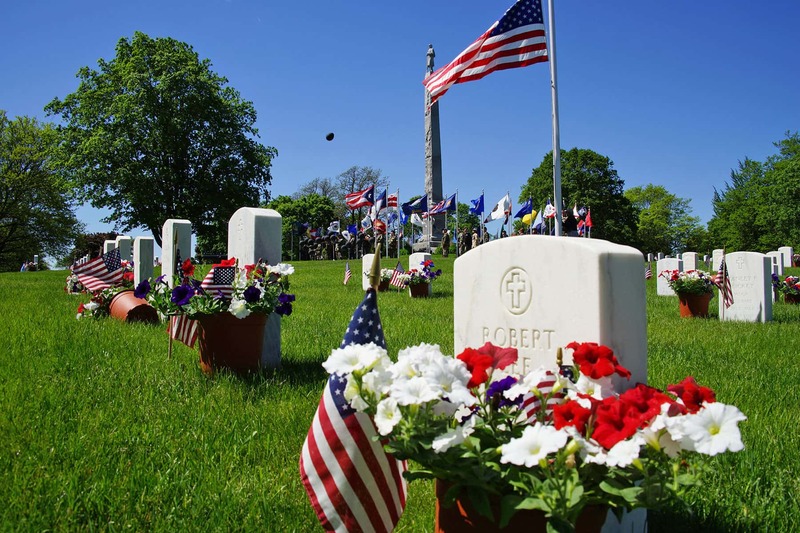 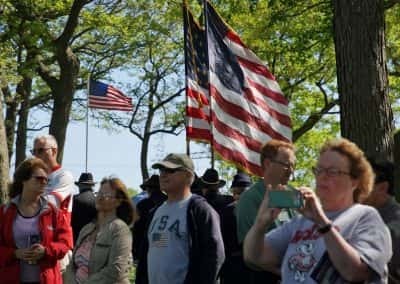 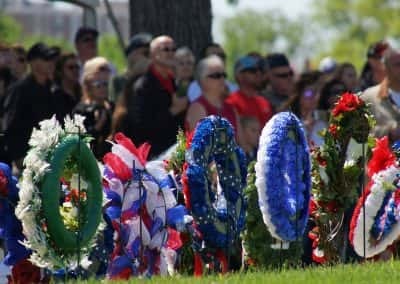 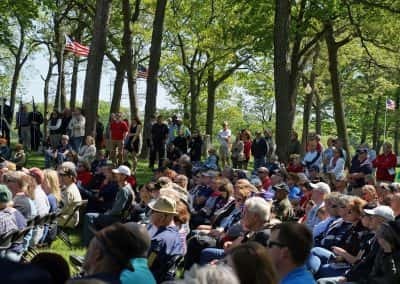 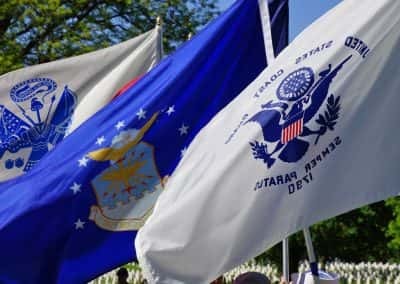 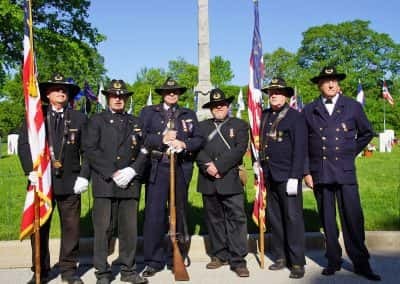 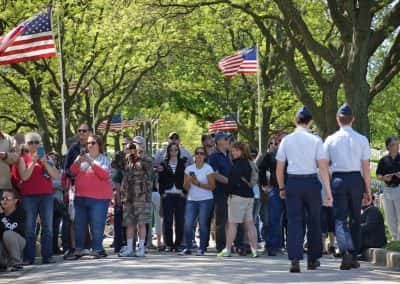 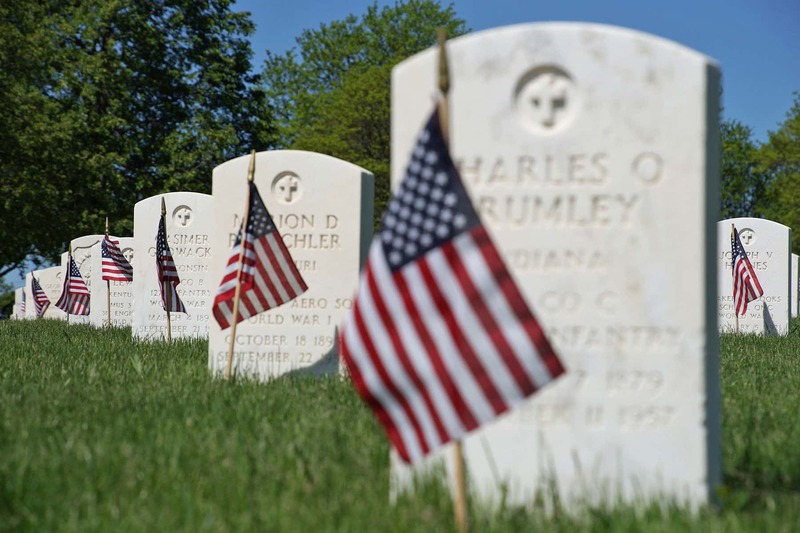 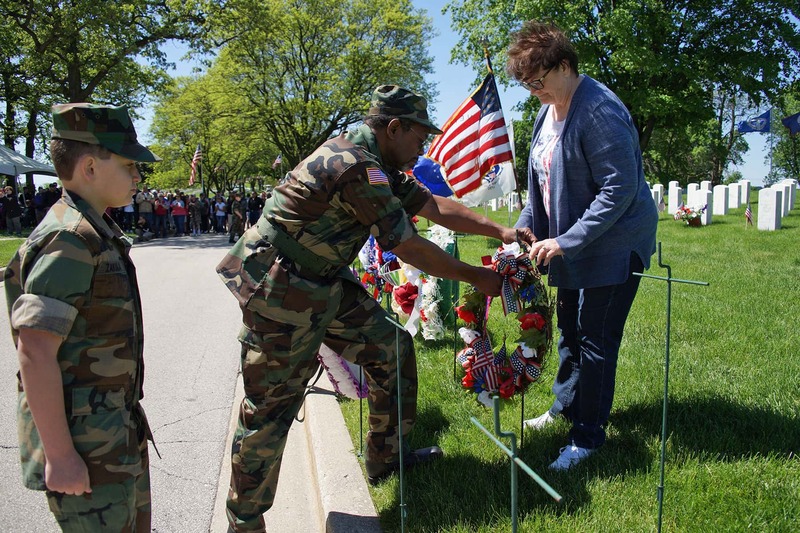 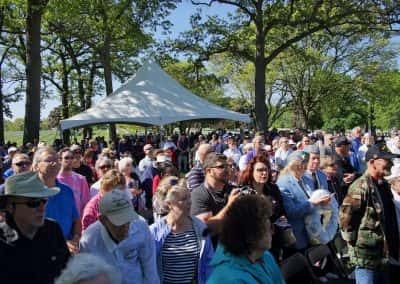 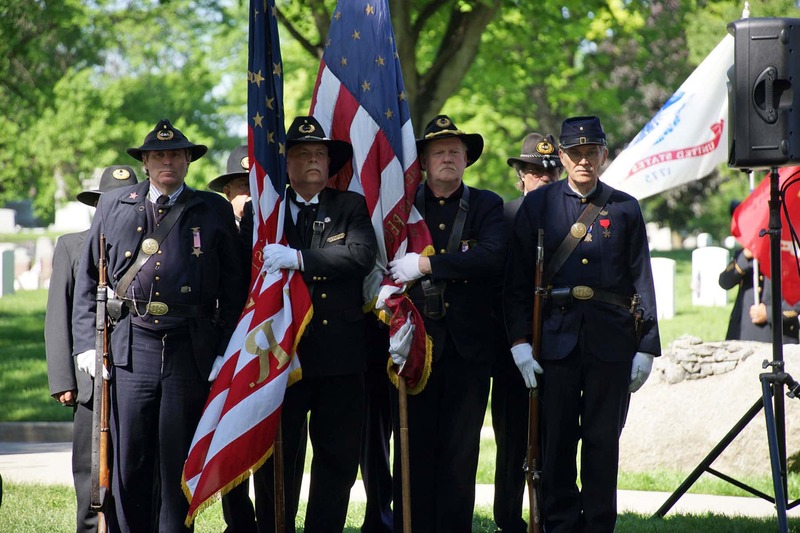 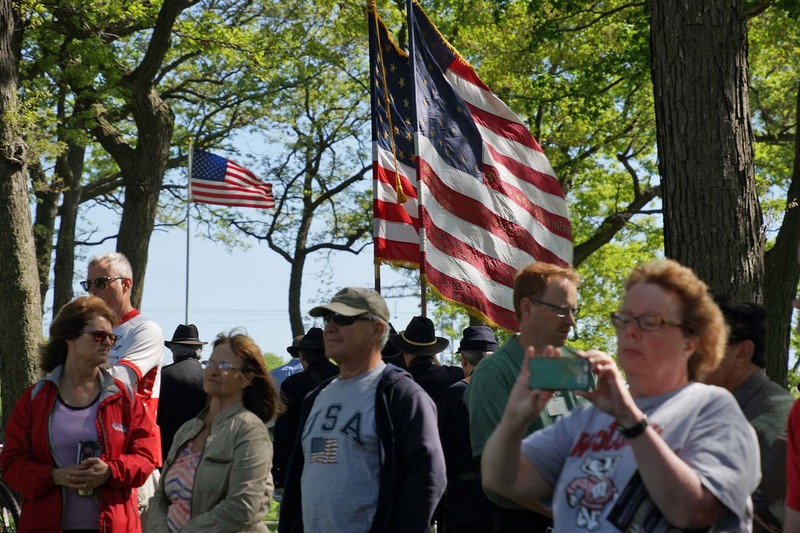 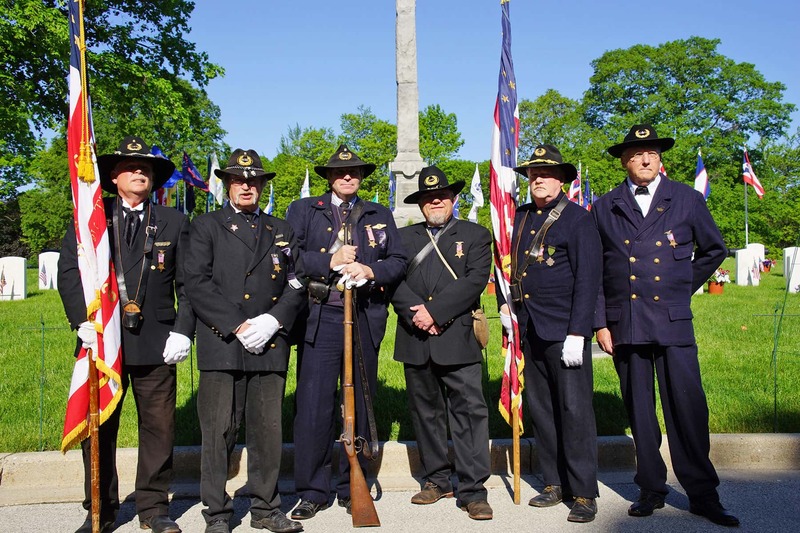 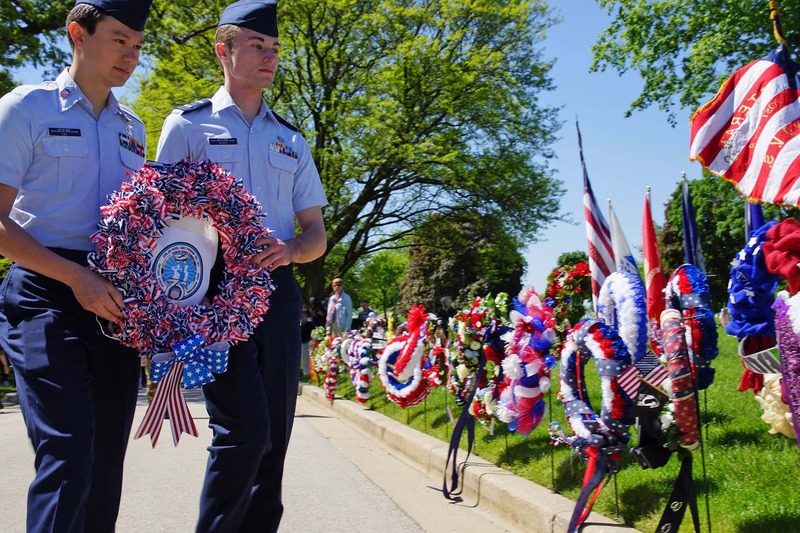 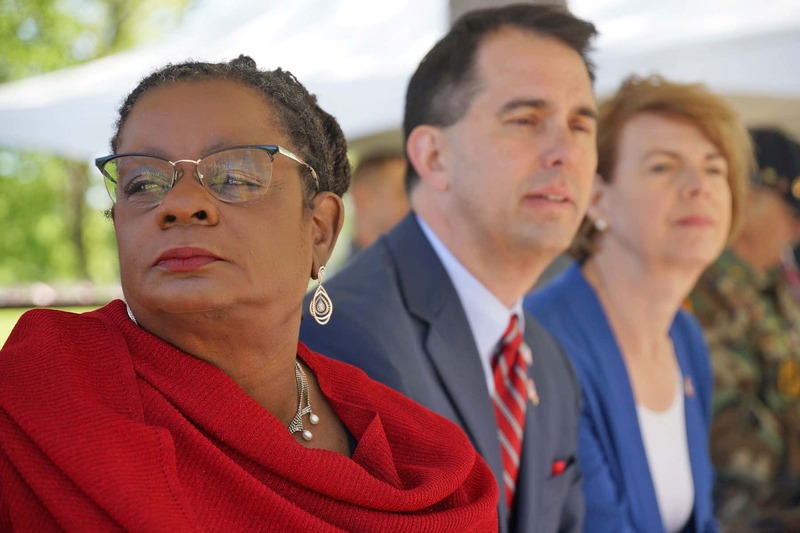 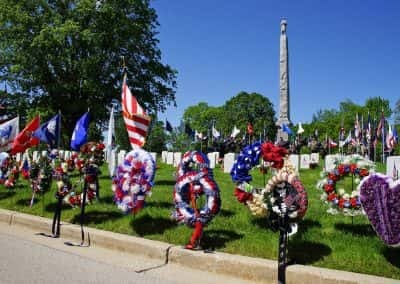 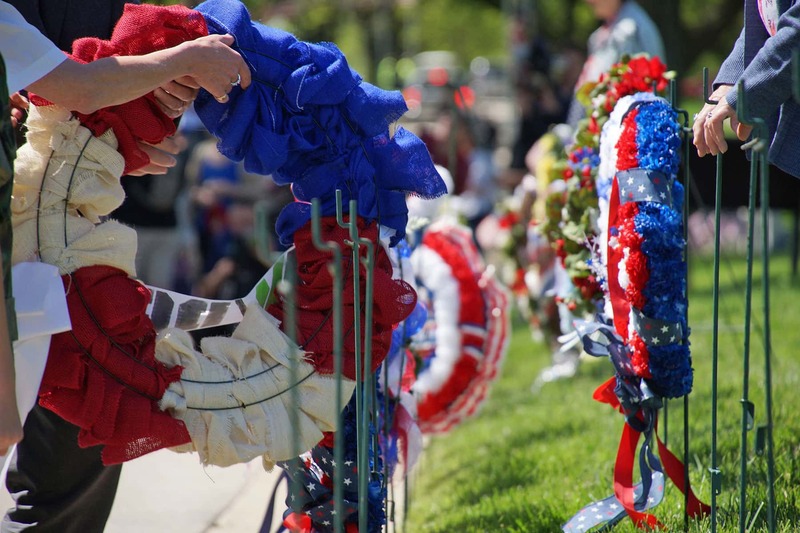 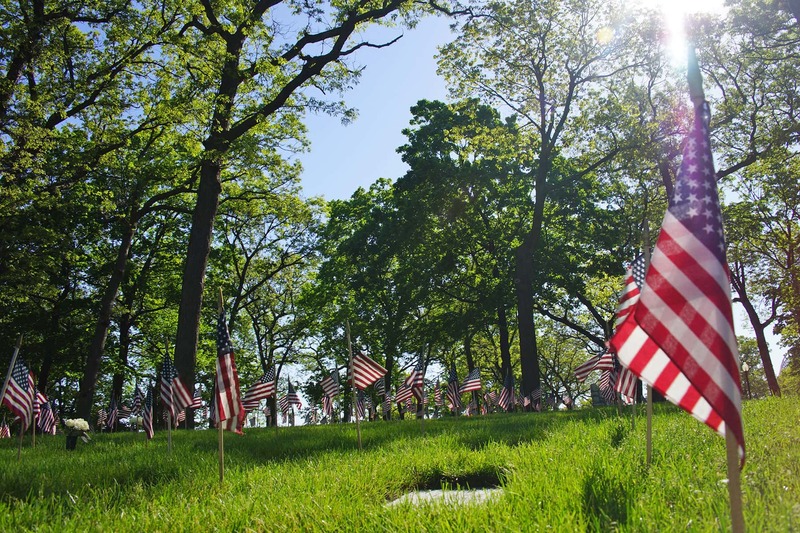 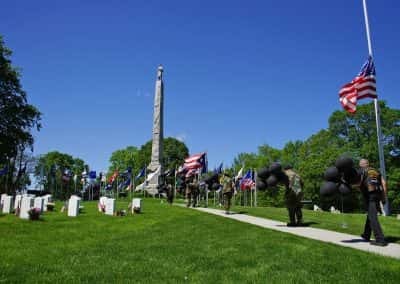 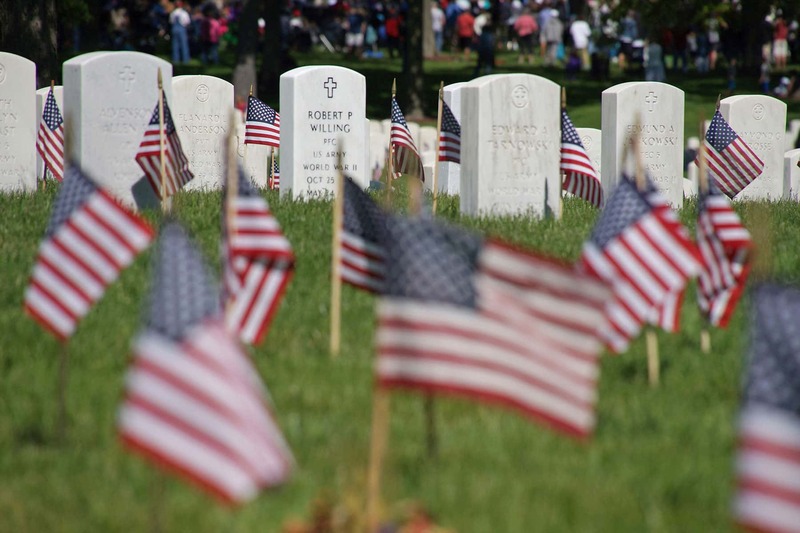 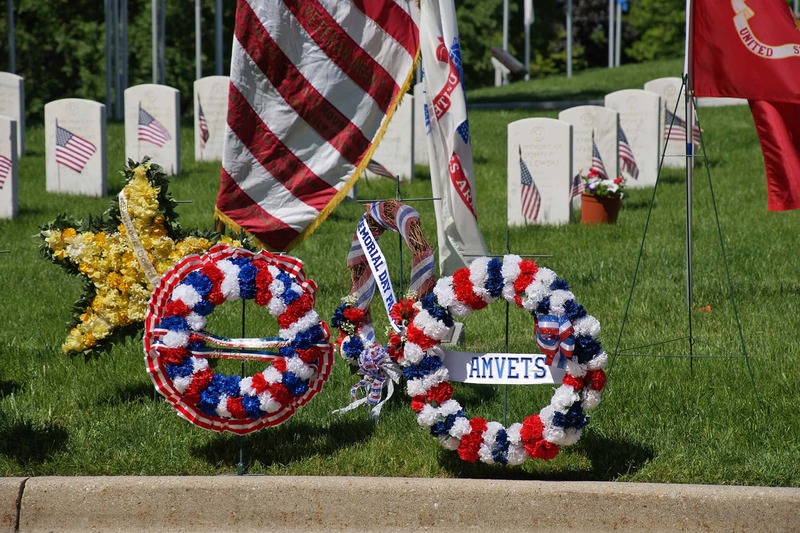 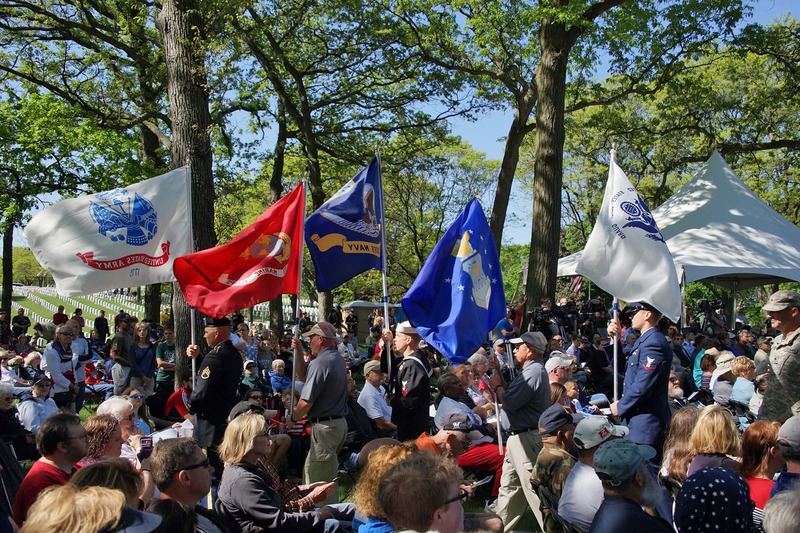 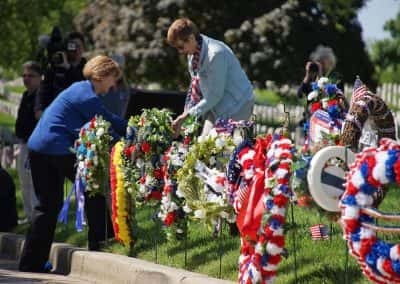 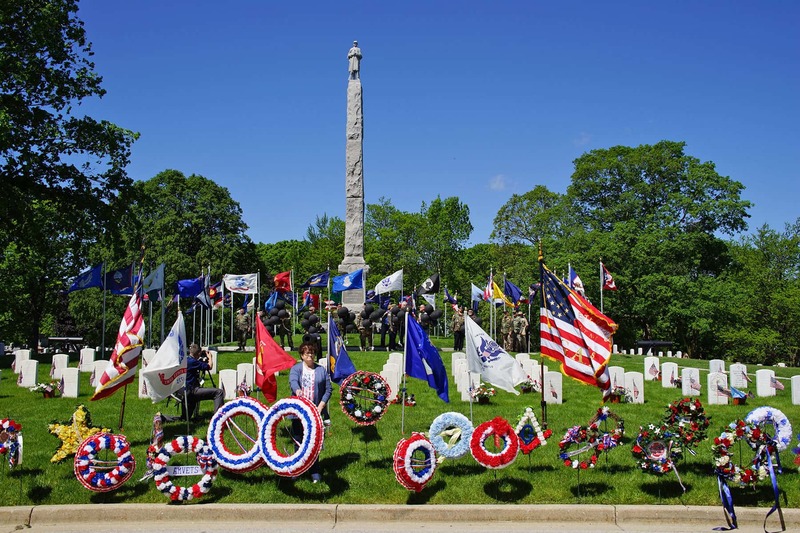 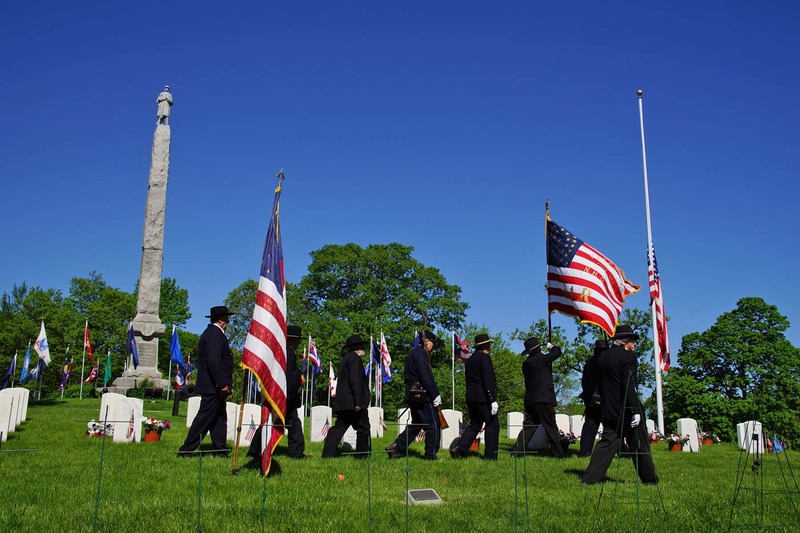 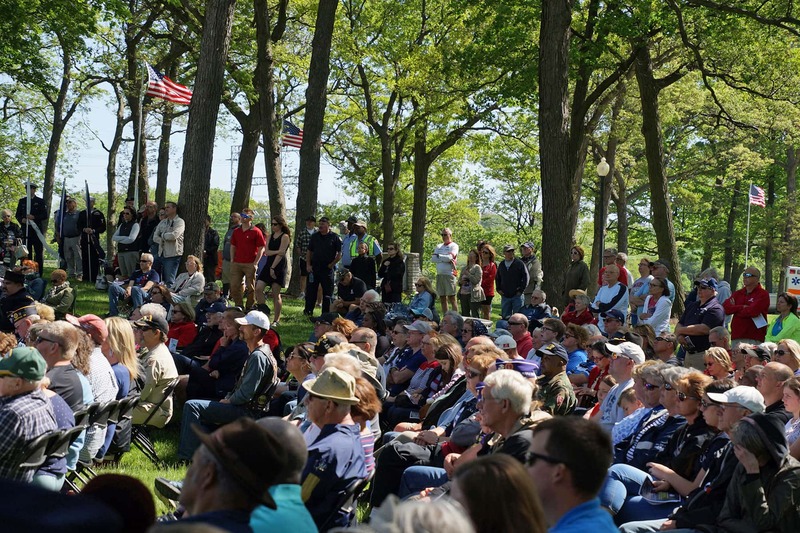 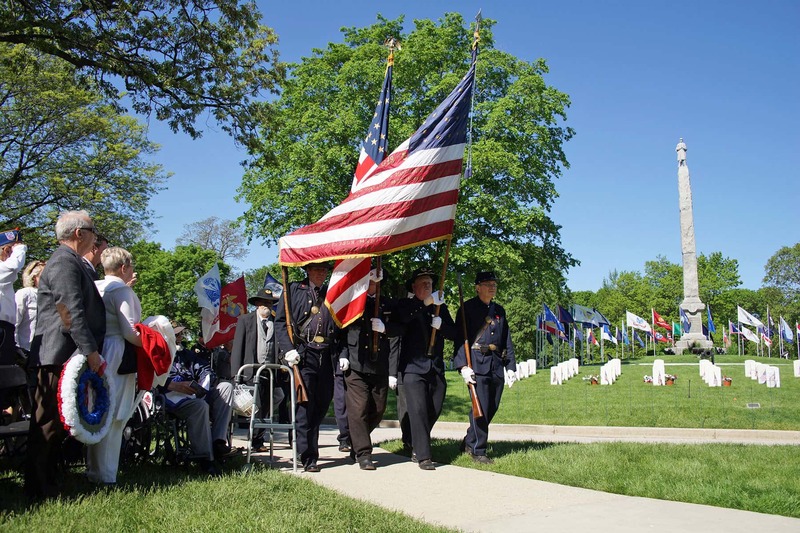 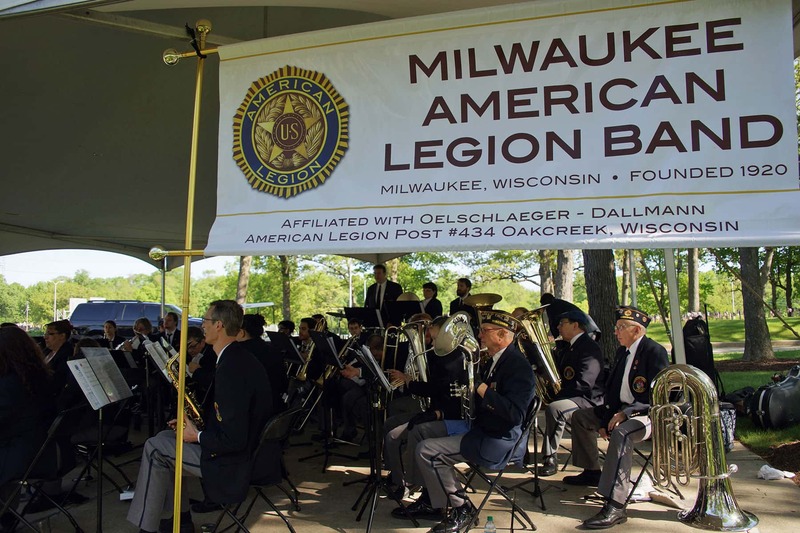 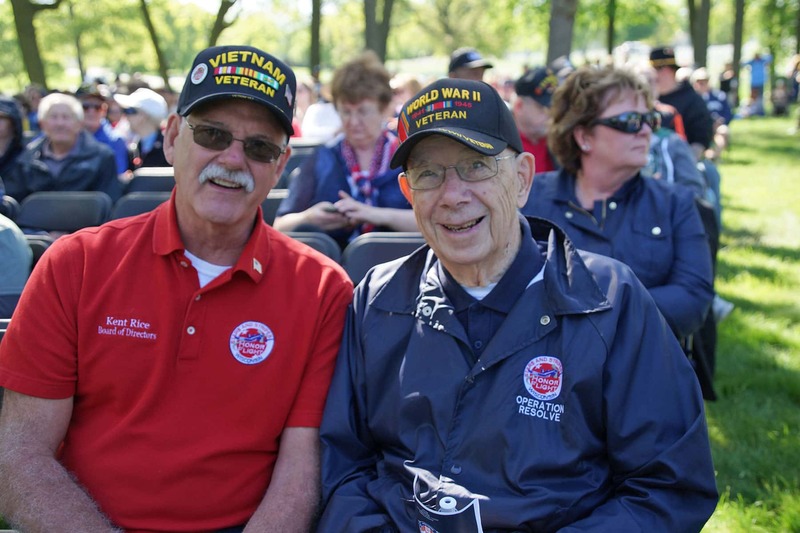 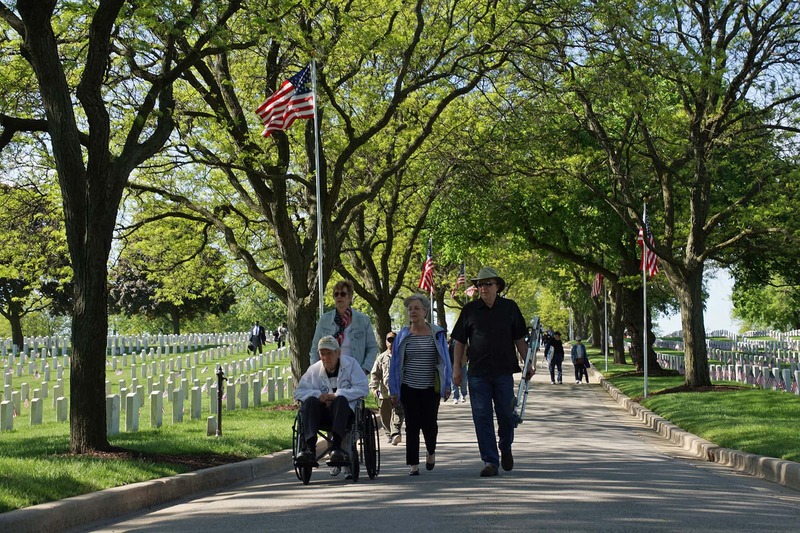 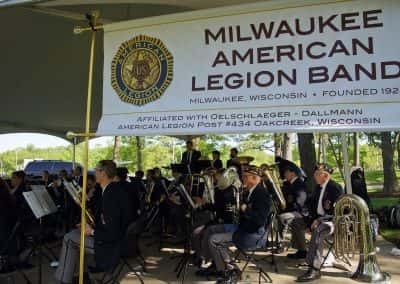 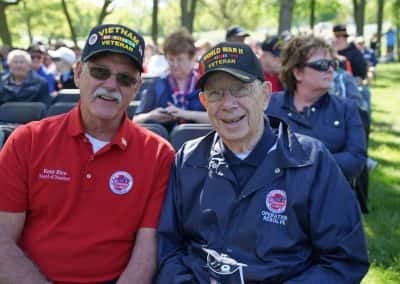 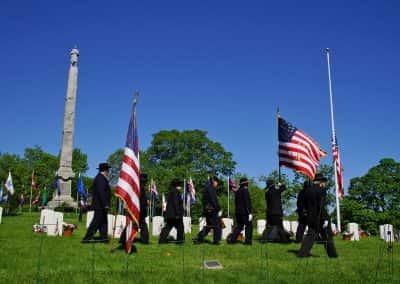 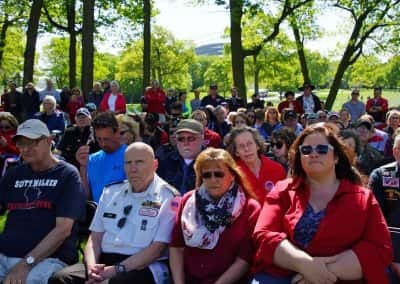 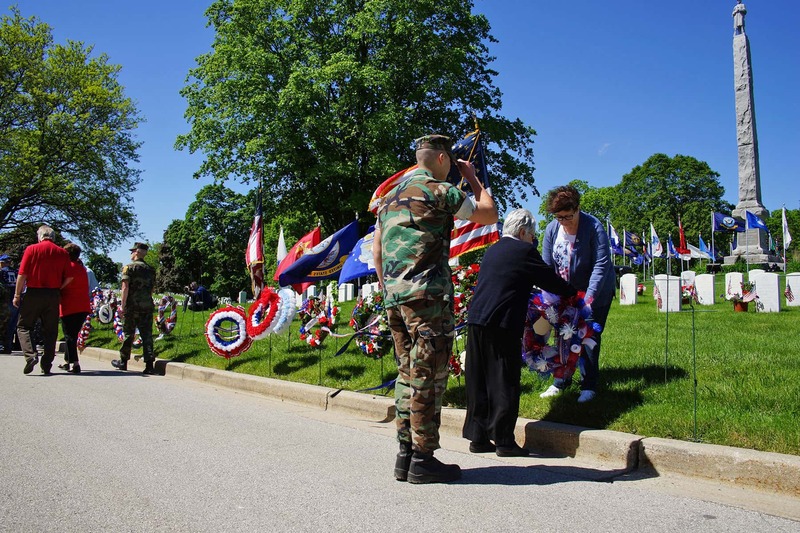 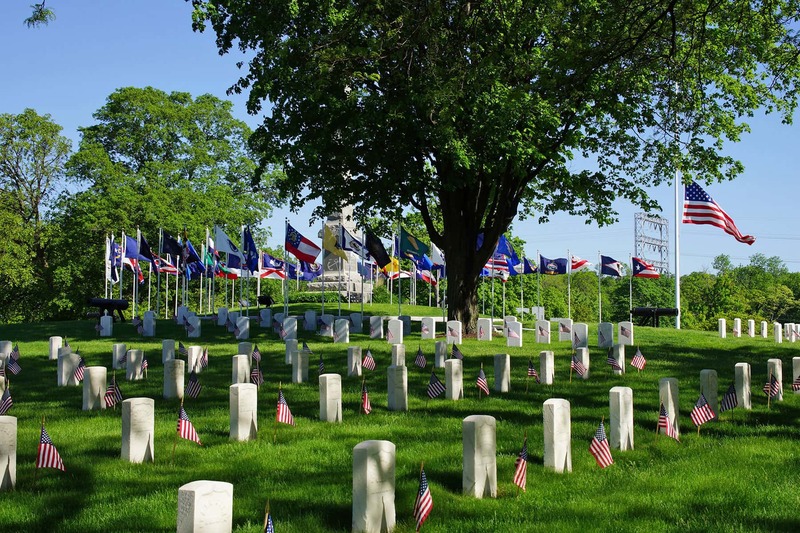 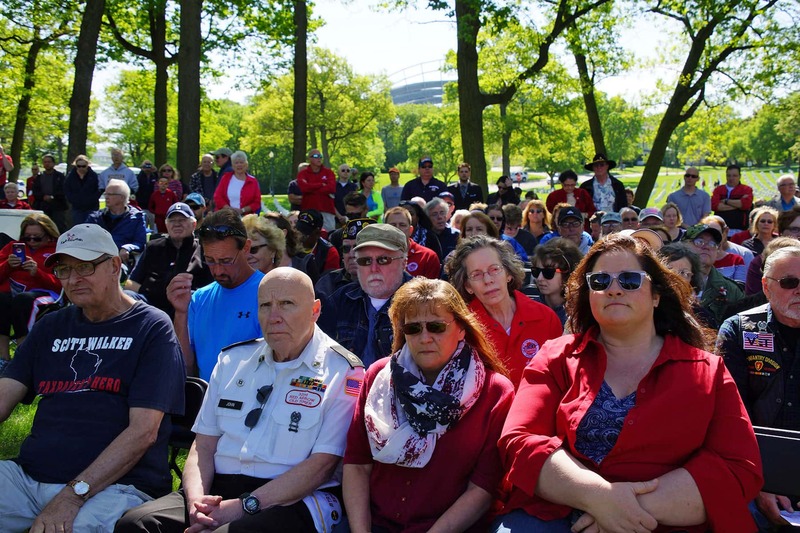 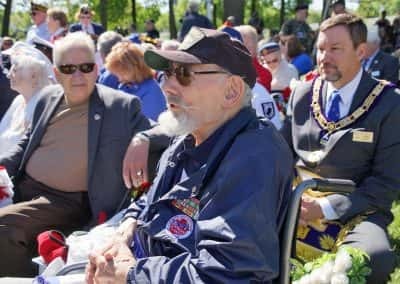 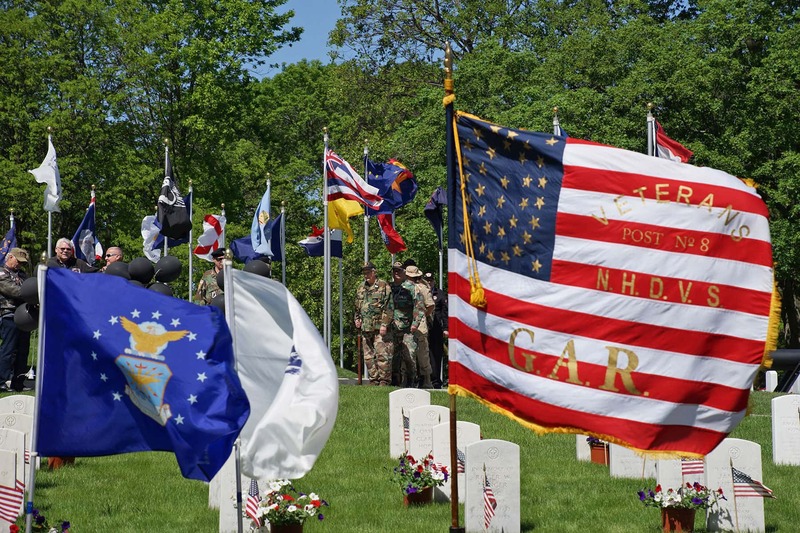 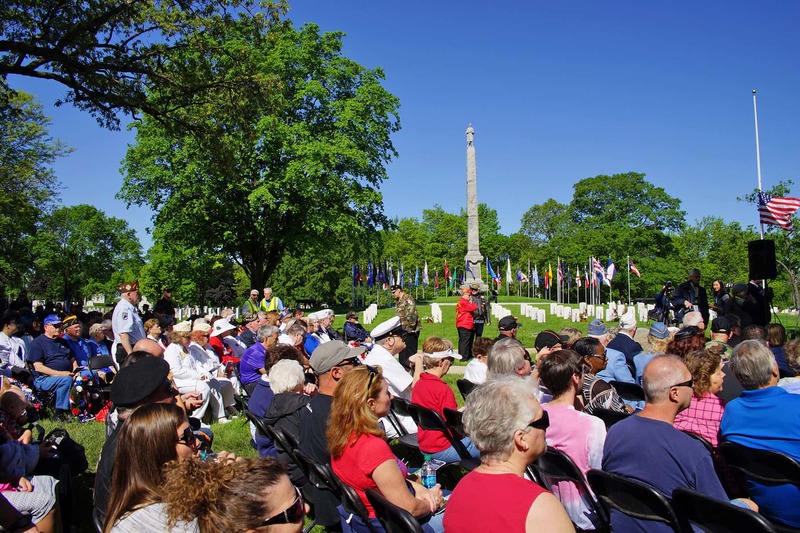 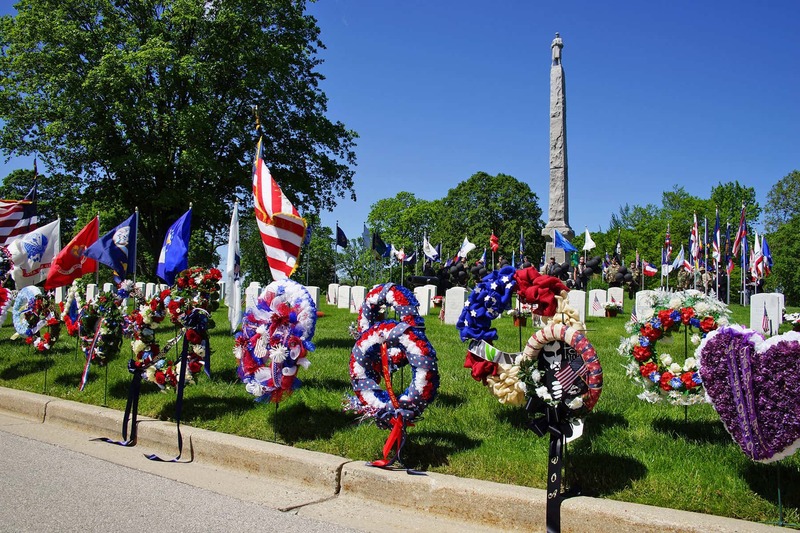 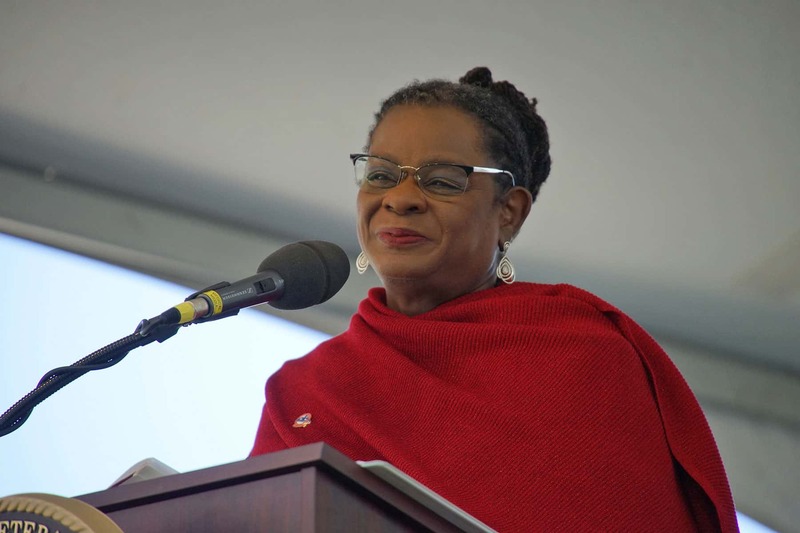 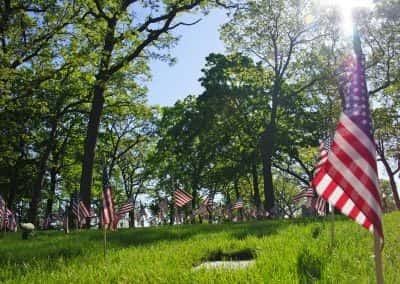 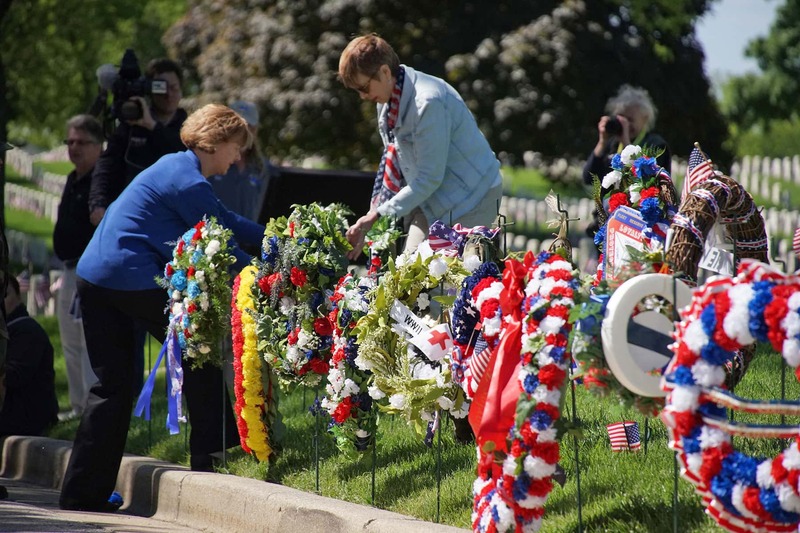 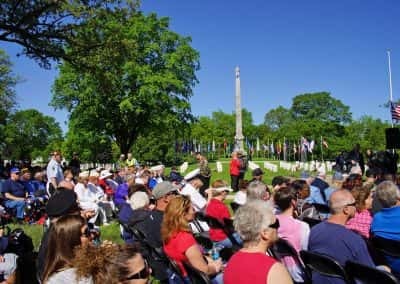 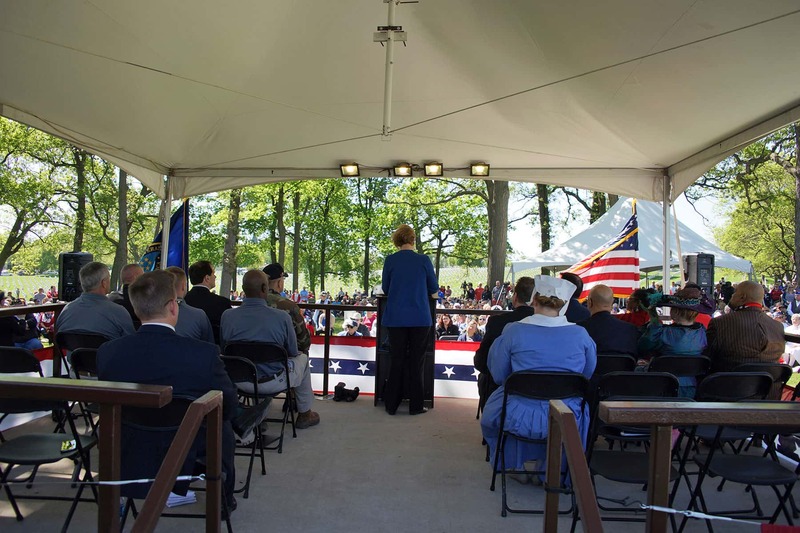 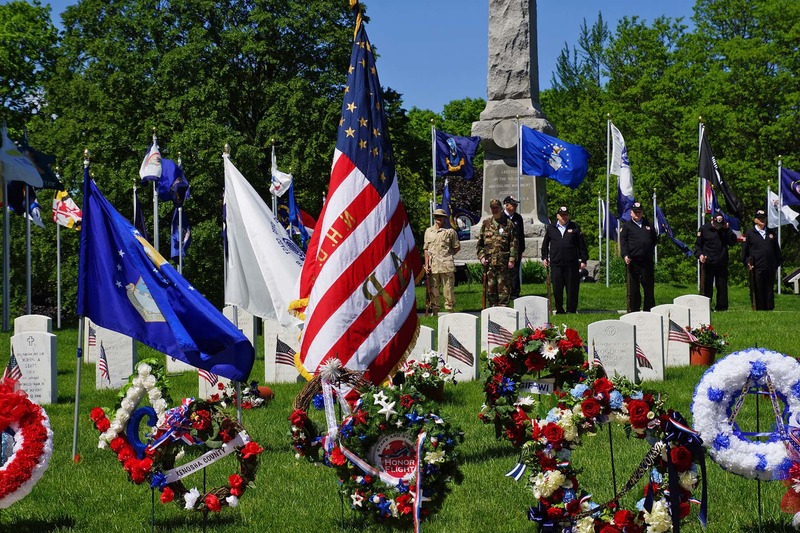 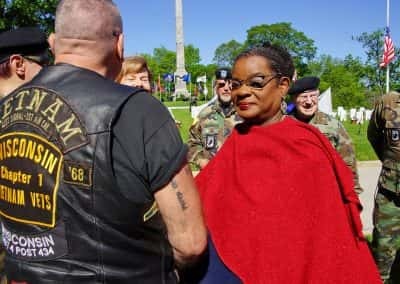 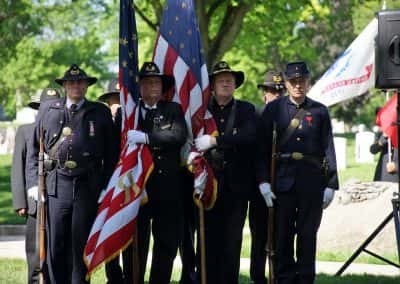 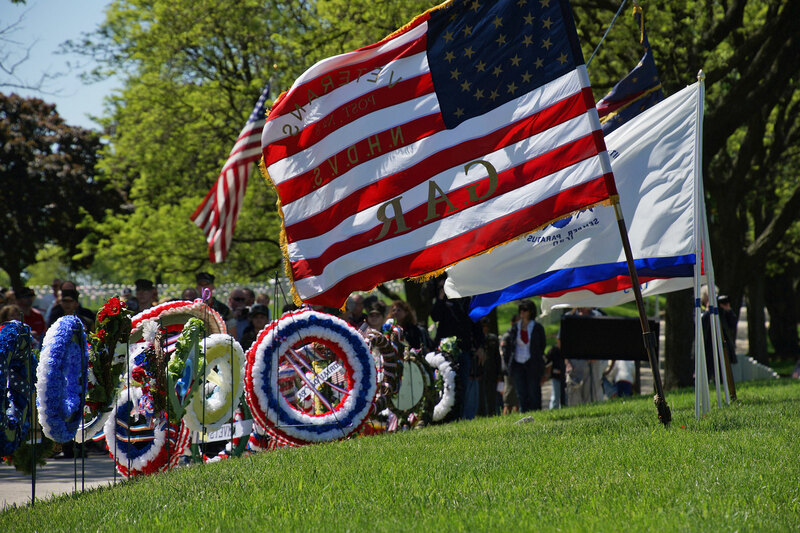 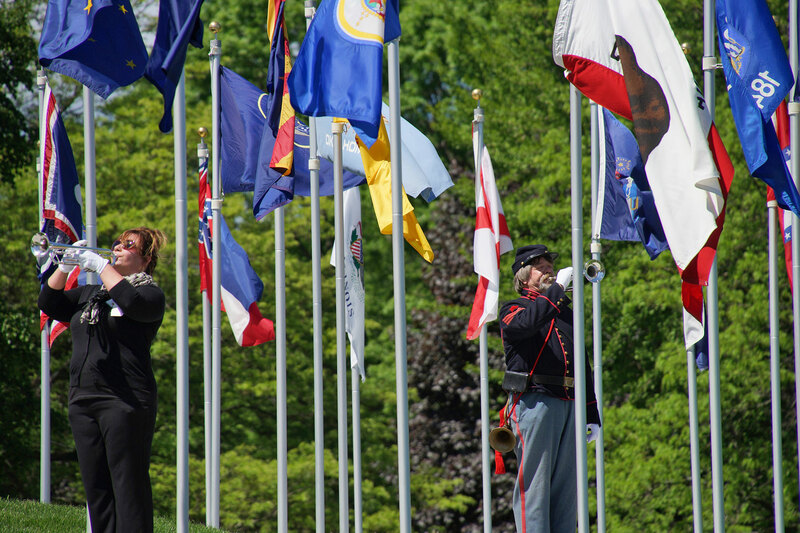 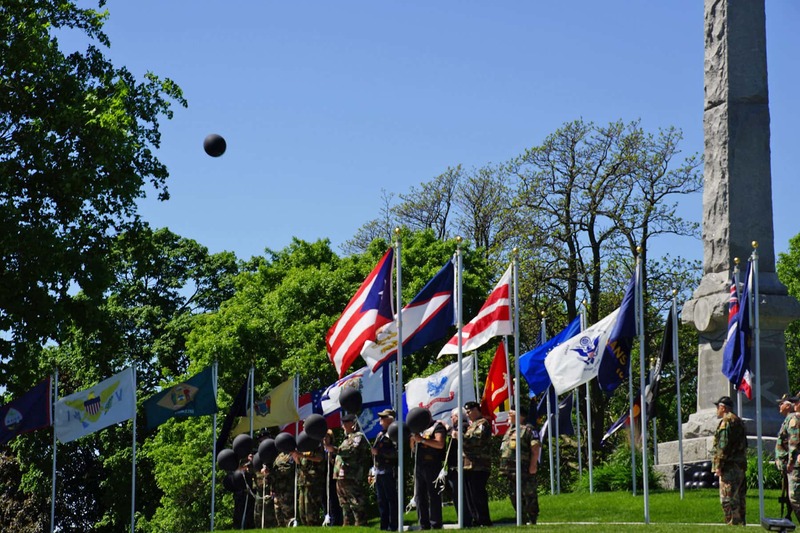 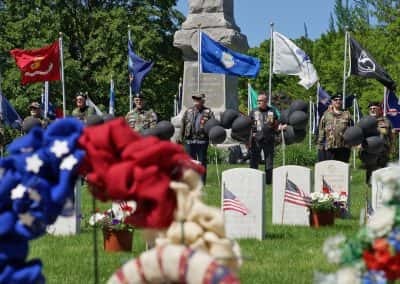 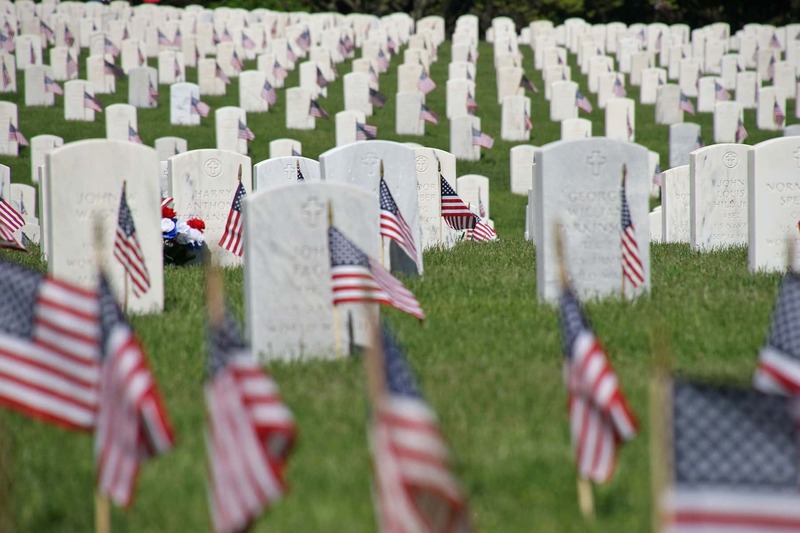 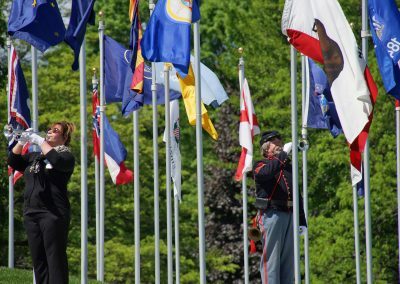 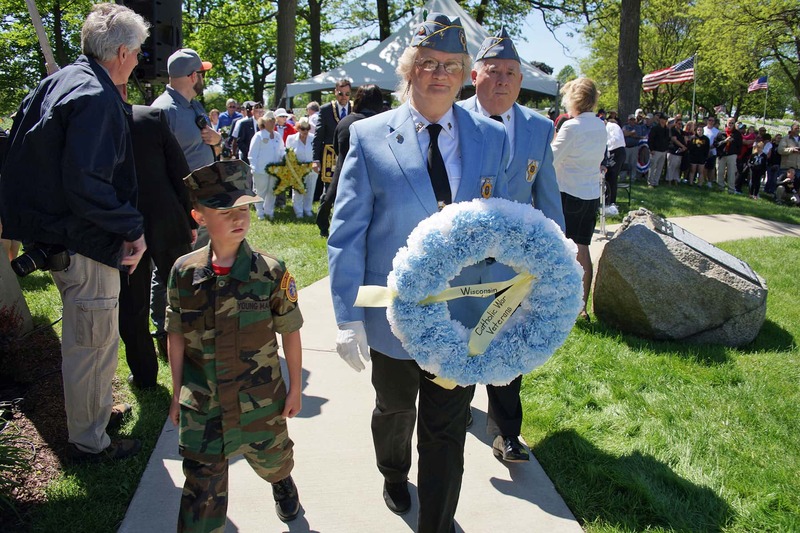 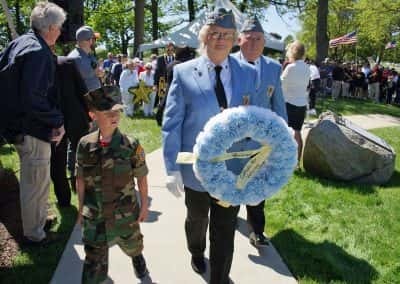 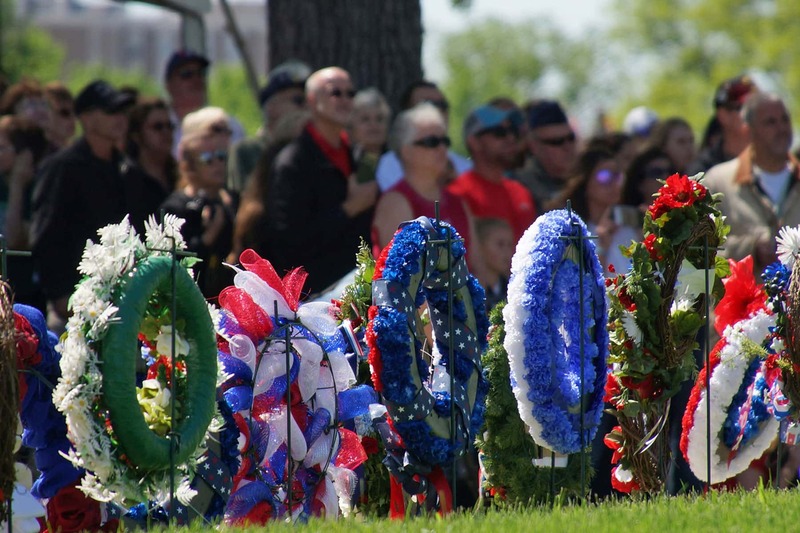 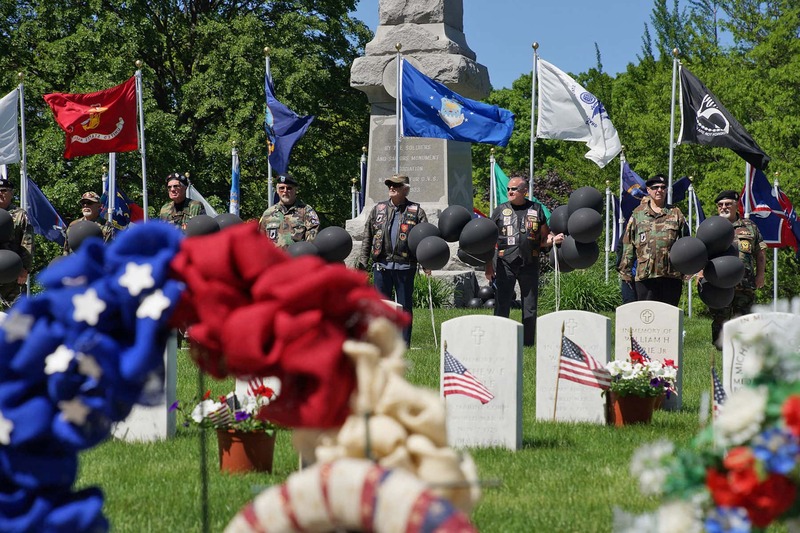 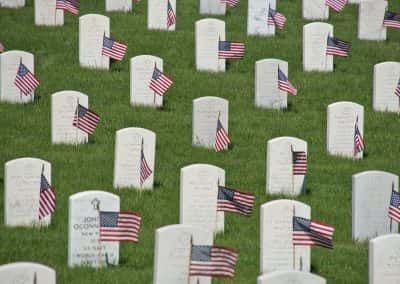 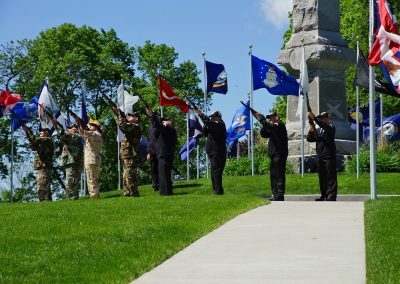 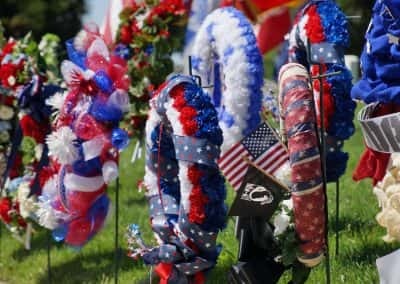 Milwaukee joined in tribute with people gathered at National Cemeteries across the United States. 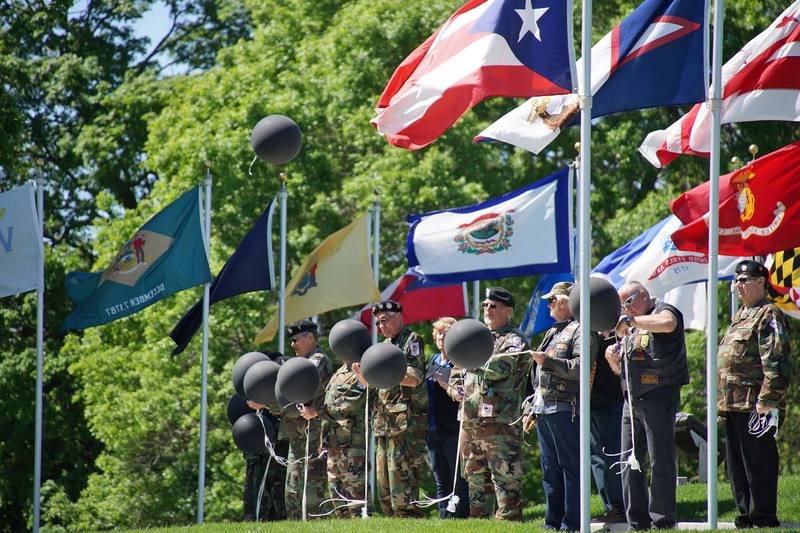 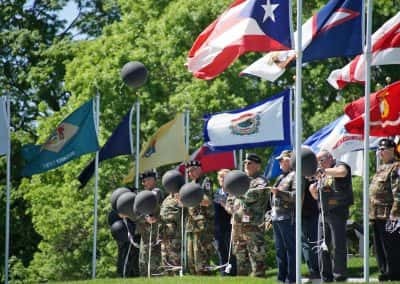 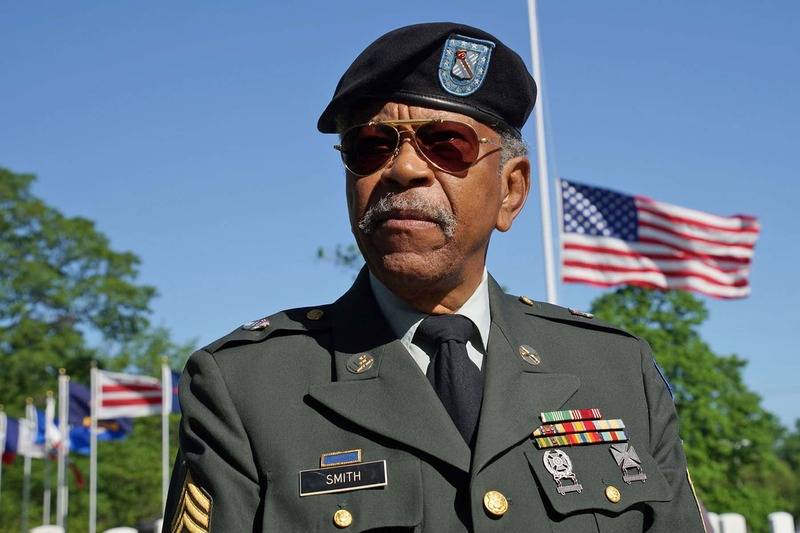 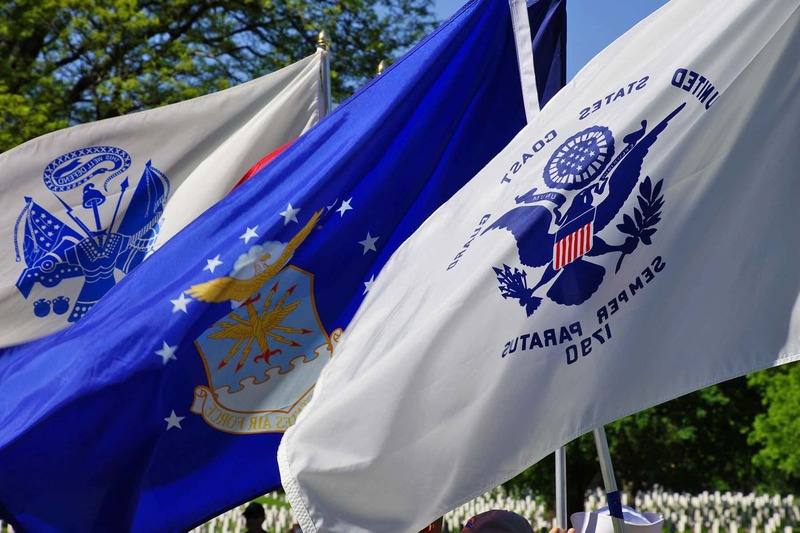 The Veterans Association maintains 139 National Cemeteries in 39 states, and Puerto Rico, including 33 Soldiers Lots and monument sites. 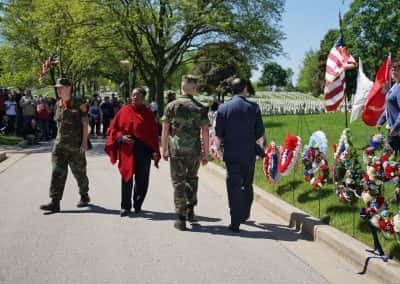 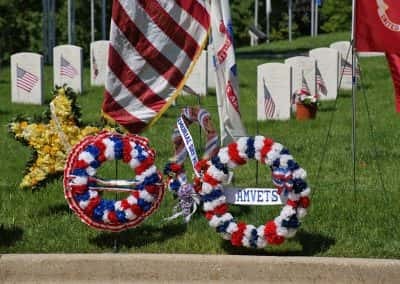 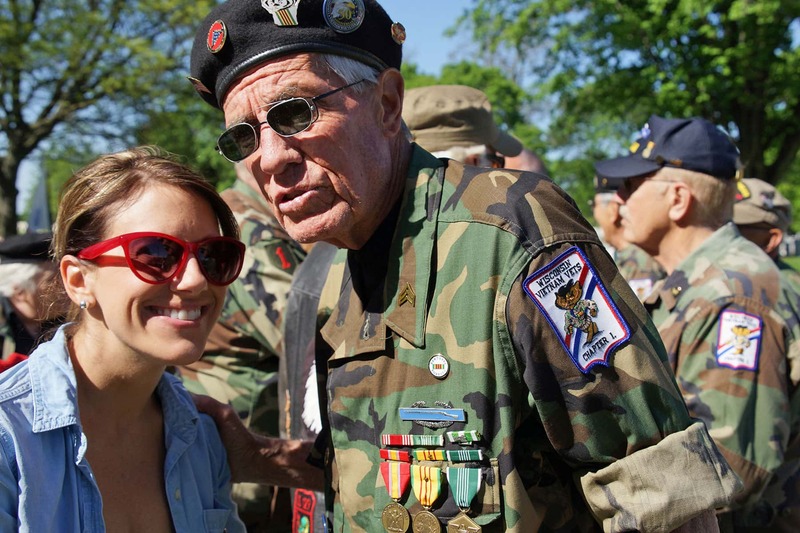 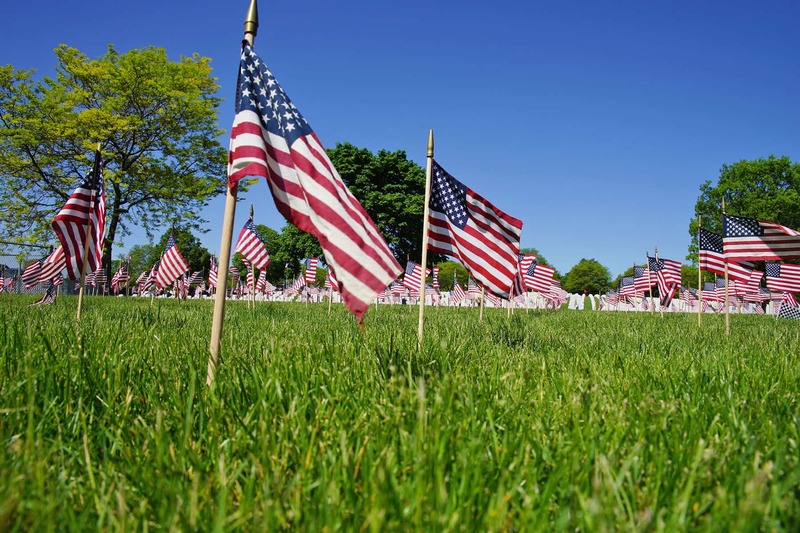 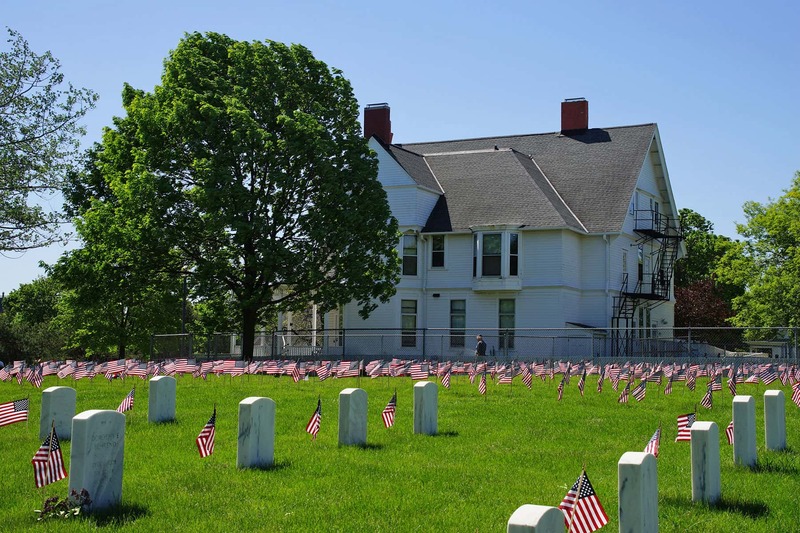 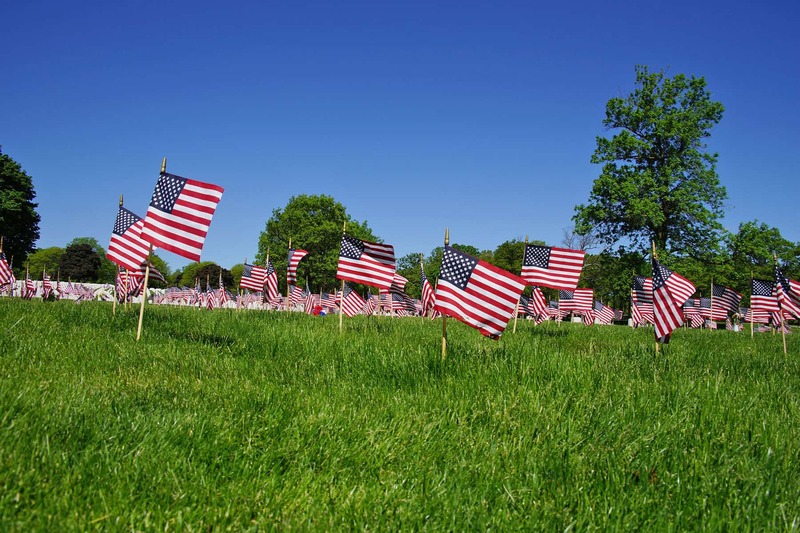 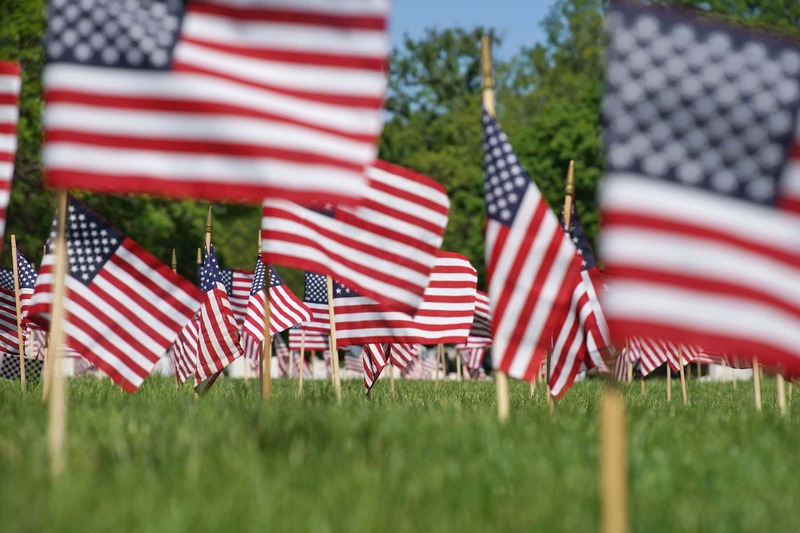 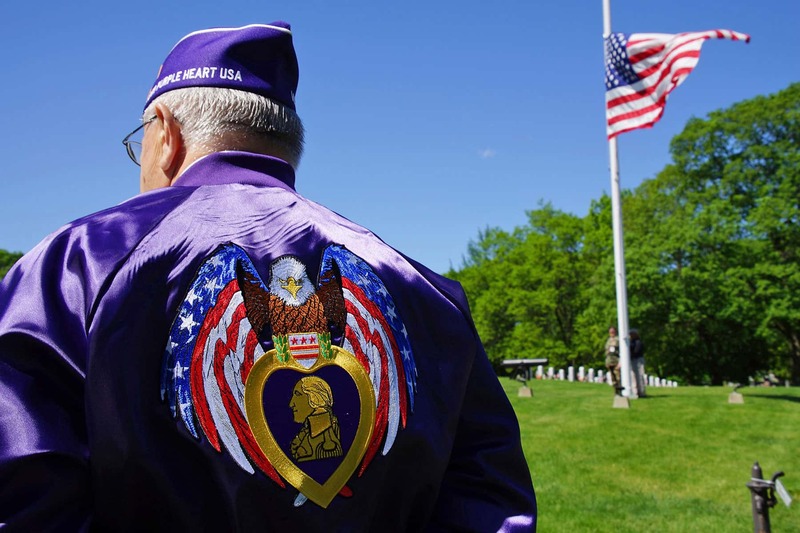 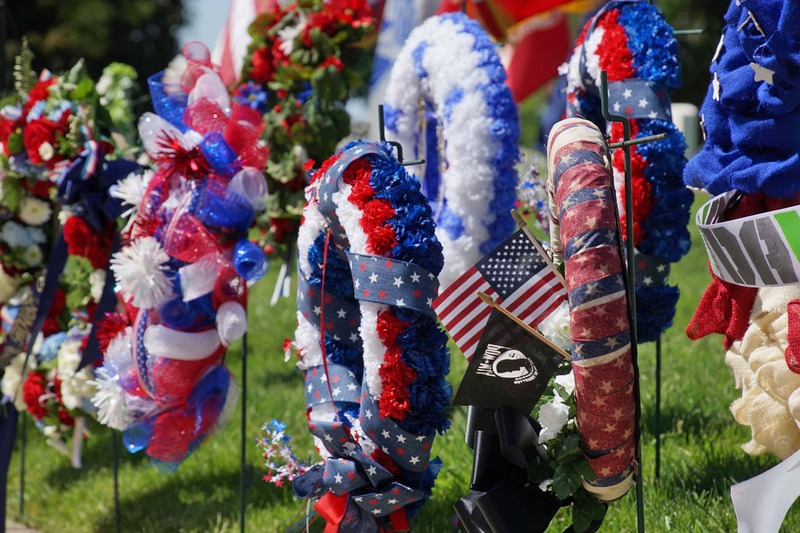 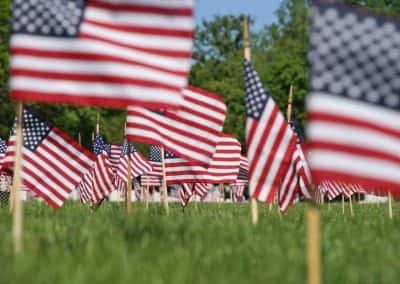 These images show the enduring honor and gratefulness residents have for the departed veterans on Memorial Day, with a somber celebration of their sacrifice.